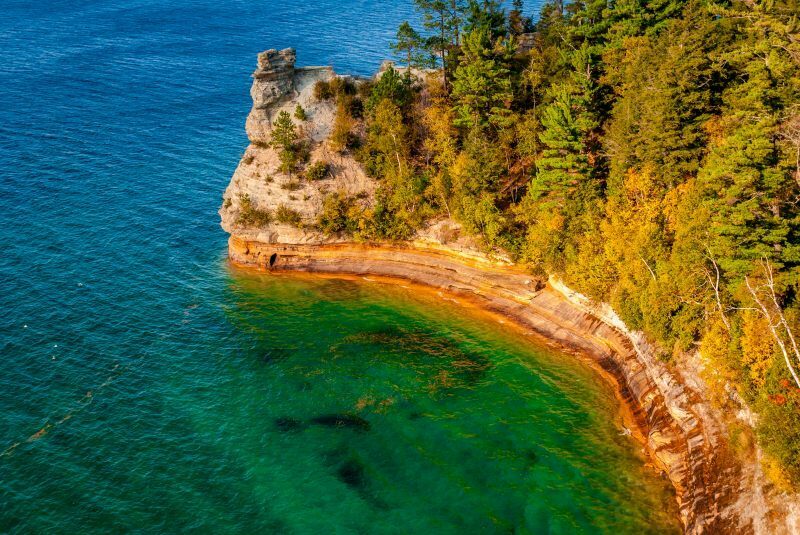 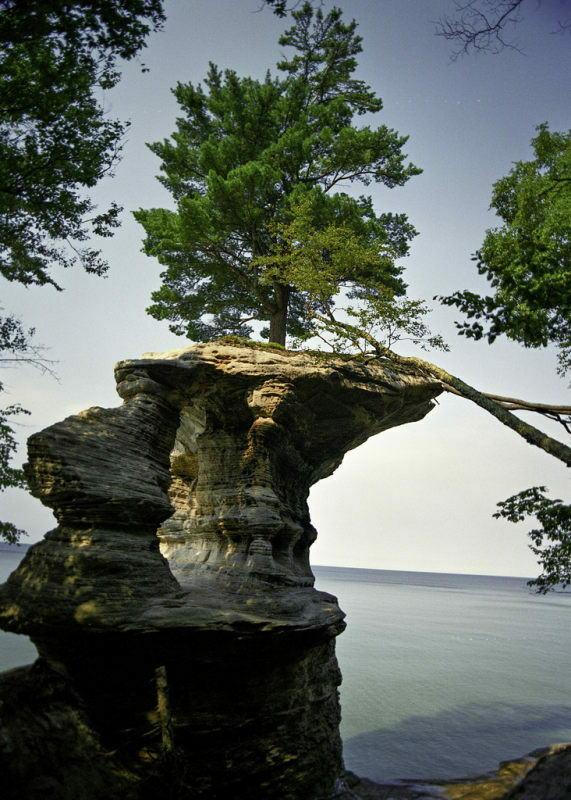 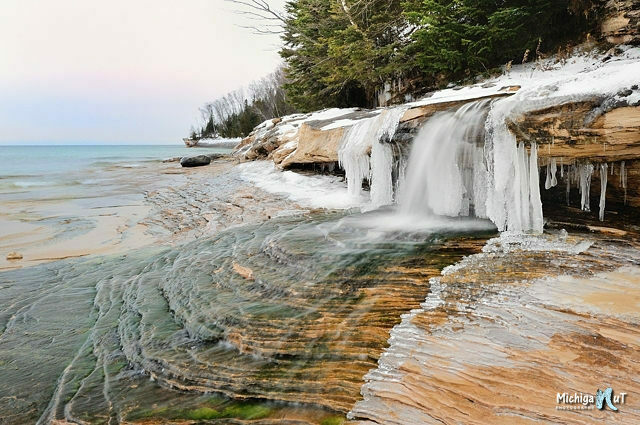 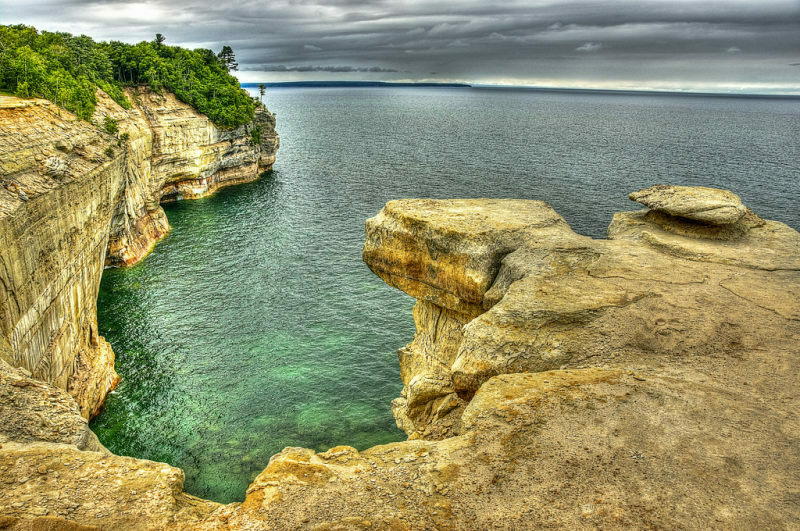 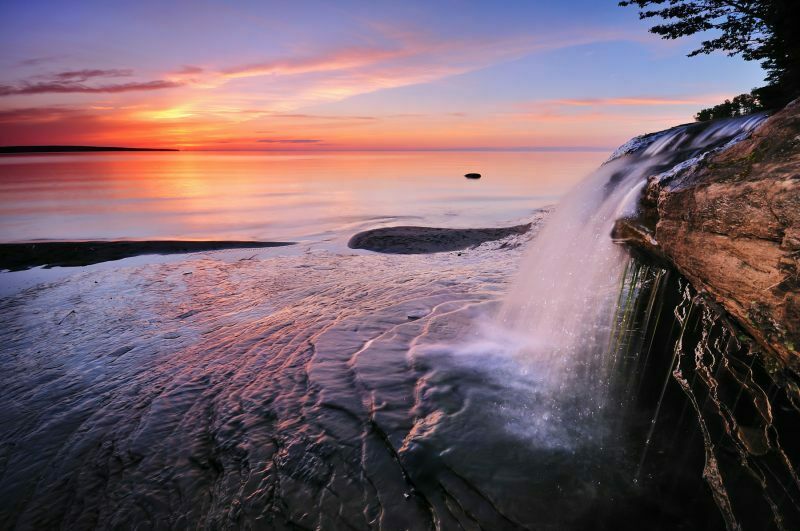 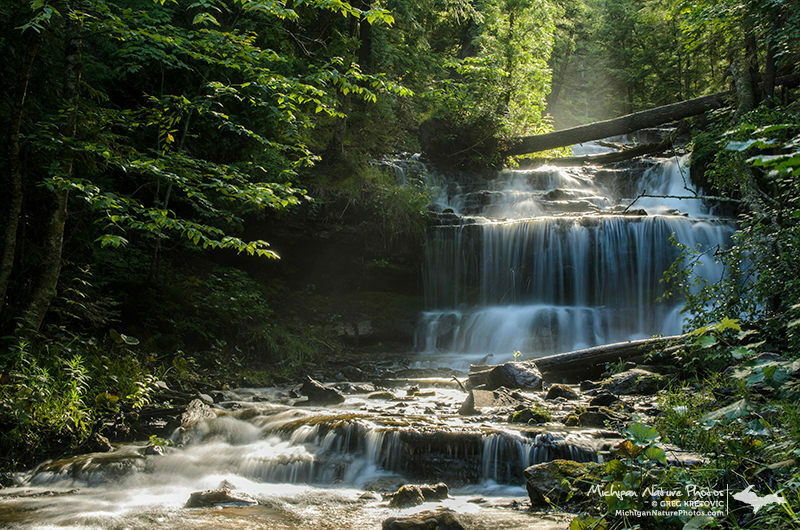 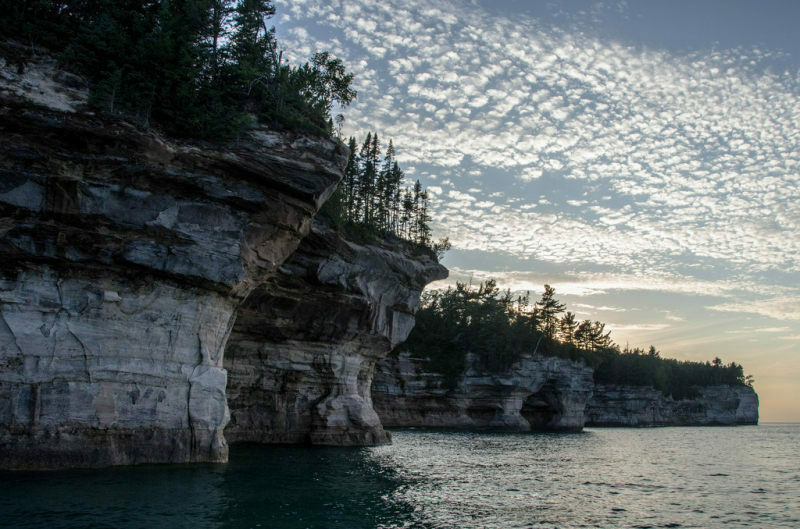 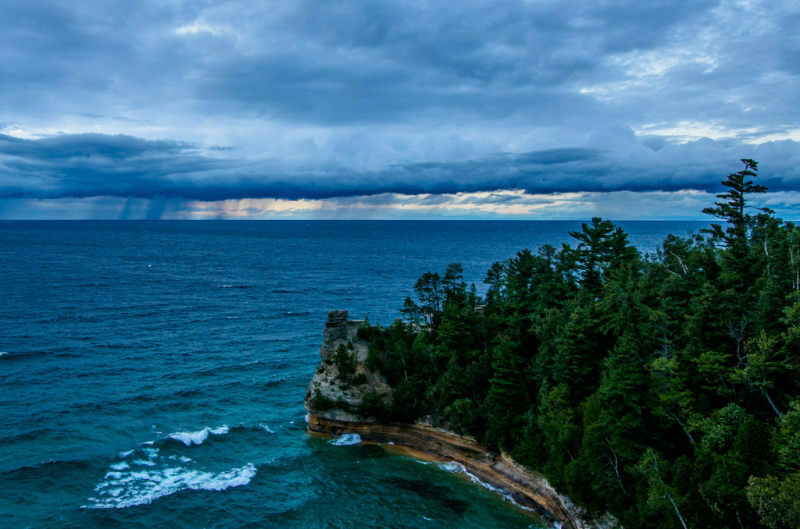 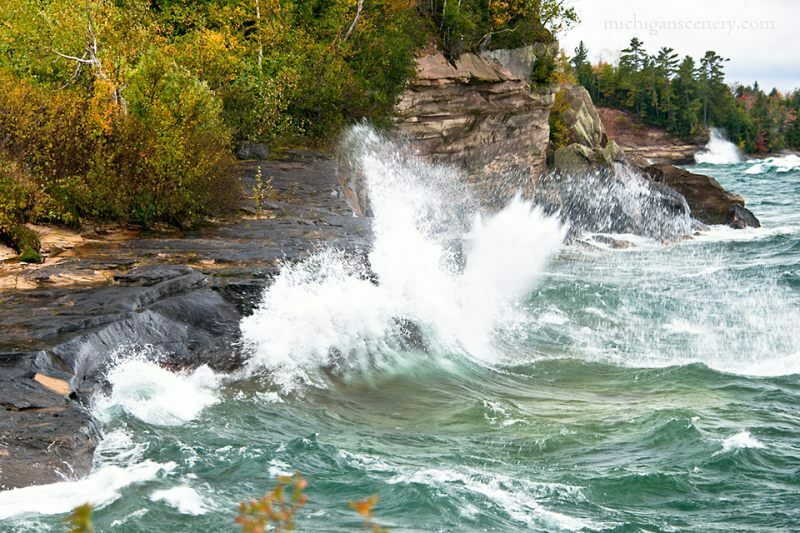 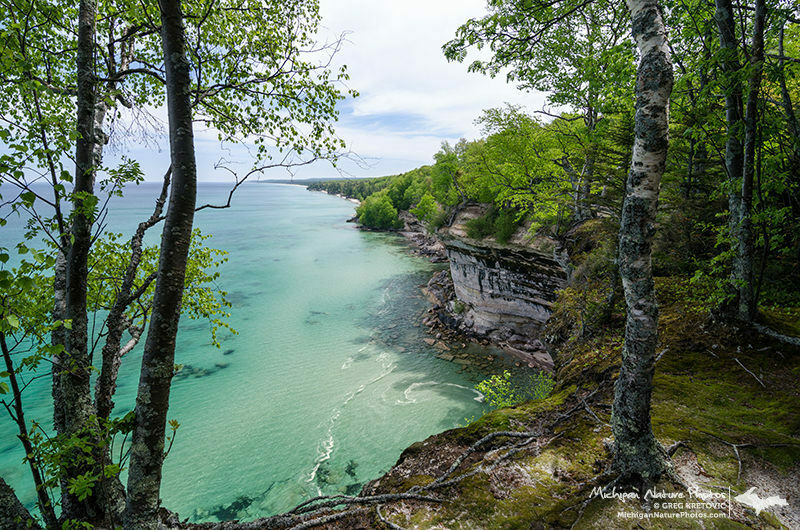 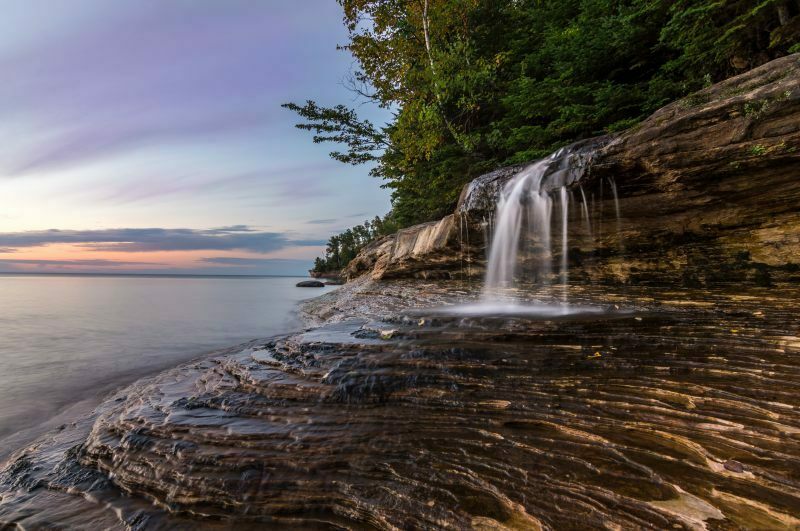 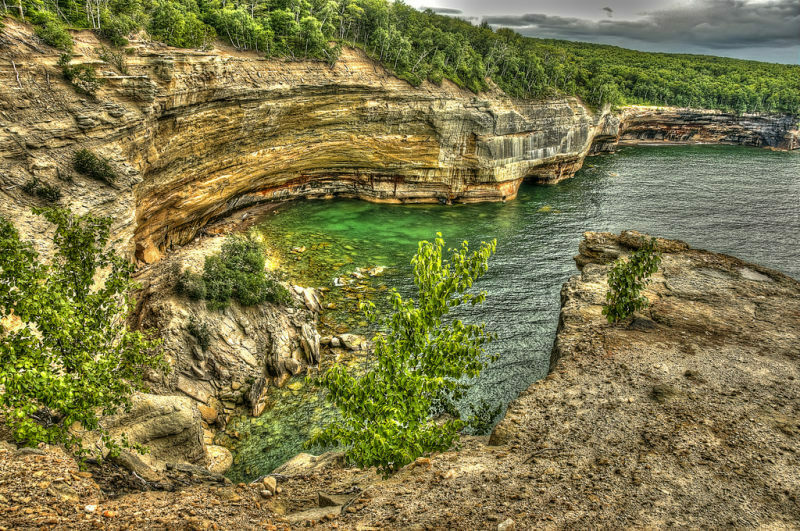 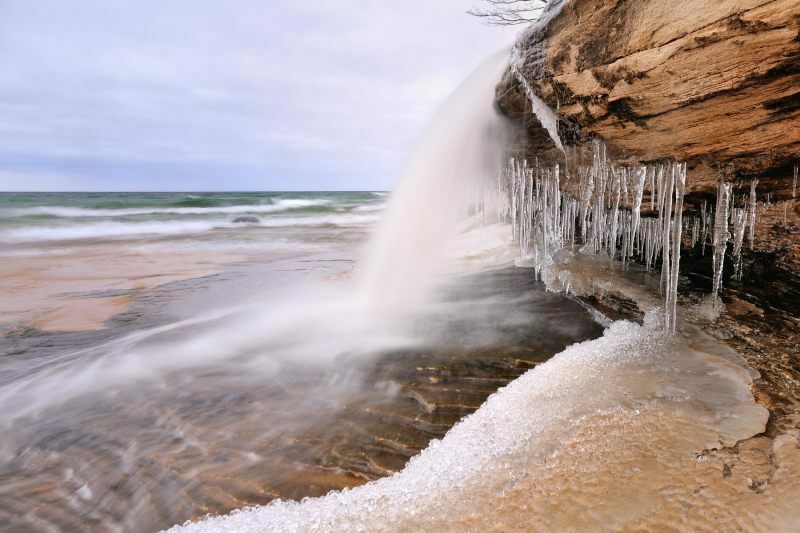 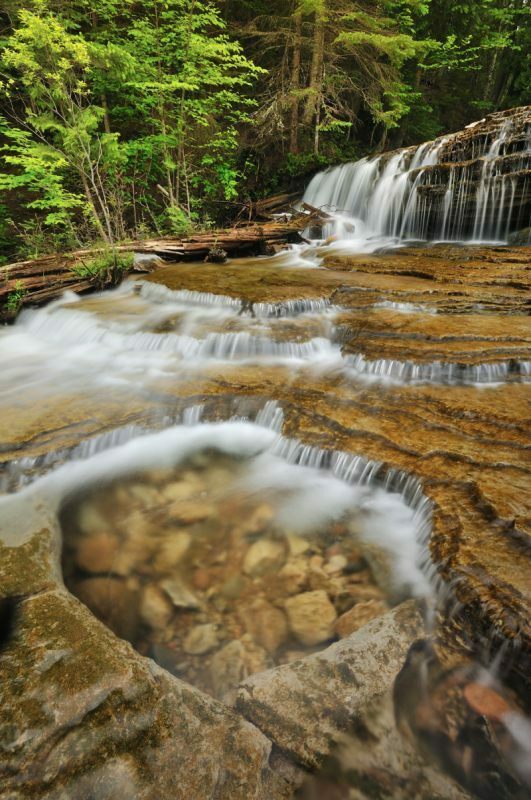 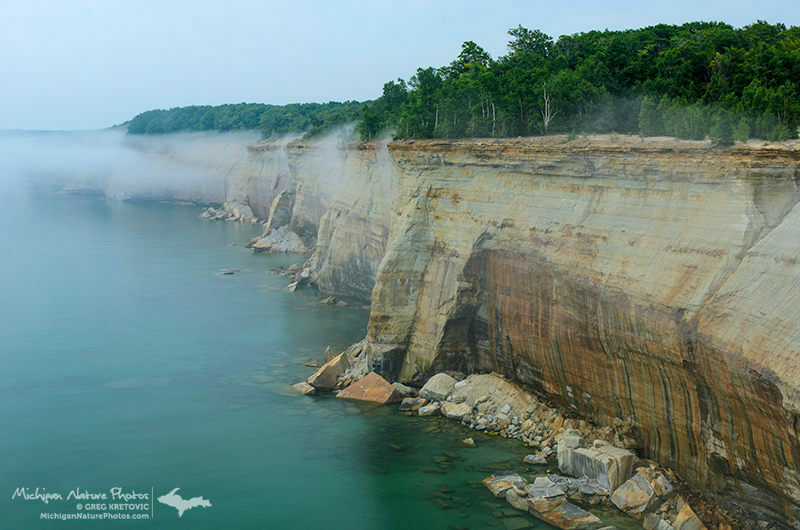 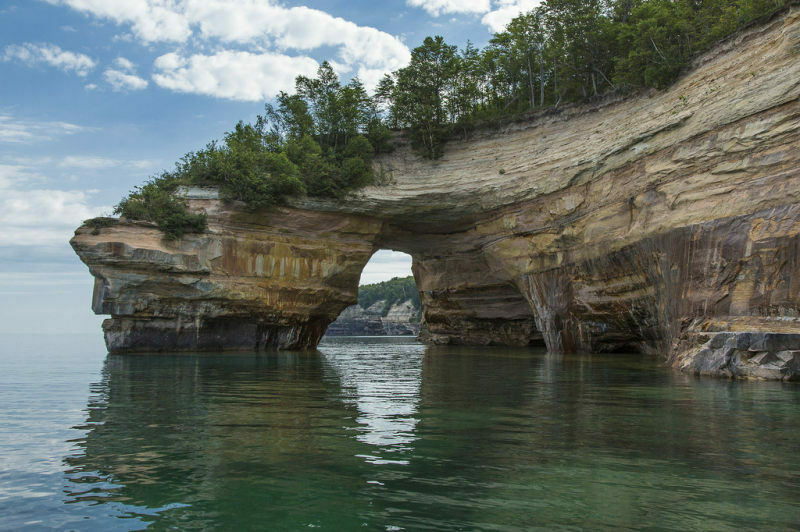 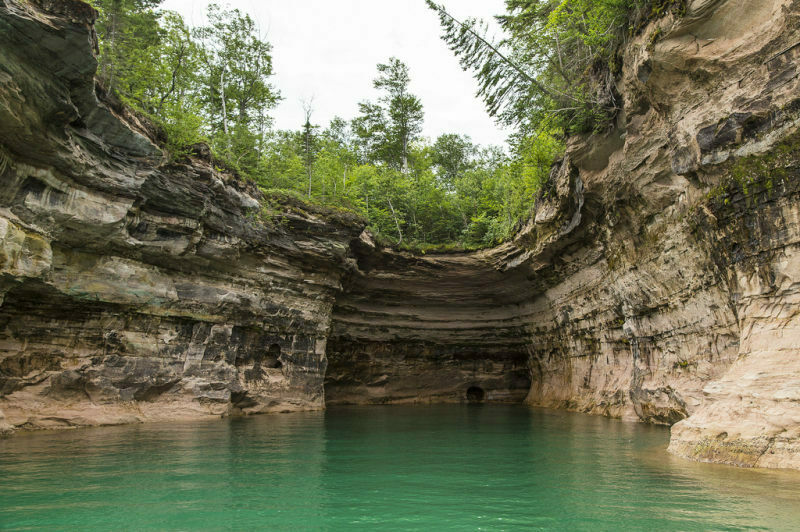 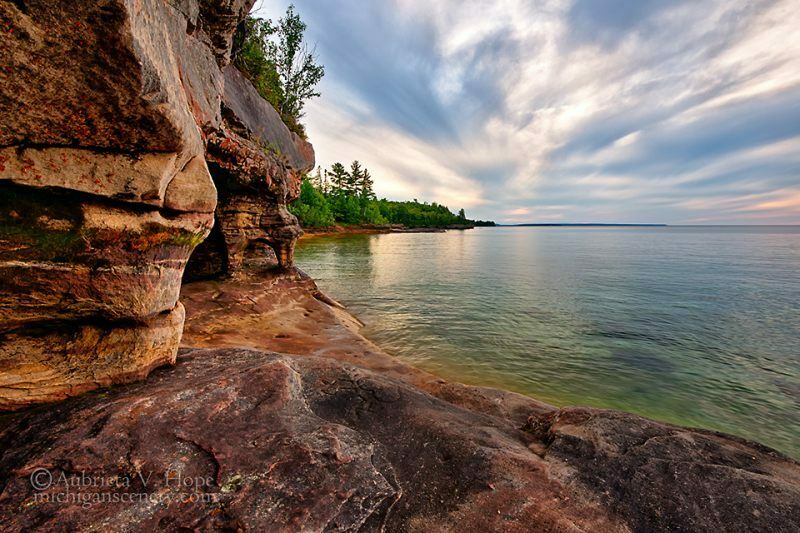 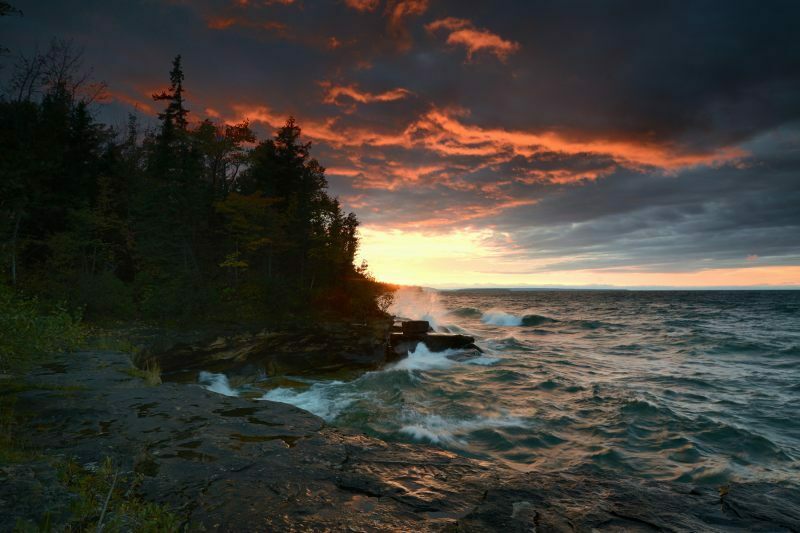 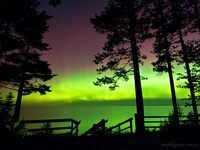 Pictured Rocks National Lakeshore, stretching from Munising to Grand Marais, is a proud centerpiece of the Great Lakes region. 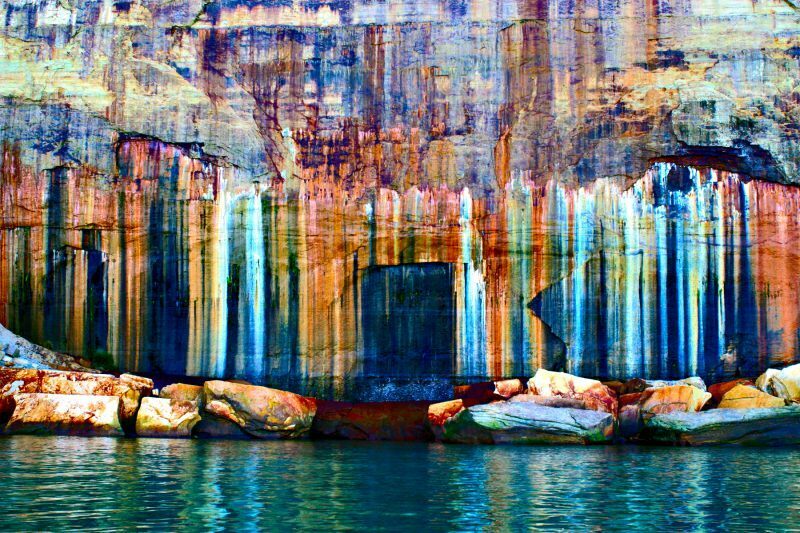 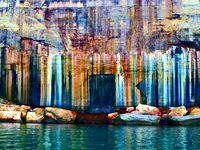 Grab your camera, because this national treasure boasts 220- foot sandstone cliffs streaked with color and caves carved by wind and water. 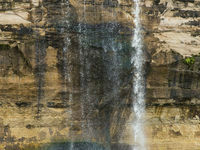 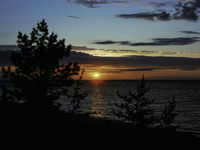 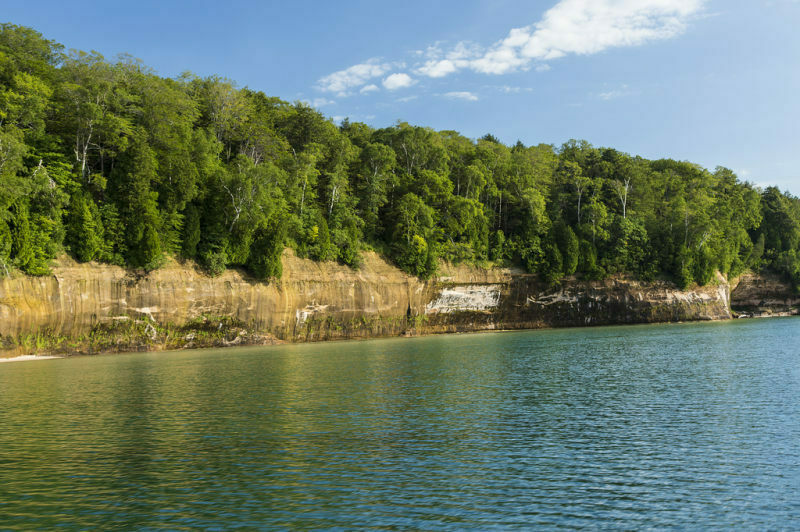 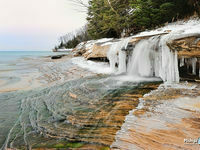 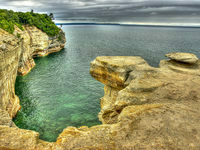 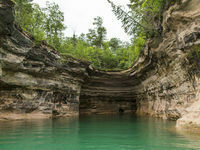 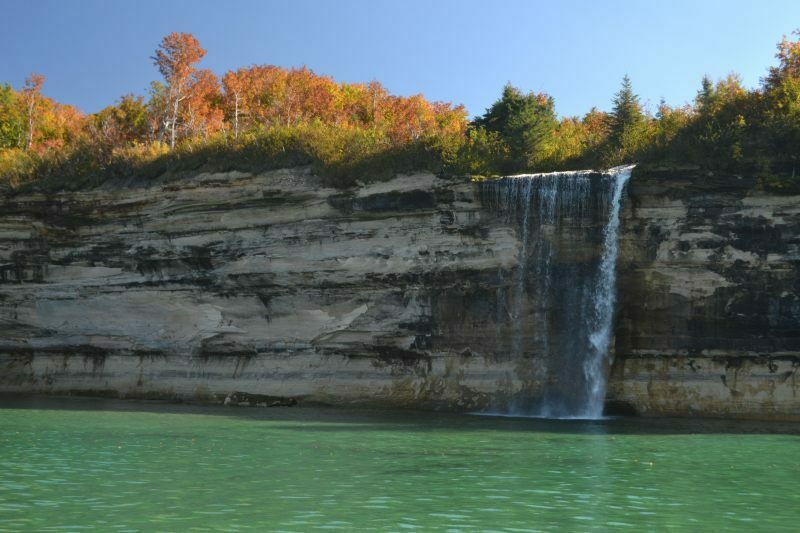 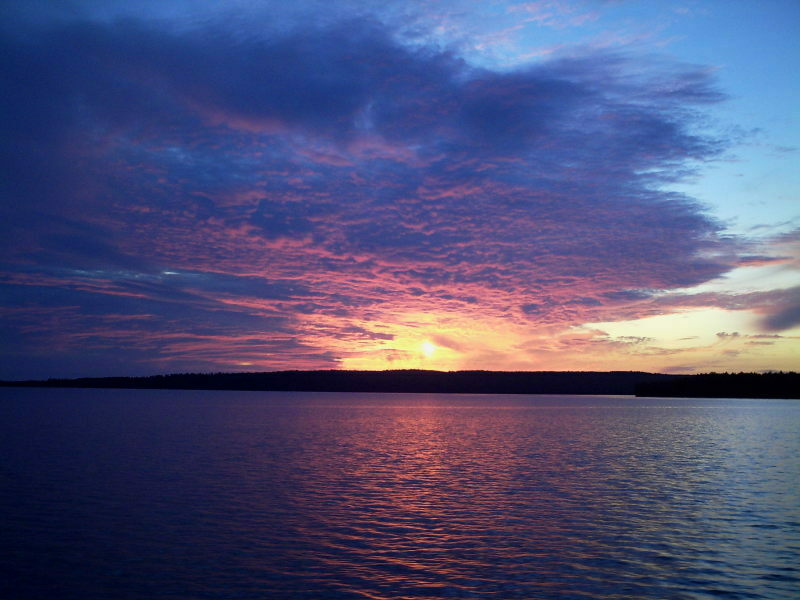 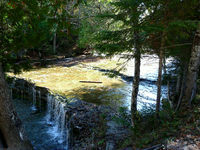 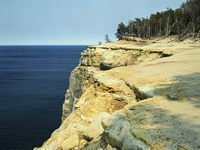 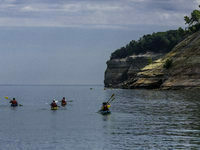 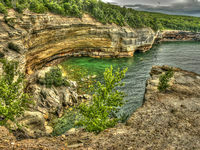 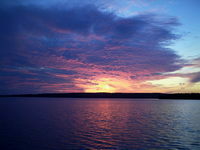 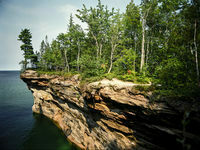 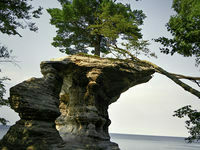 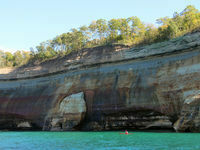 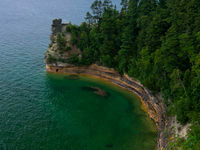 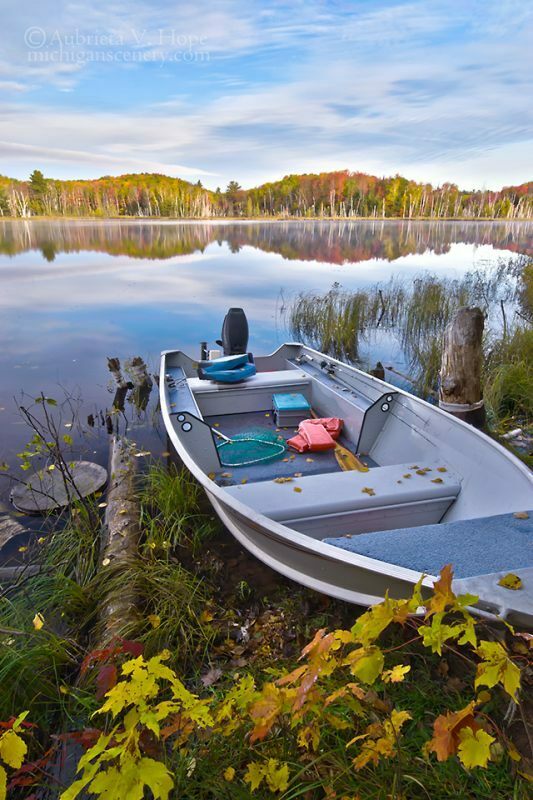 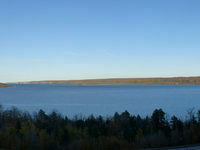 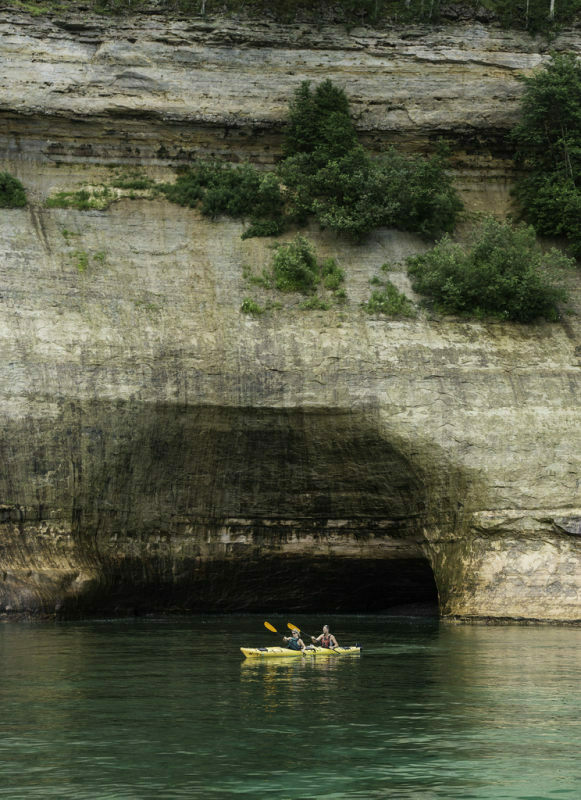 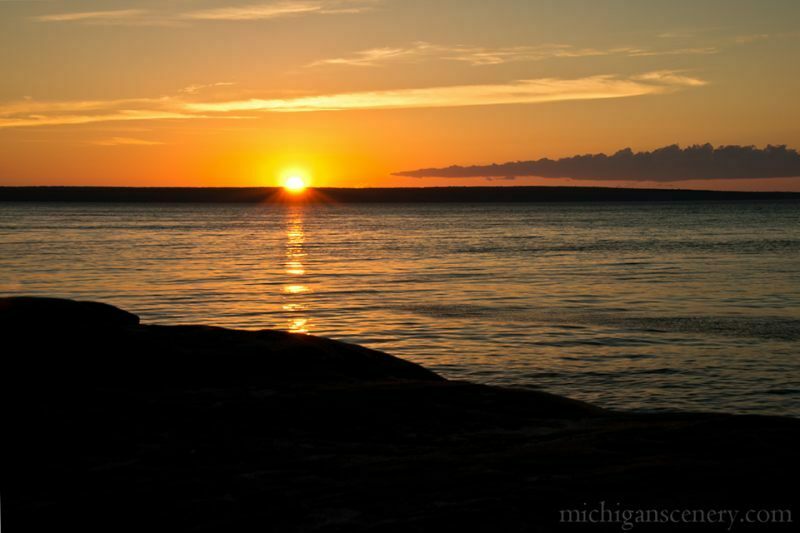 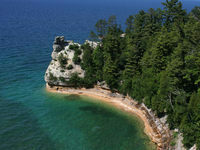 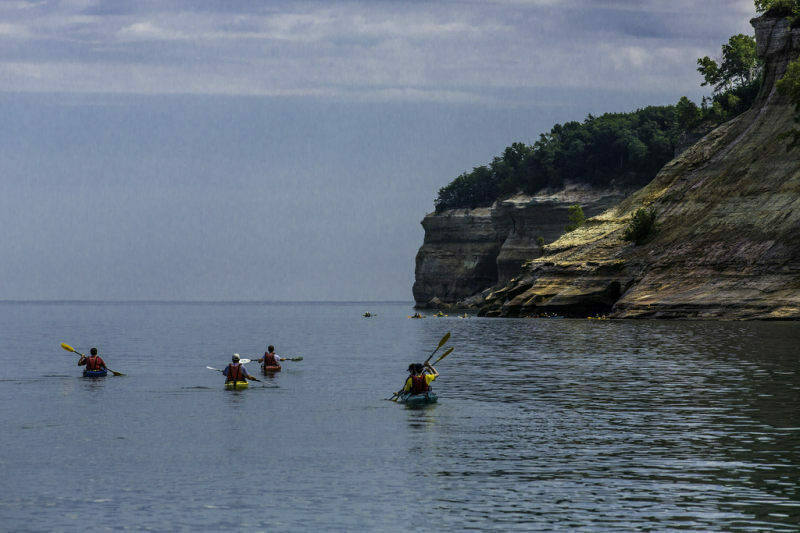 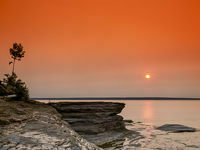 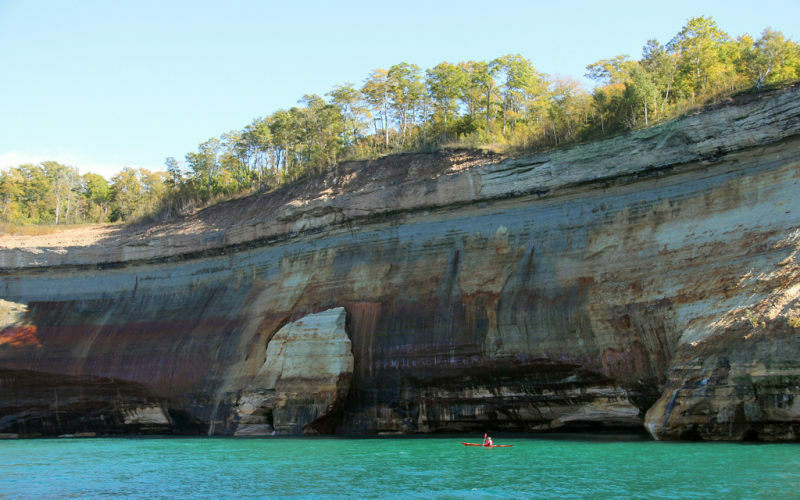 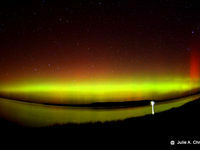 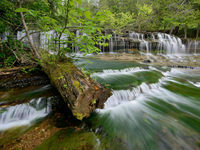 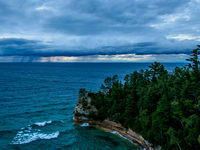 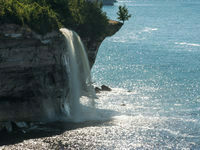 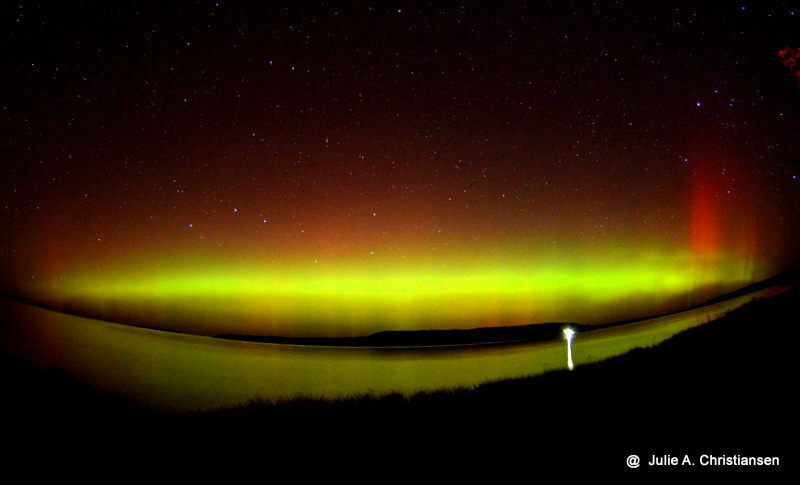 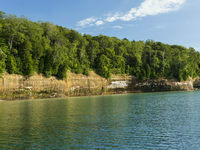 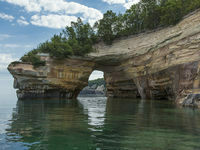 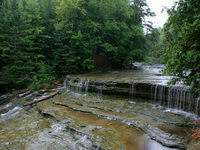 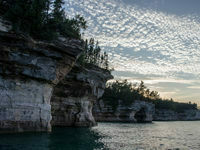 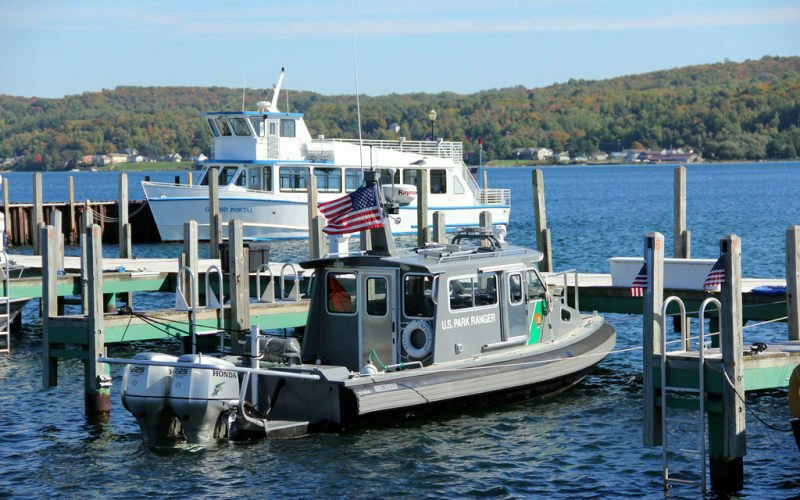 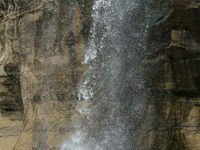 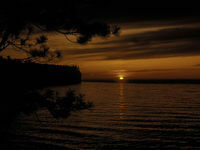 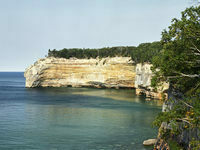 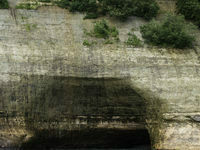 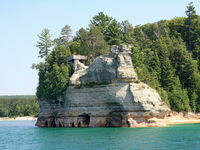 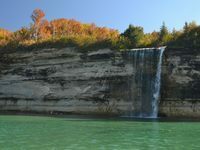 For an up-close view, take a guided kayak or canoe tour or one of the Pictured Rocks Cruises from May to mid October. 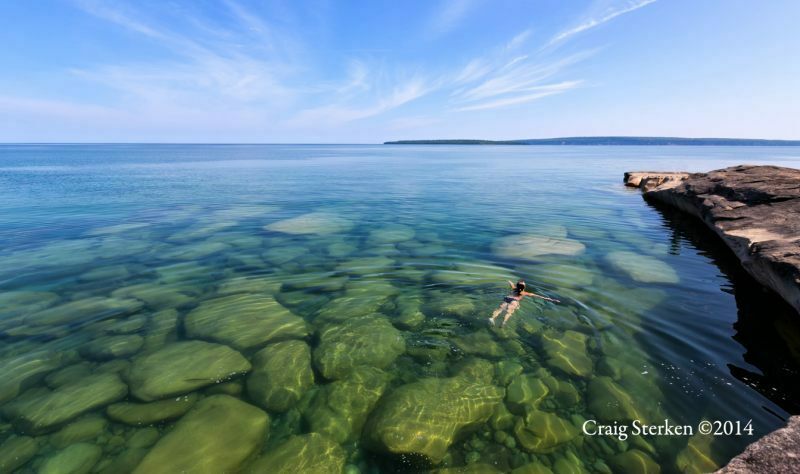 Glass-bottomed boats let you see ghostly shipwrecks in the Alger Underwater Preserve. 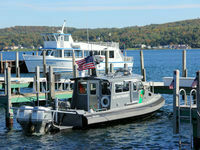 Or take a ferry to Grand Island. 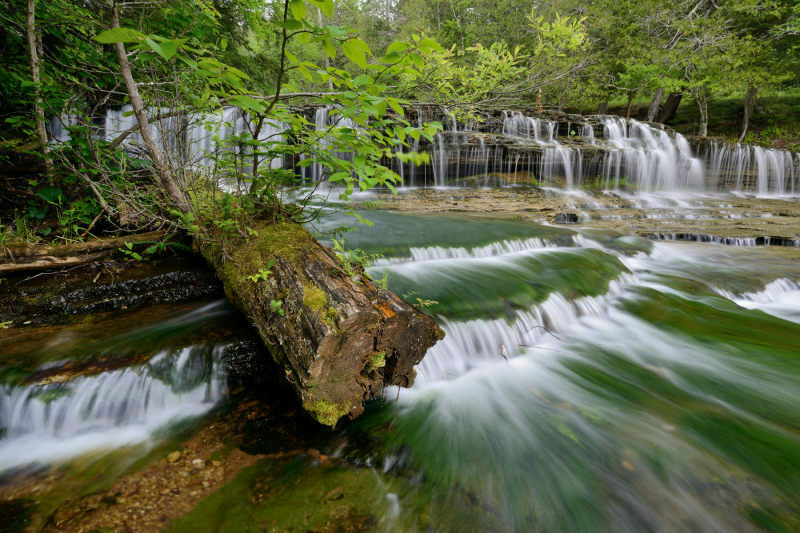 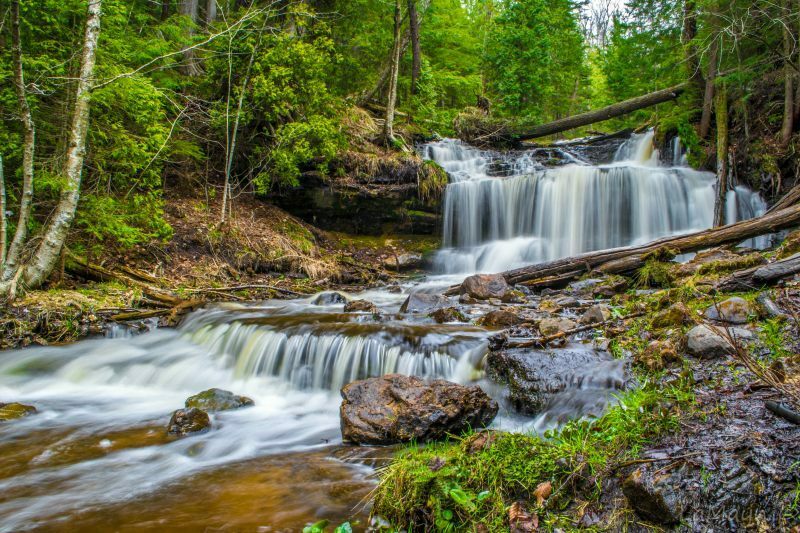 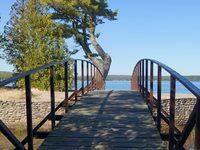 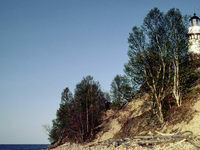 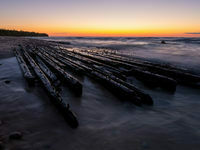 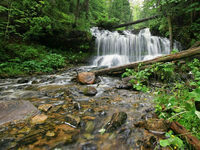 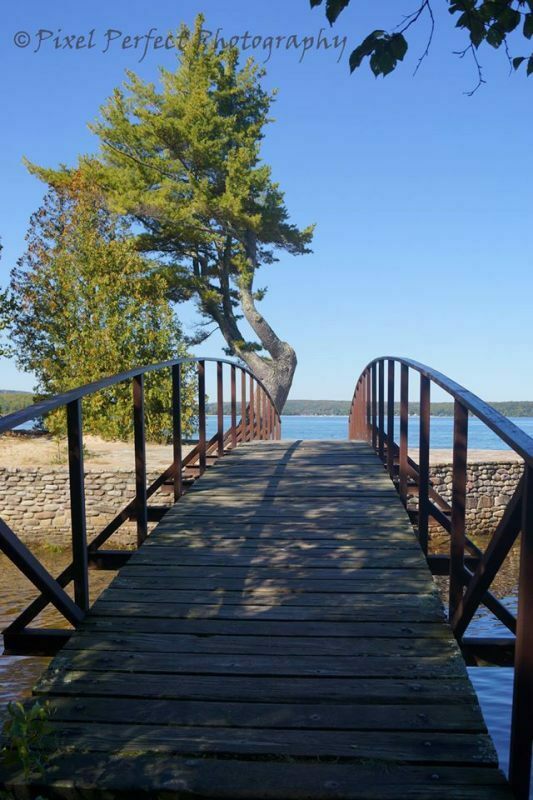 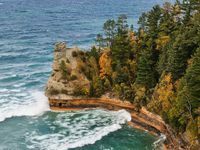 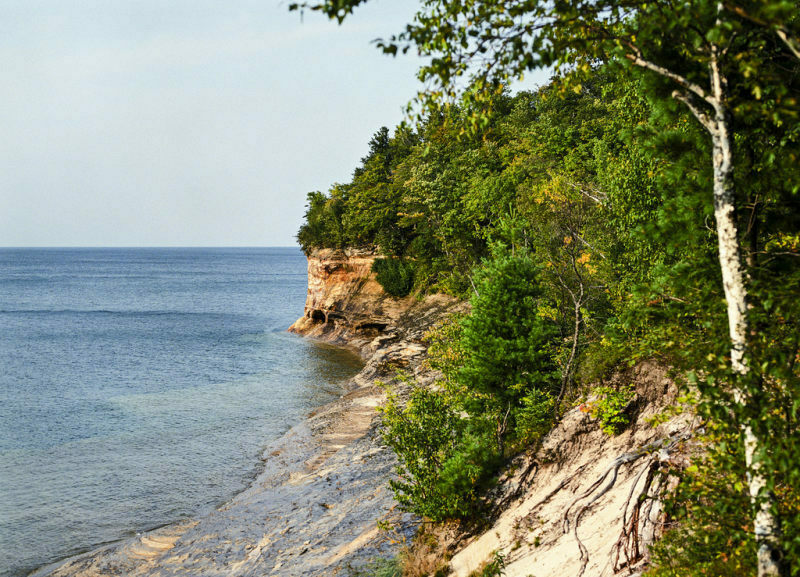 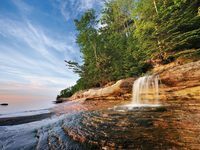 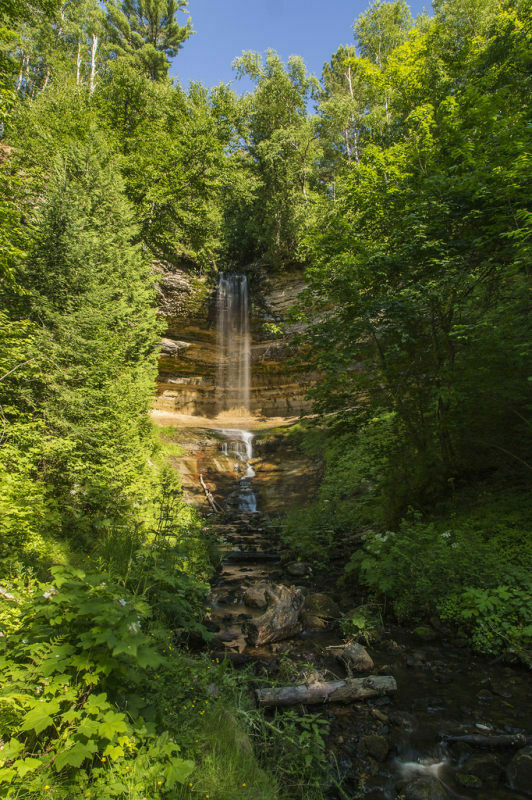 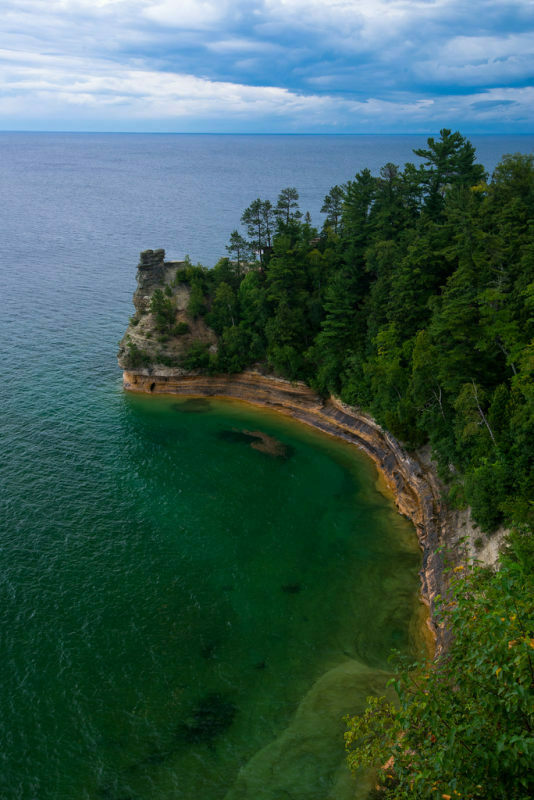 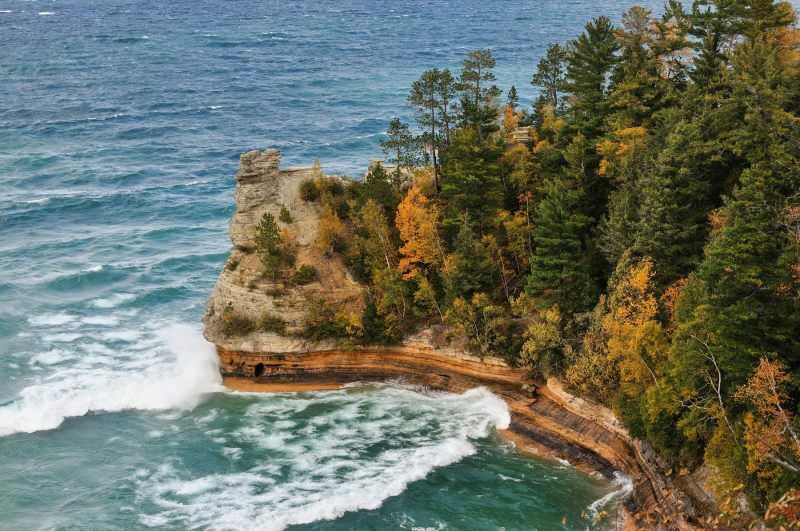 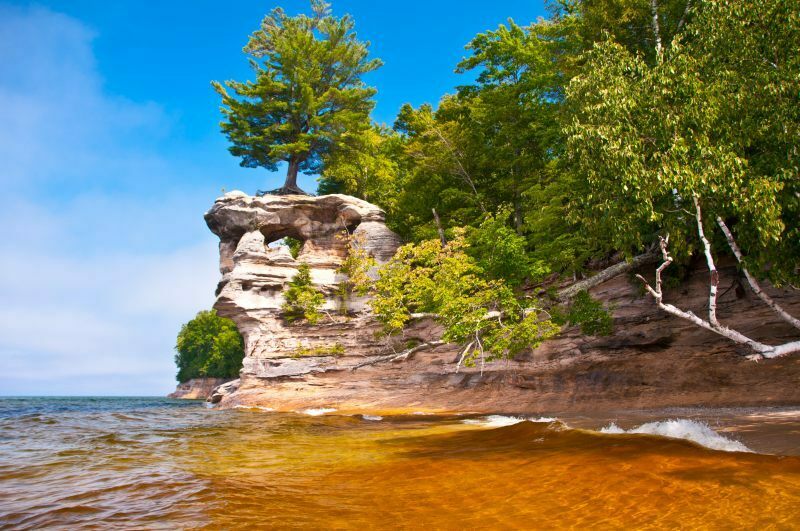 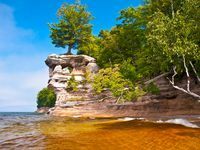 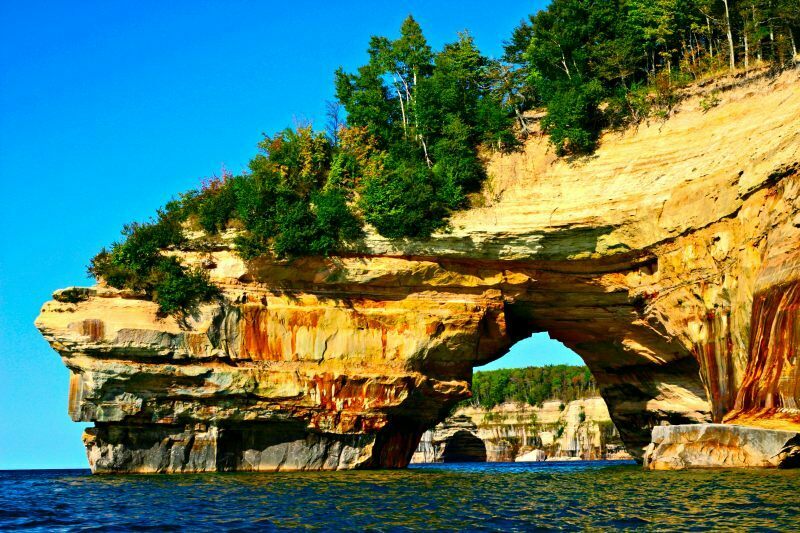 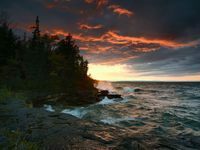 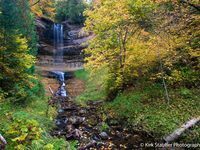 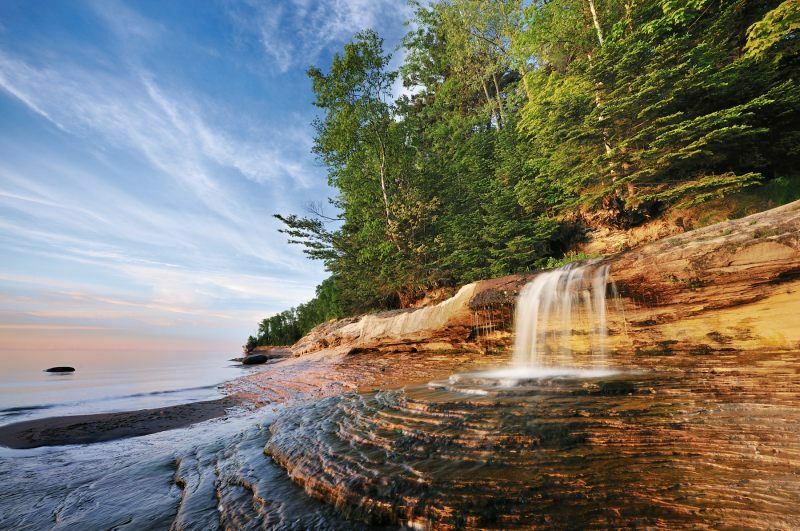 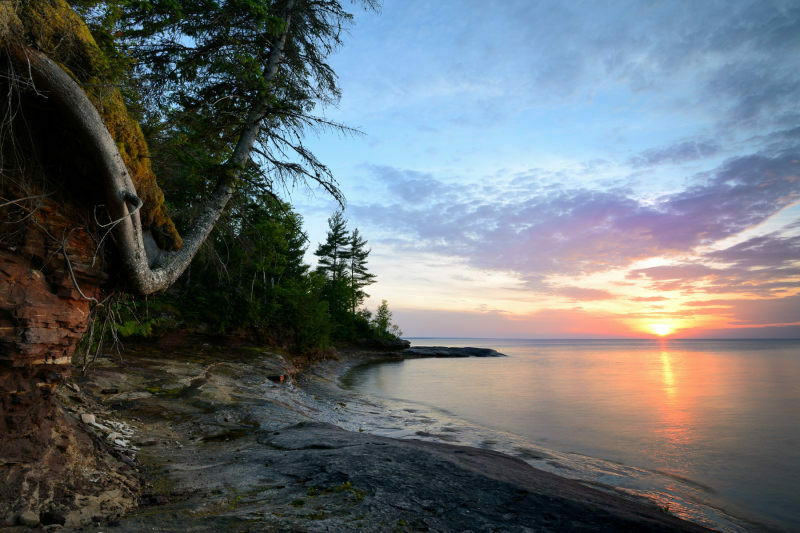 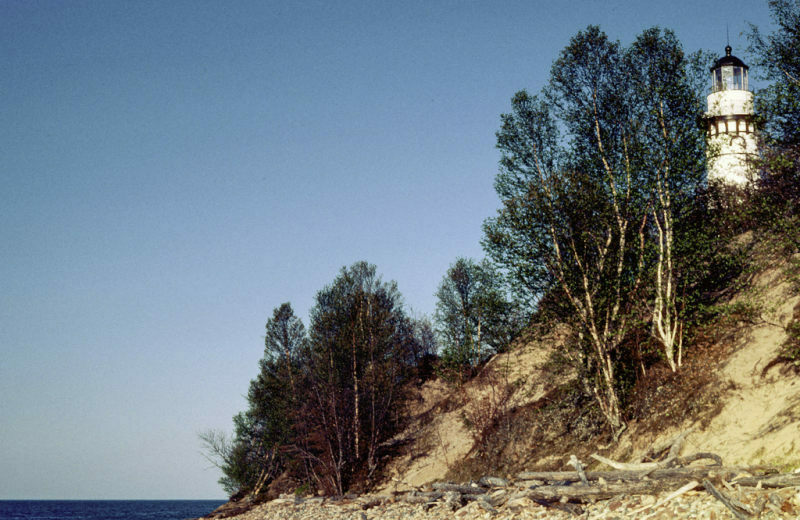 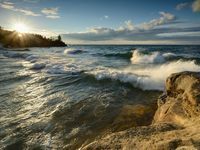 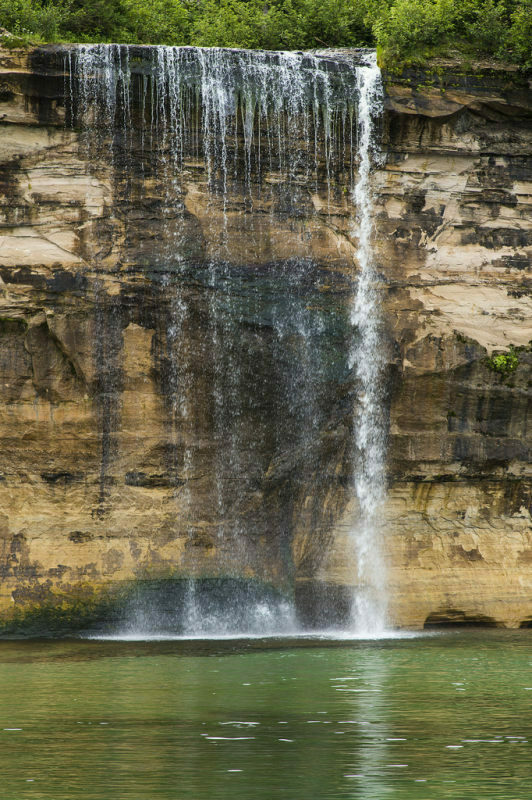 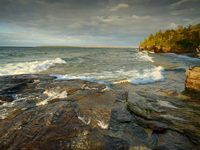 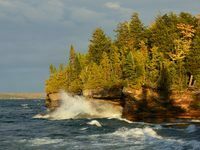 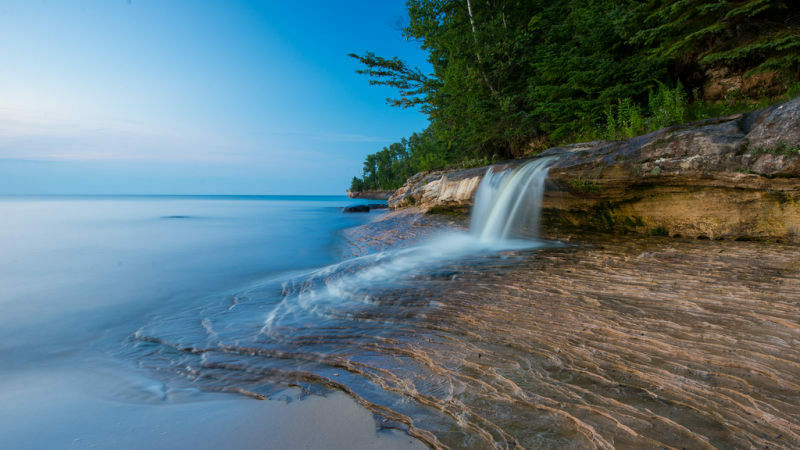 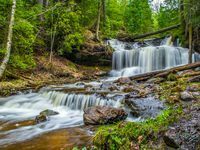 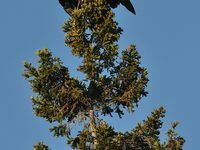 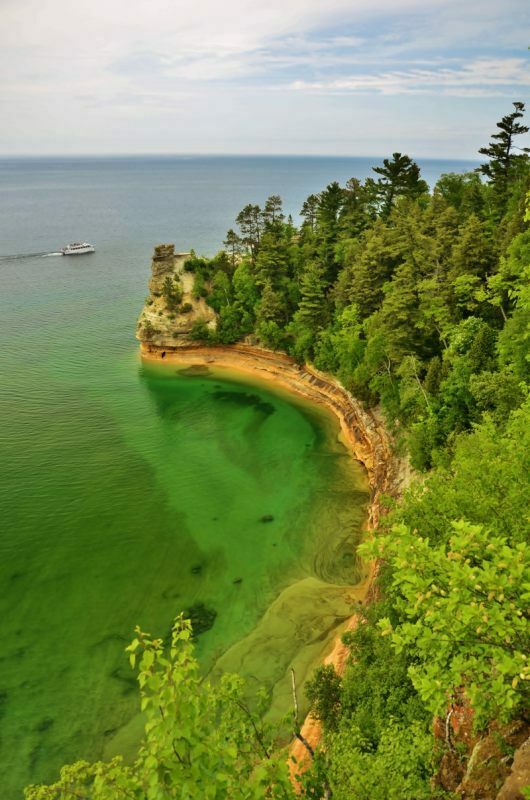 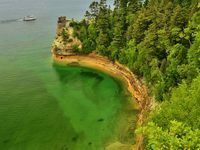 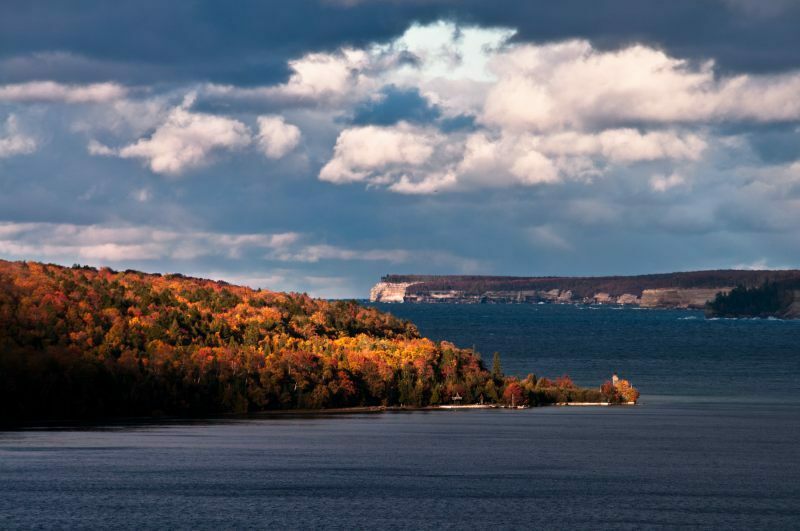 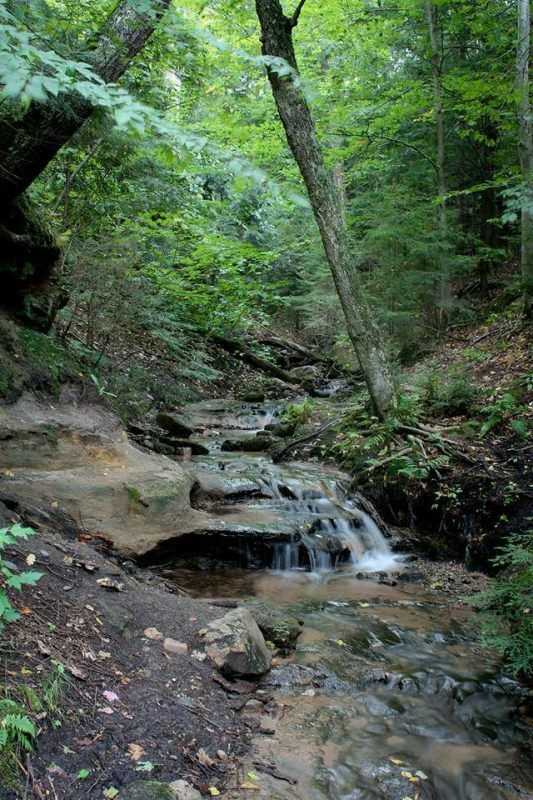 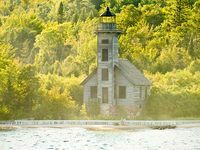 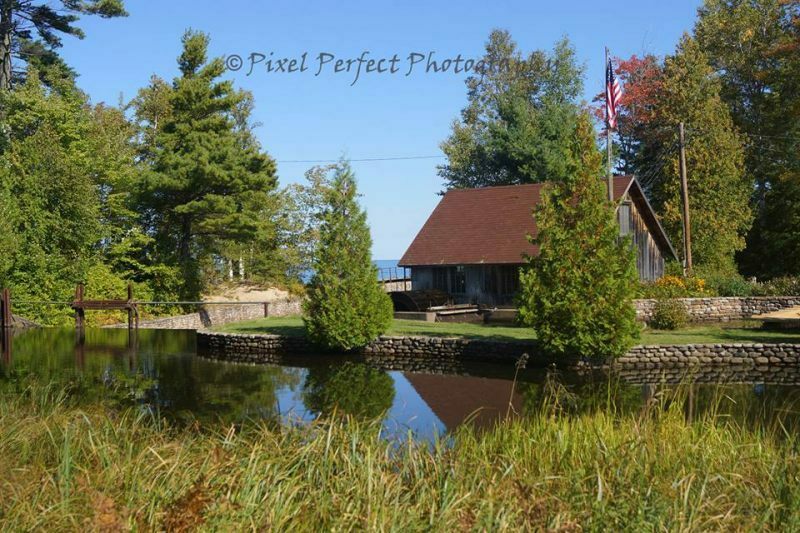 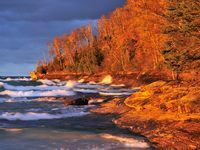 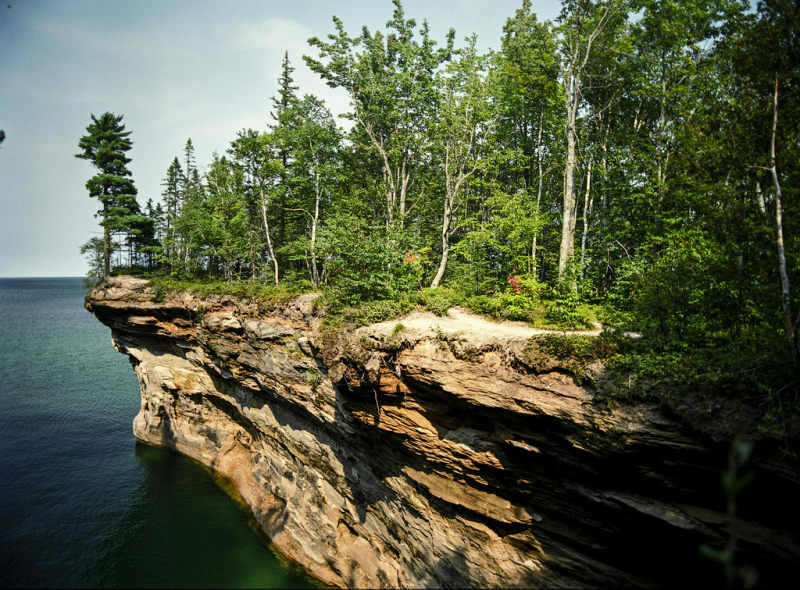 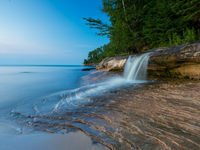 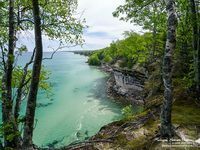 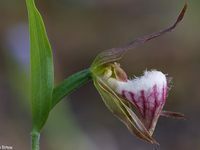 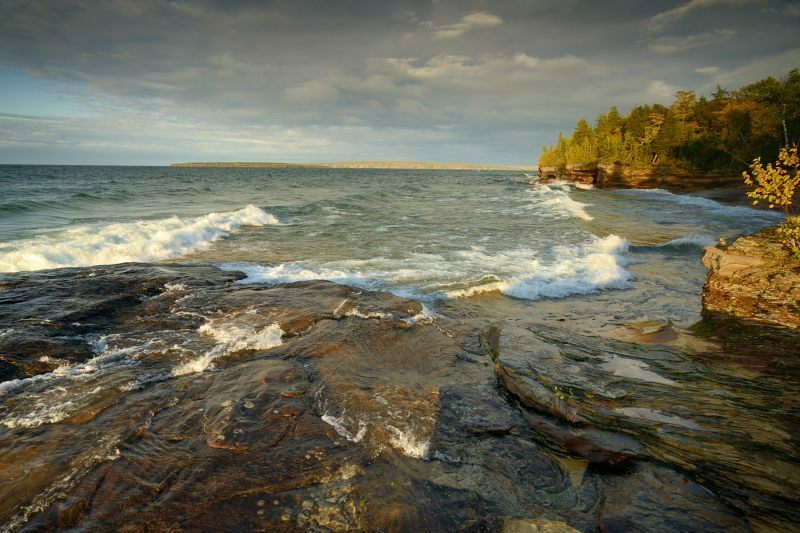 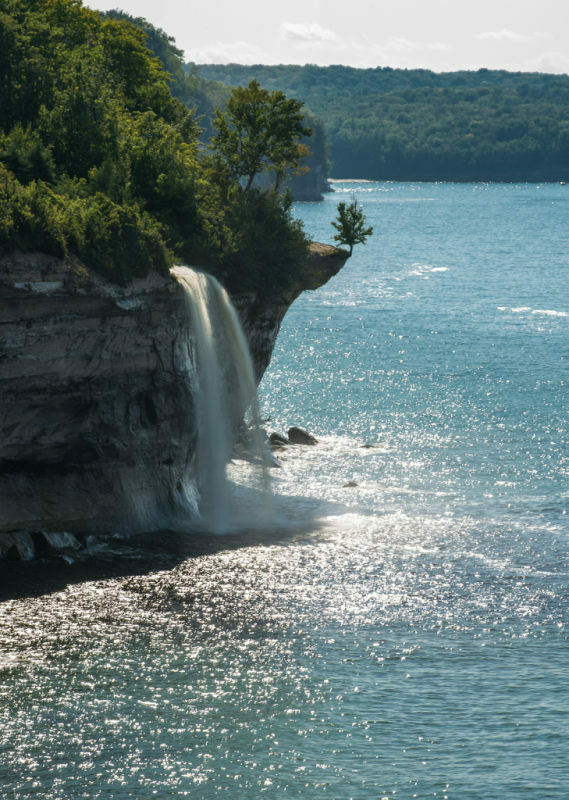 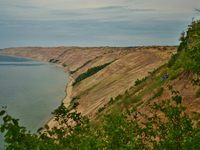 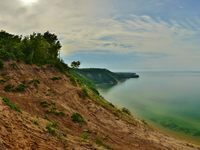 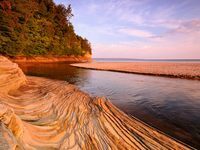 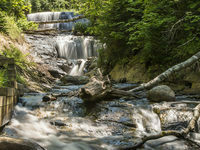 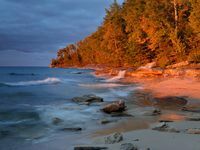 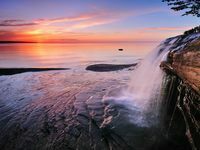 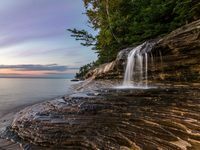 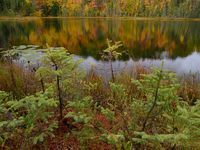 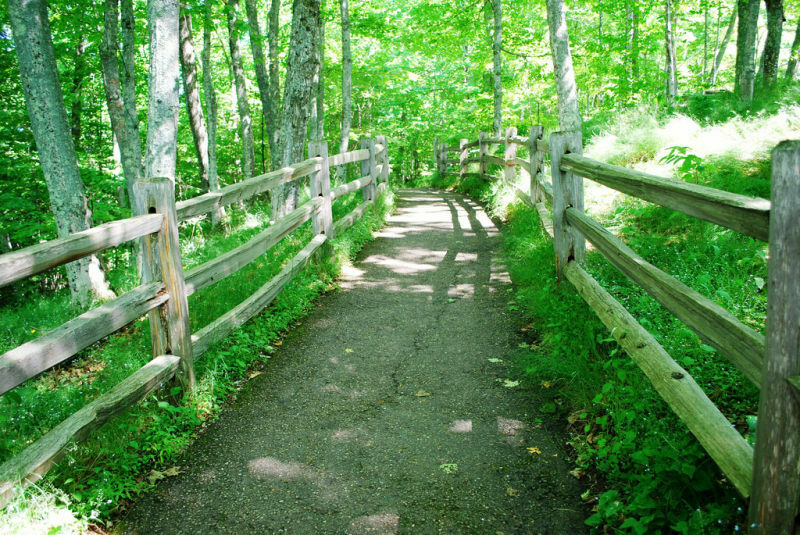 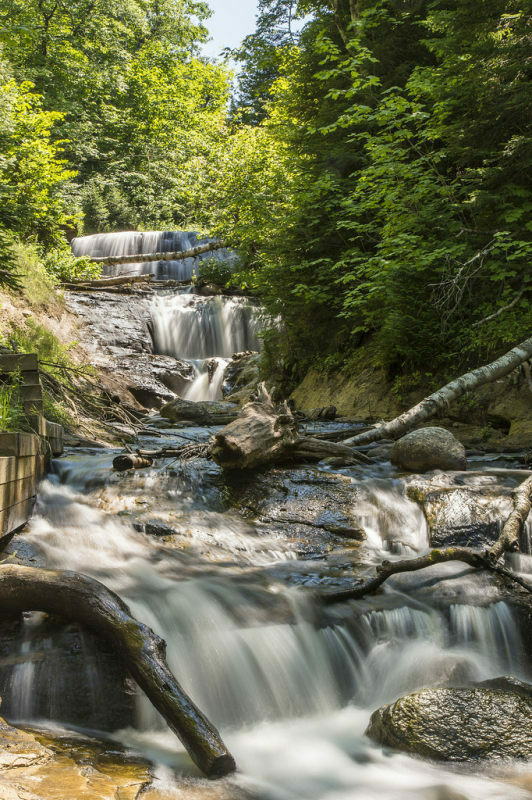 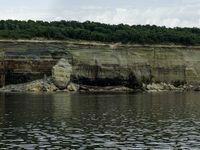 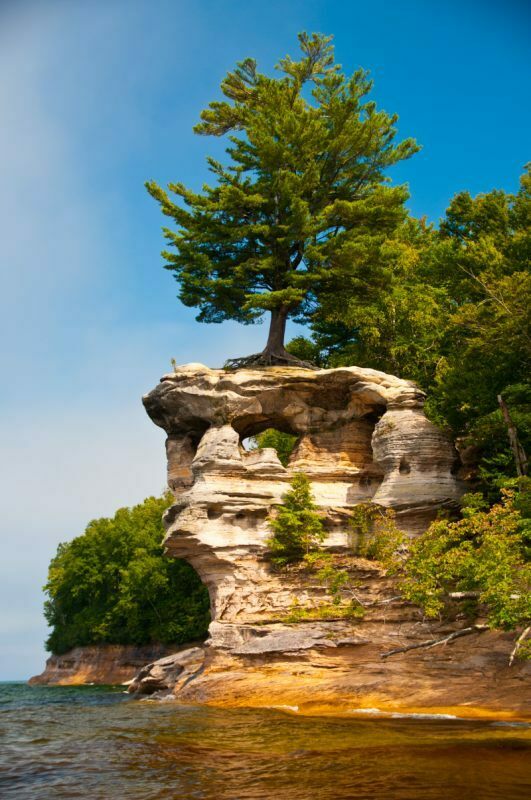 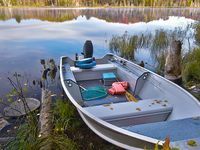 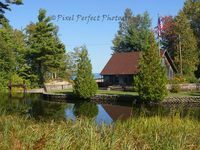 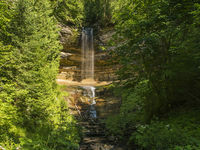 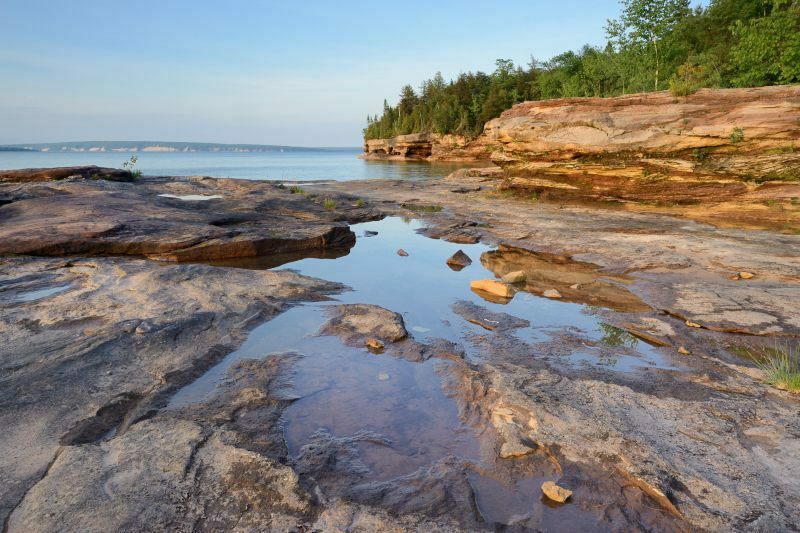 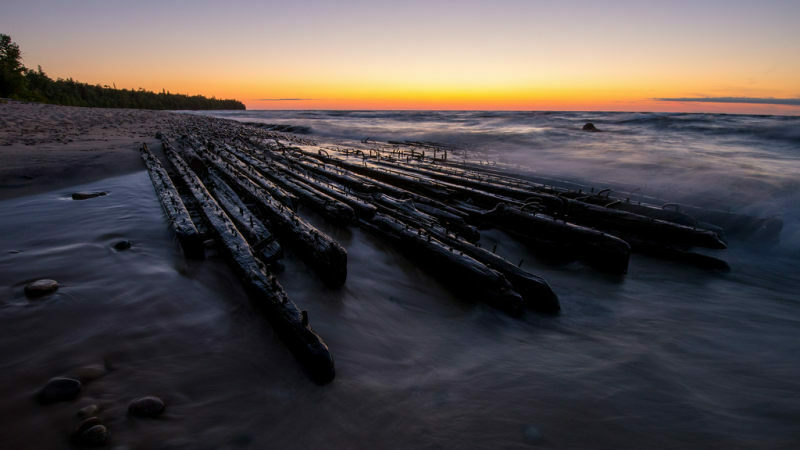 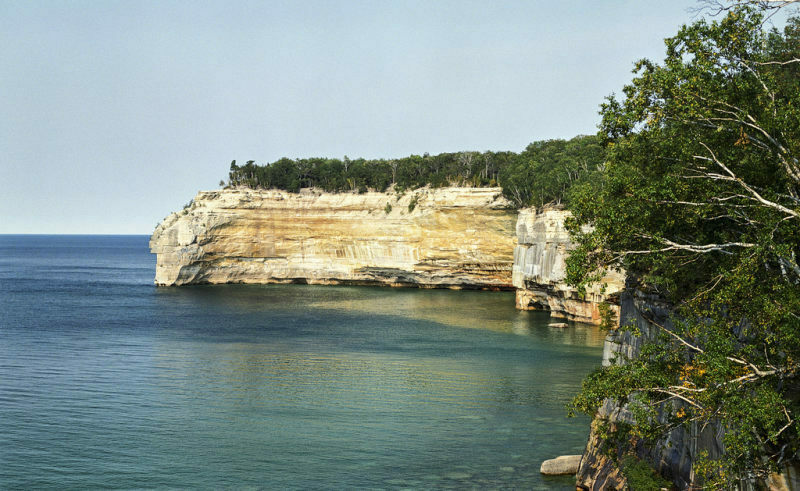 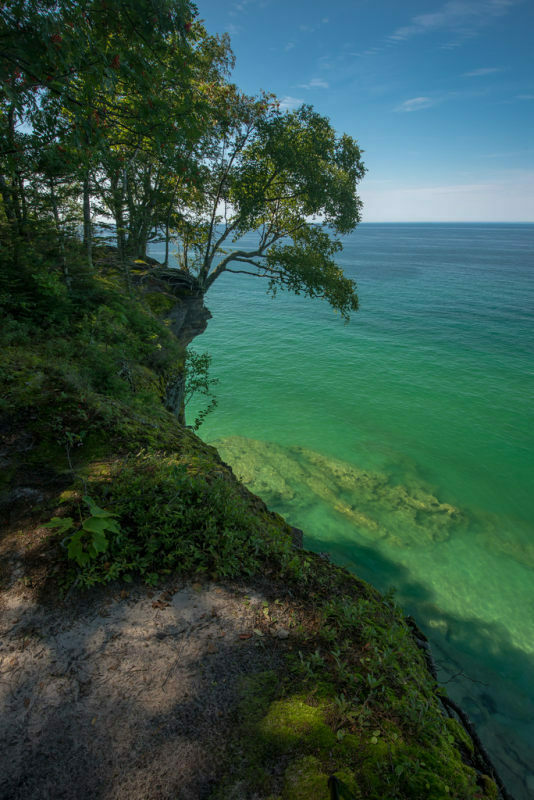 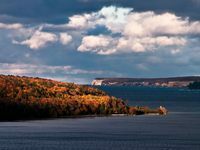 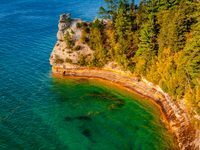 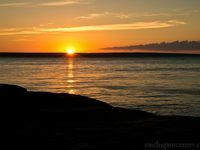 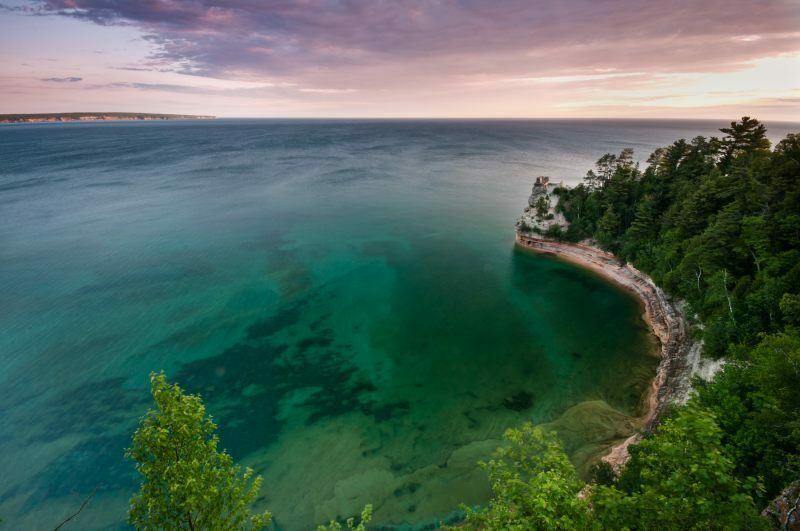 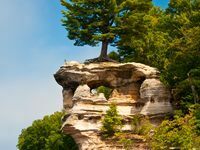 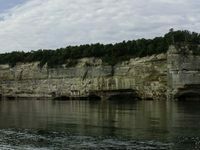 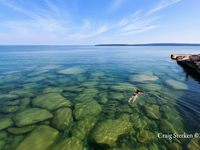 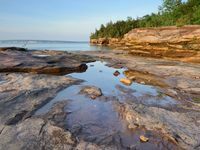 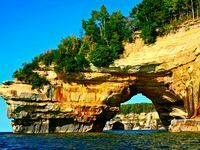 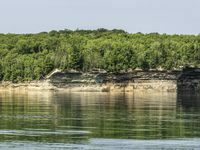 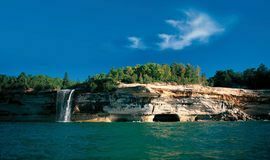 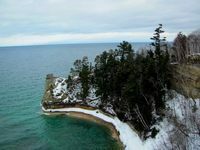 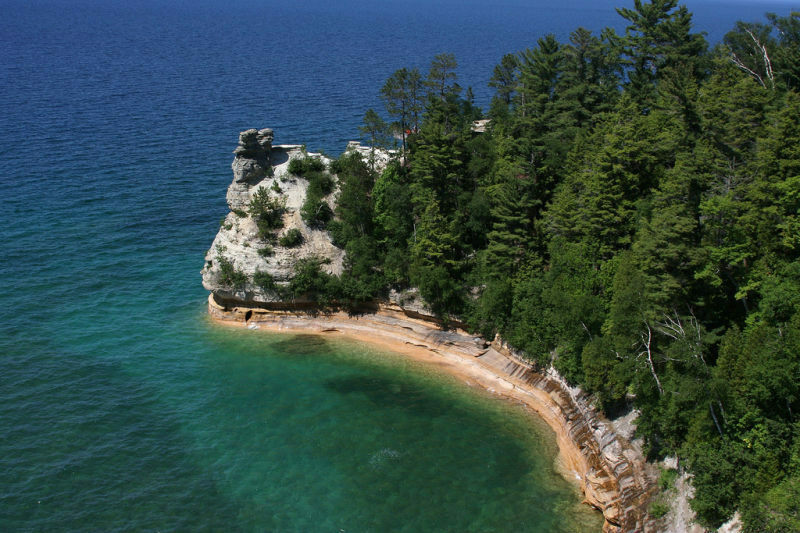 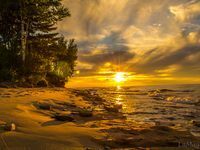 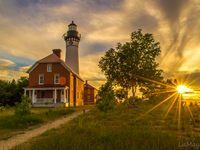 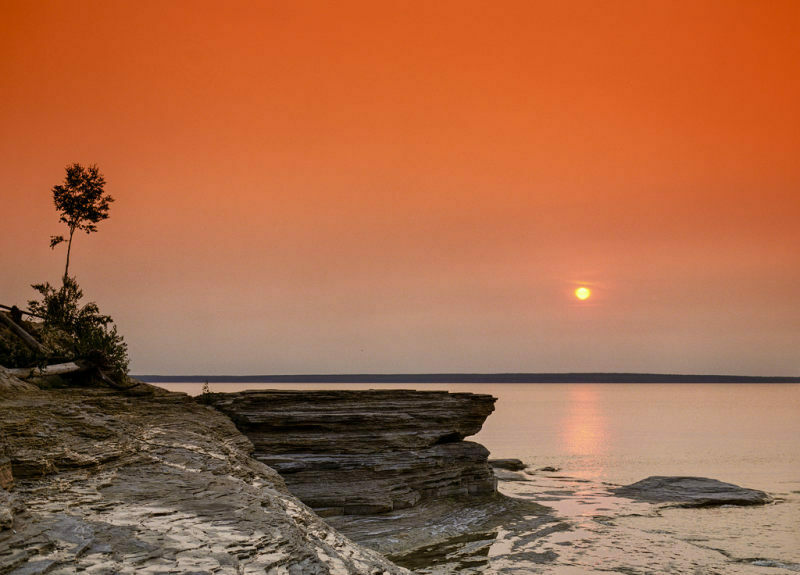 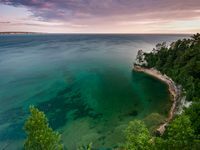 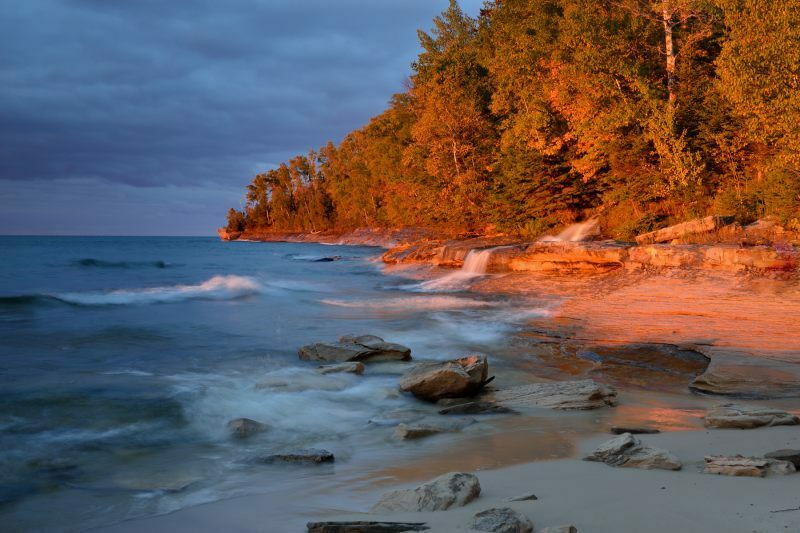 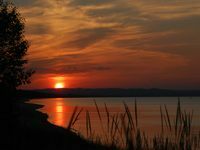 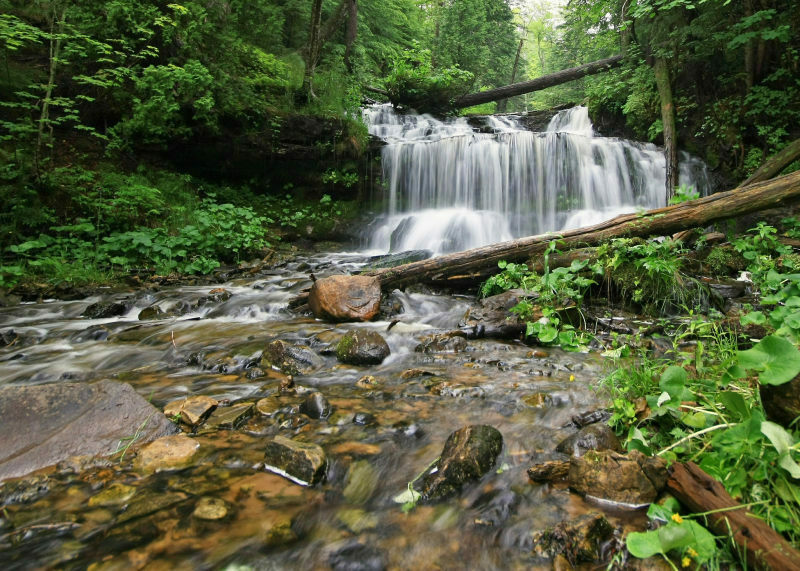 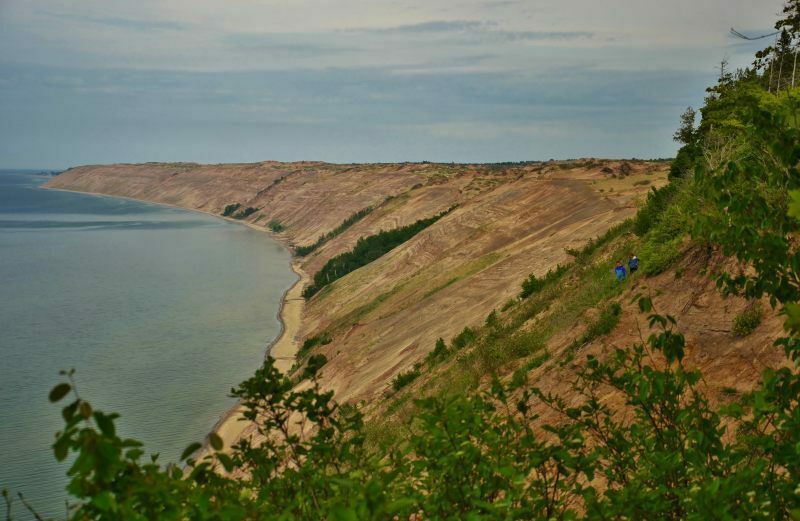 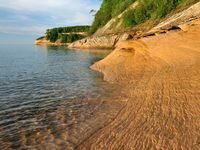 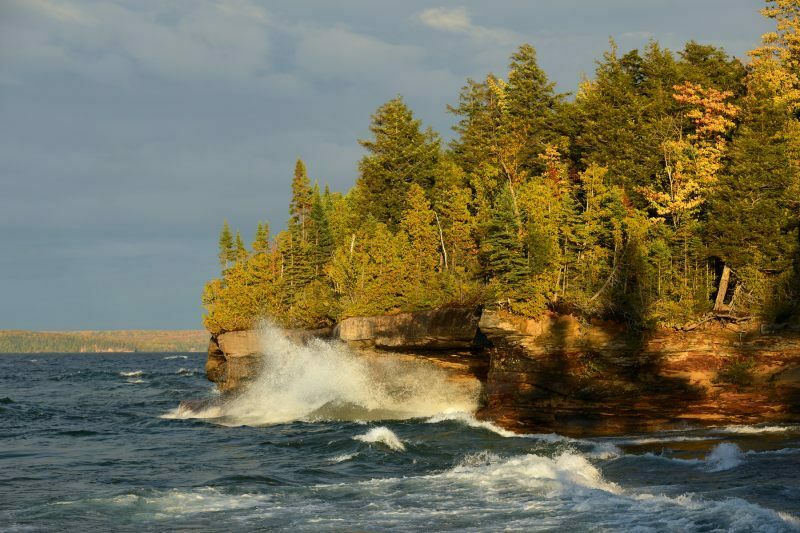 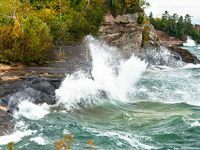 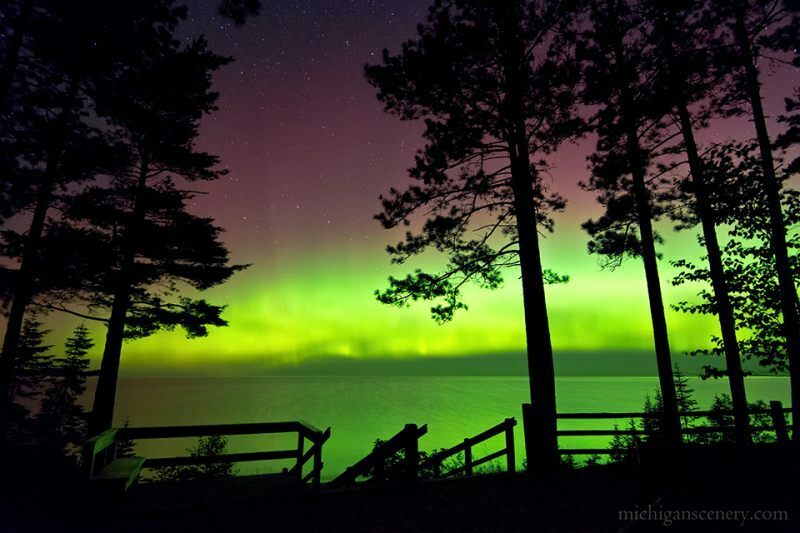 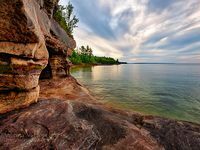 This island is four times bigger than Mackinac Island and offers a different perspective of the Pictured Rocks as well as thousands of primitive acres to explore on foot, bicycle or tour bus. 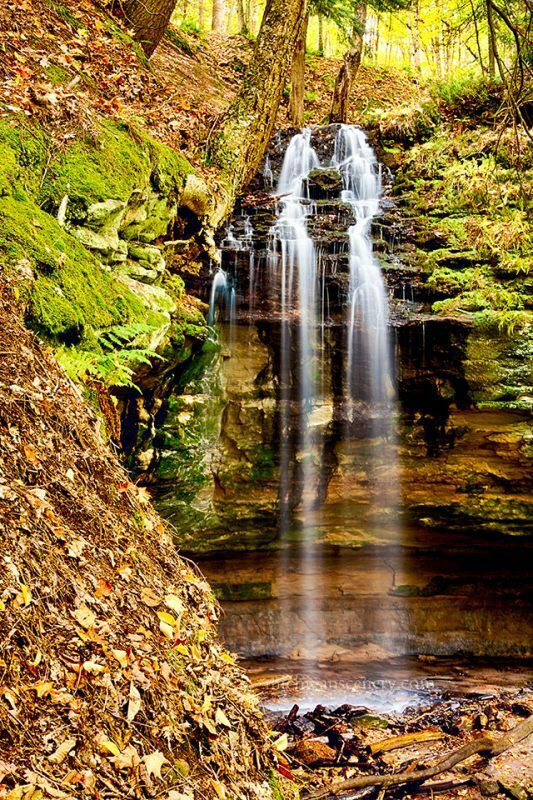 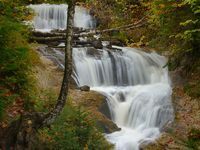 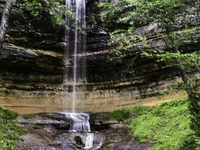 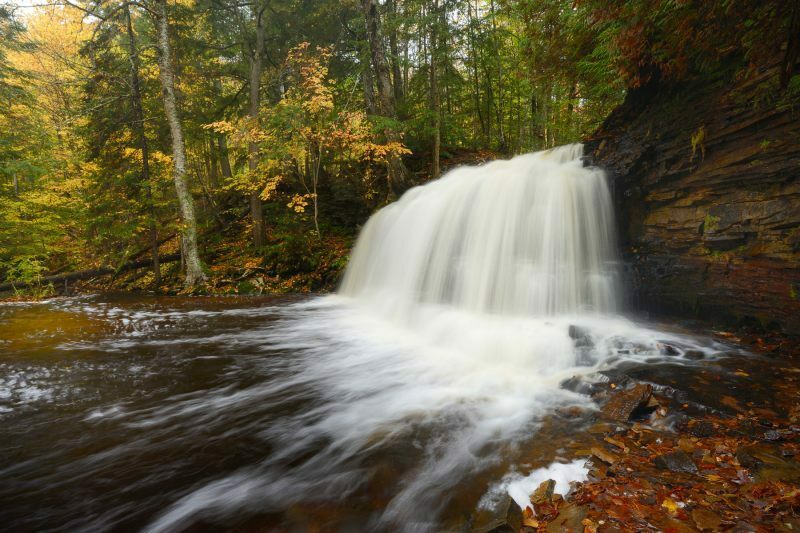 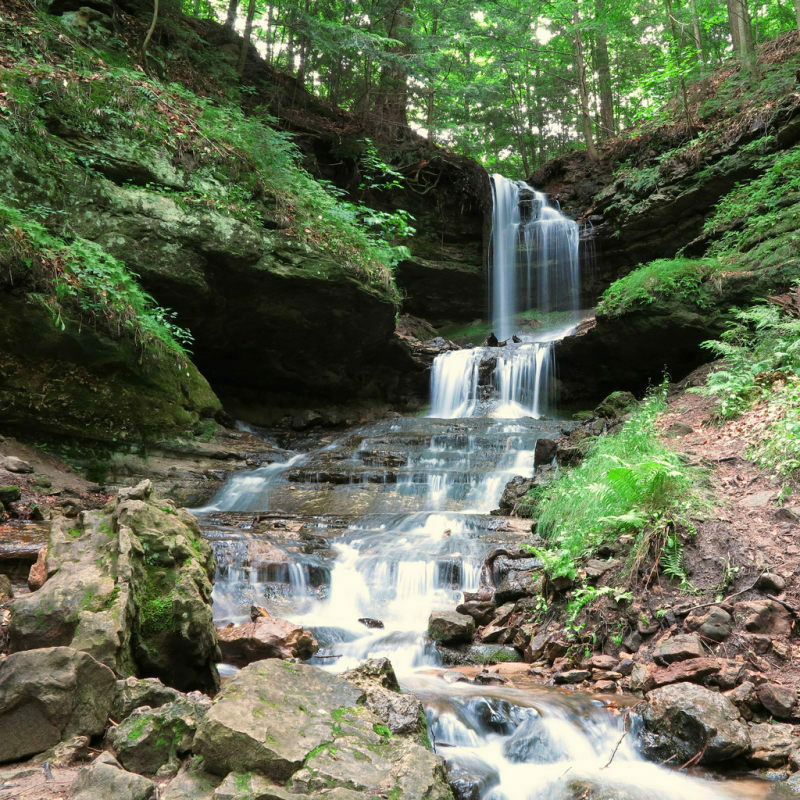 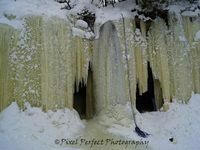 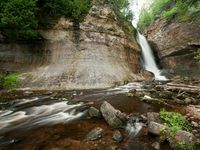 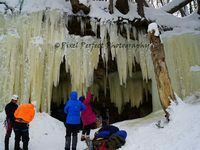 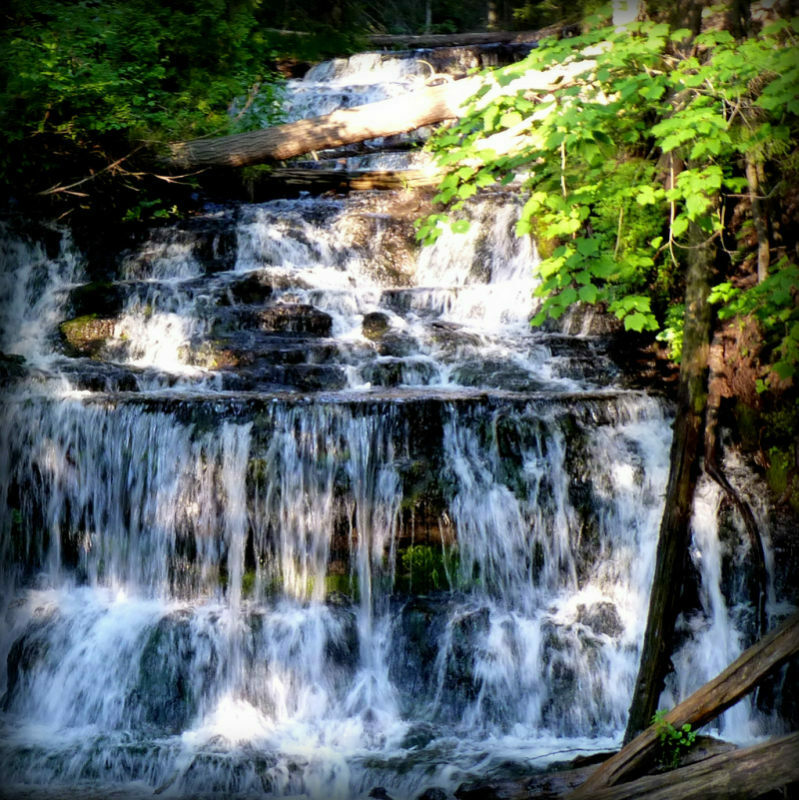 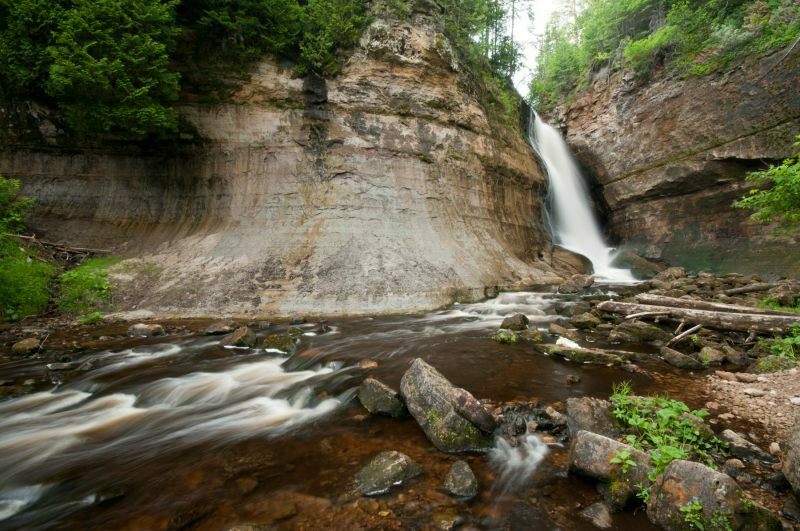 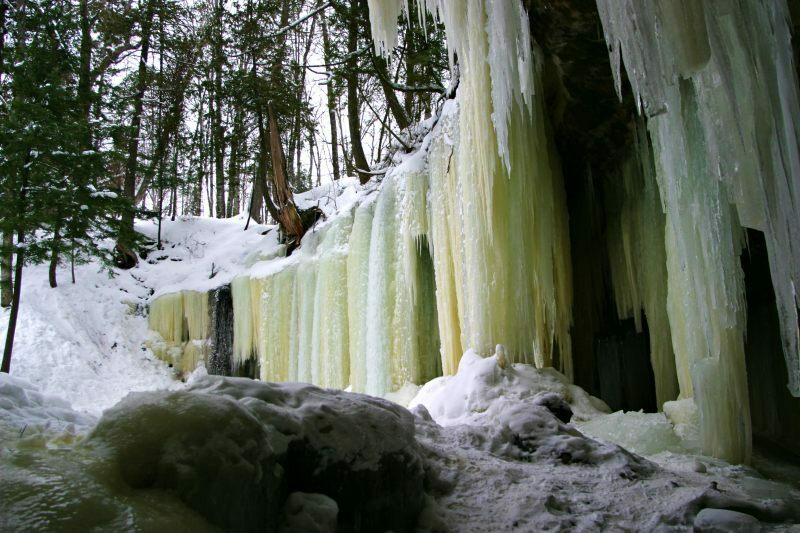 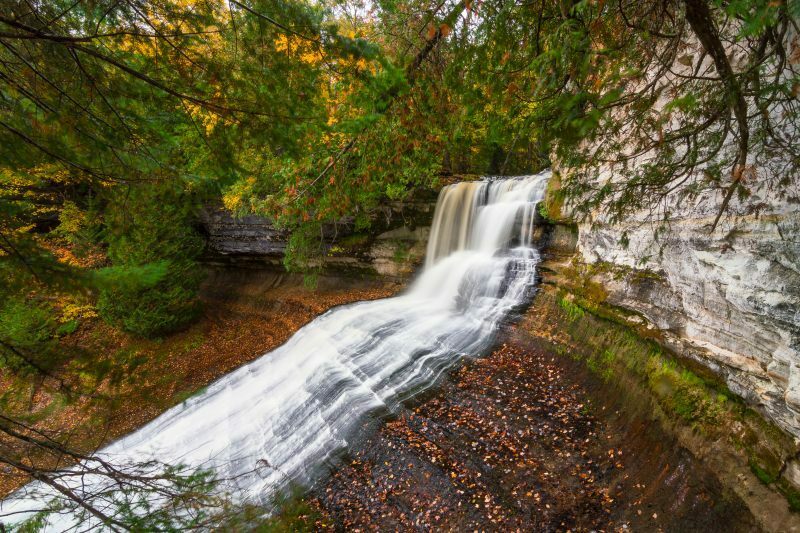 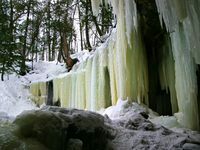 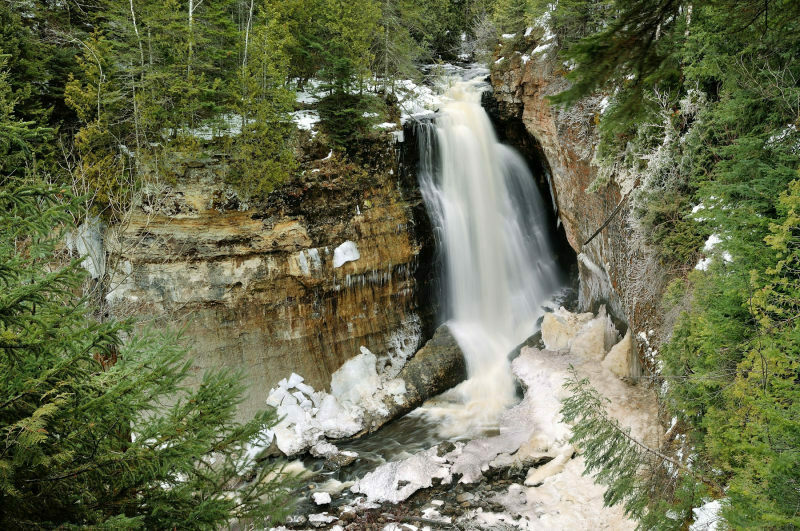 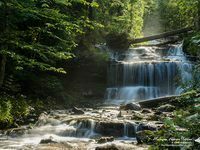 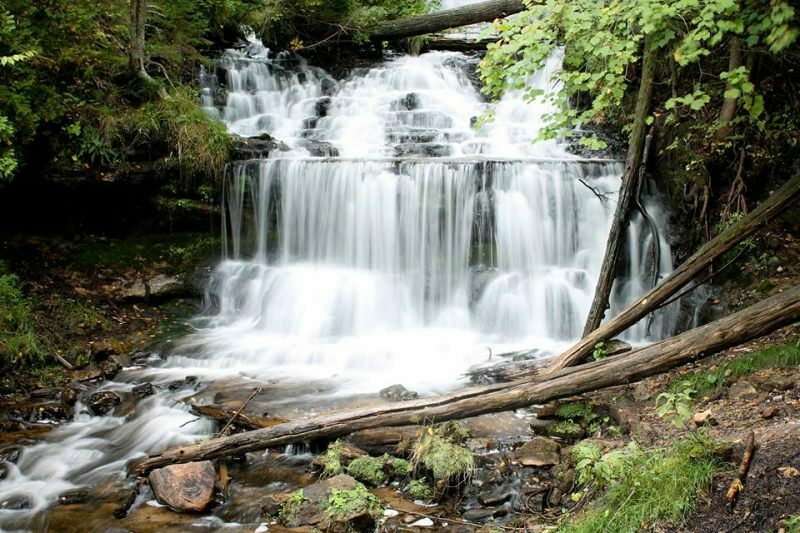 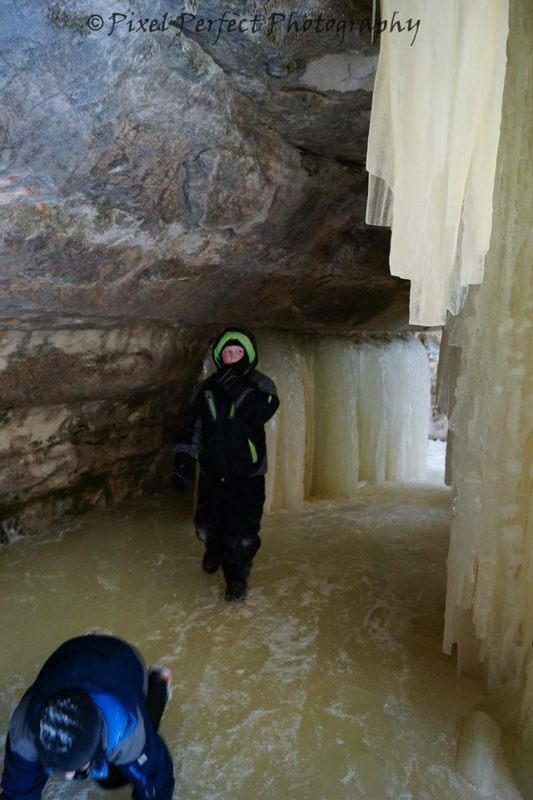 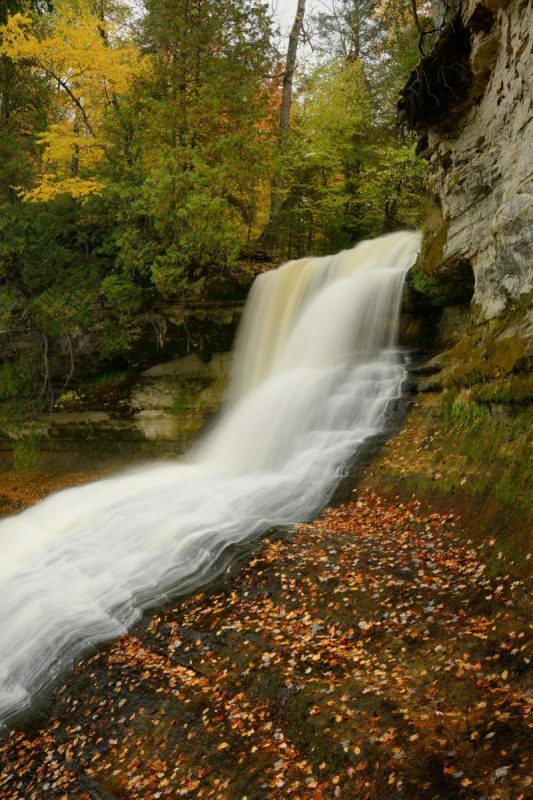 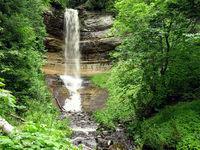 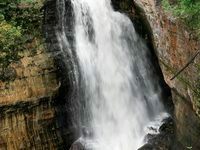 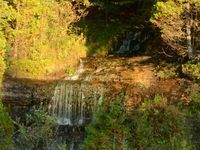 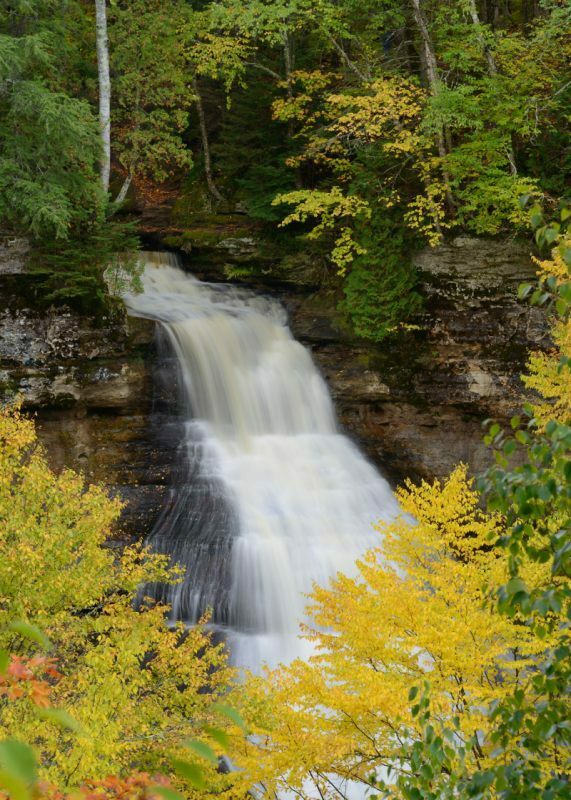 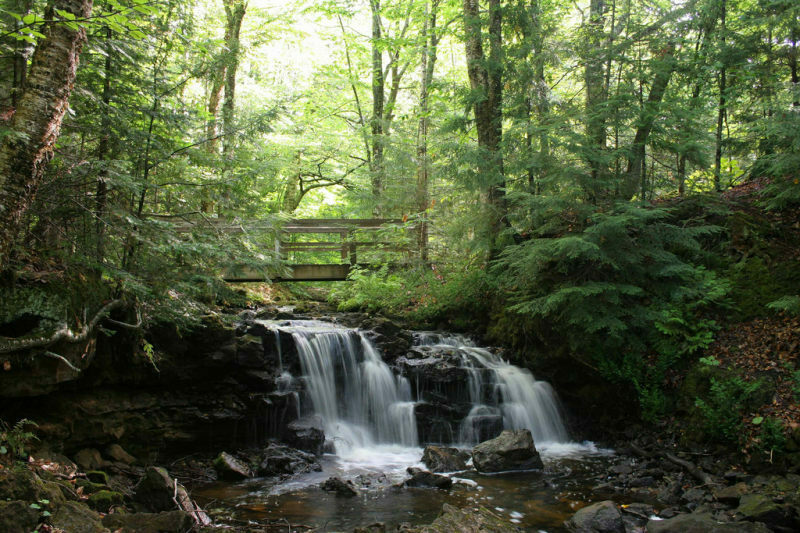 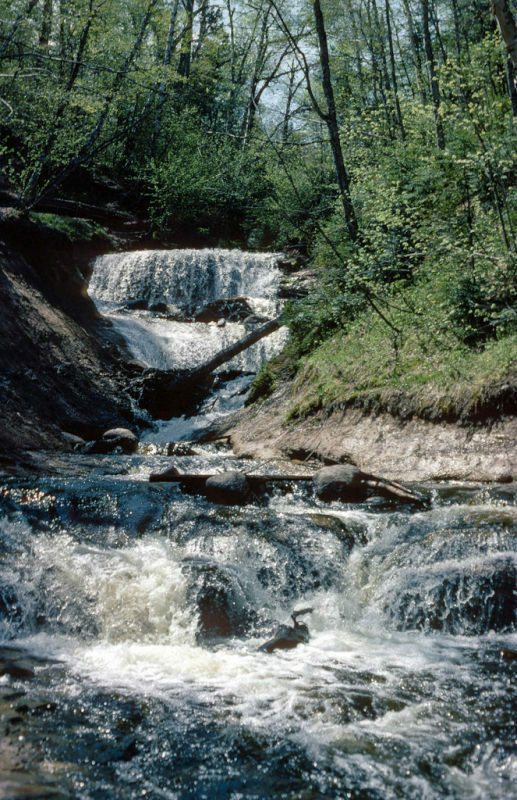 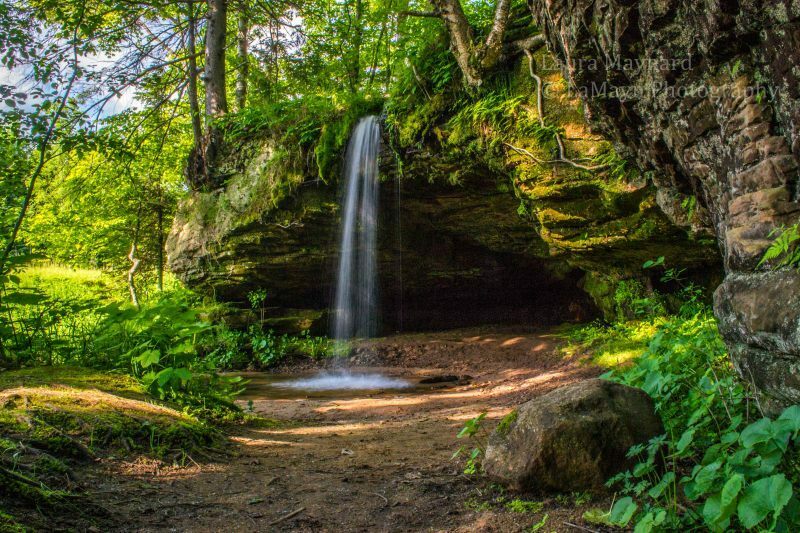 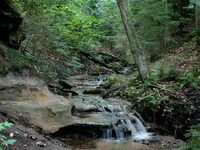 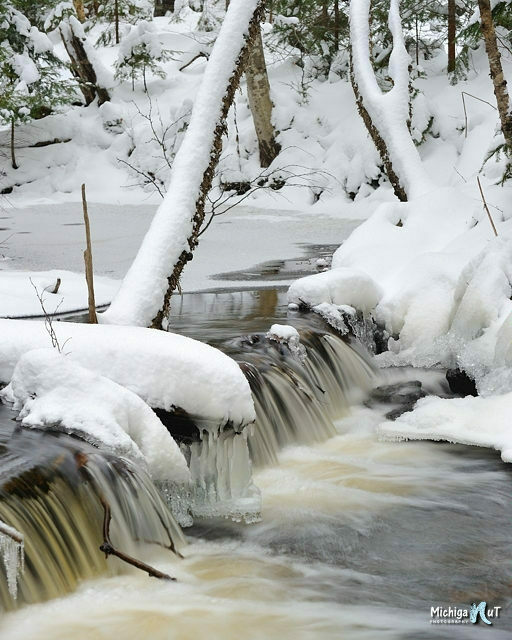 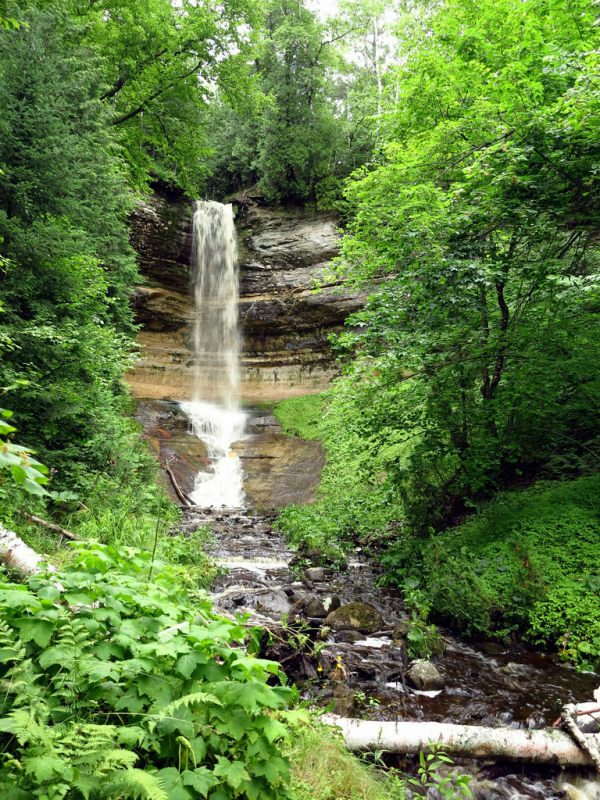 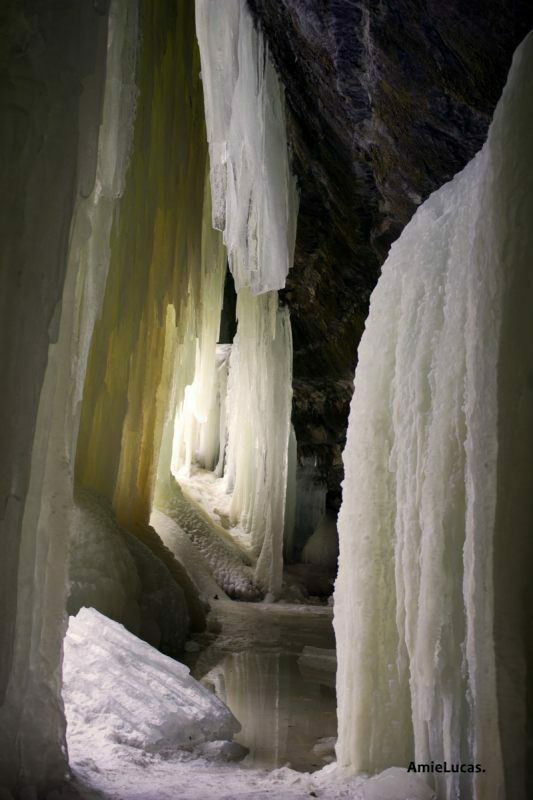 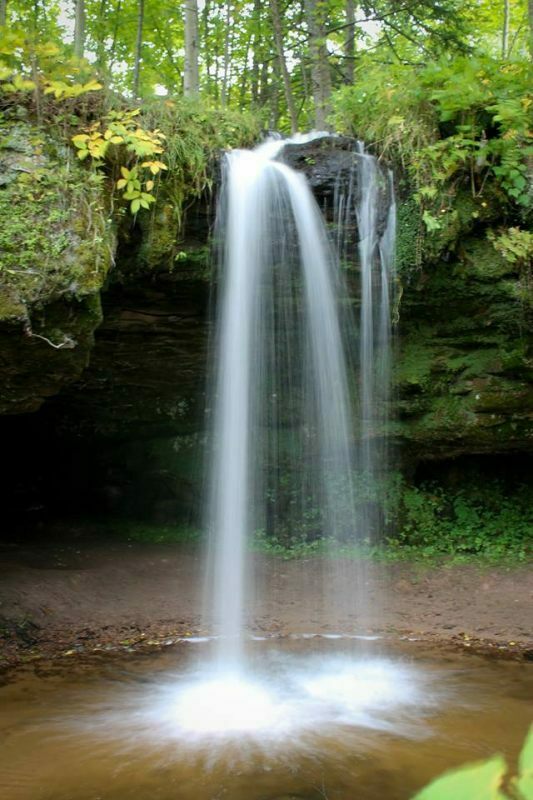 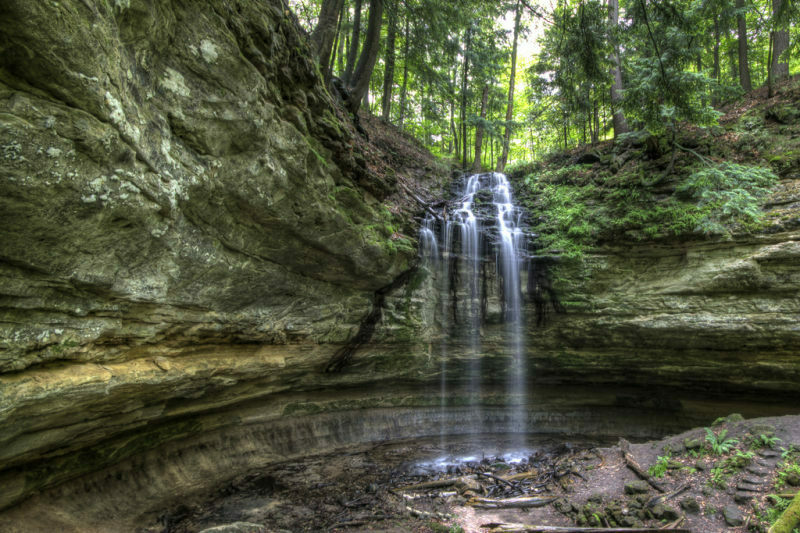 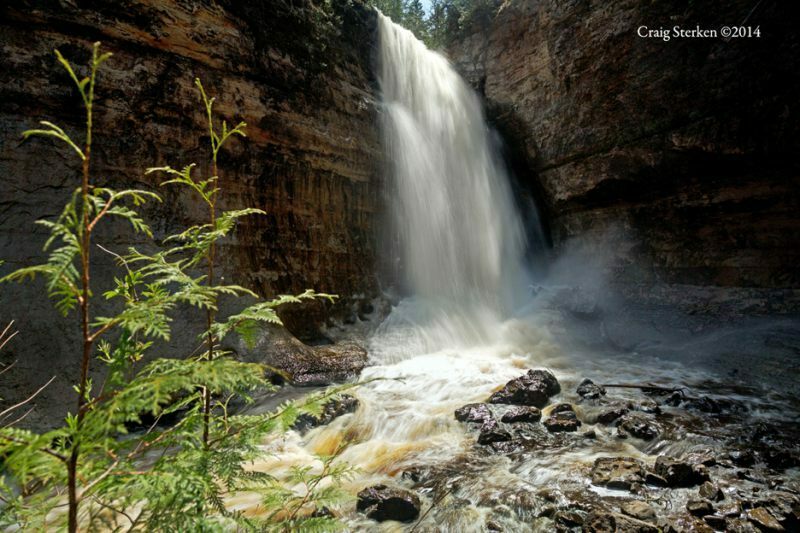 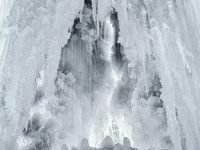 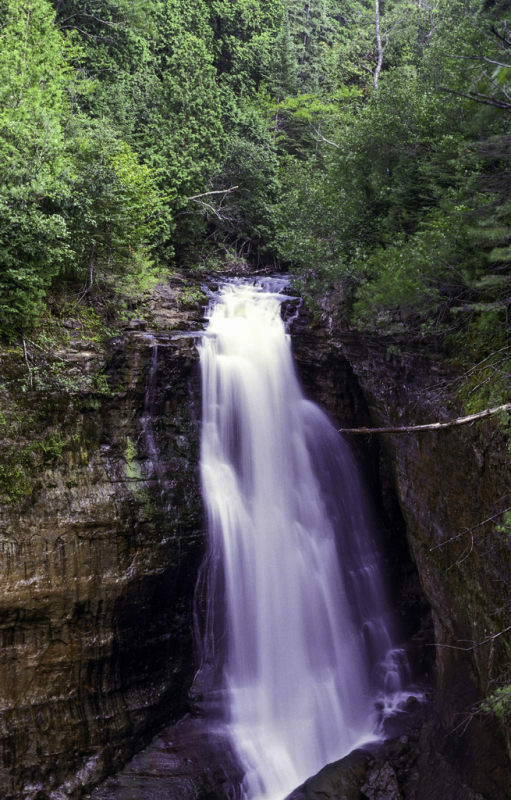 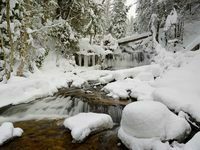 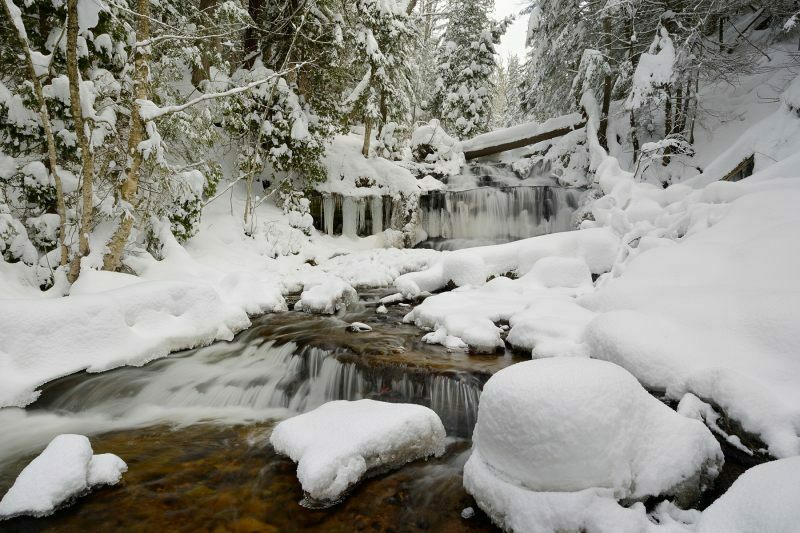 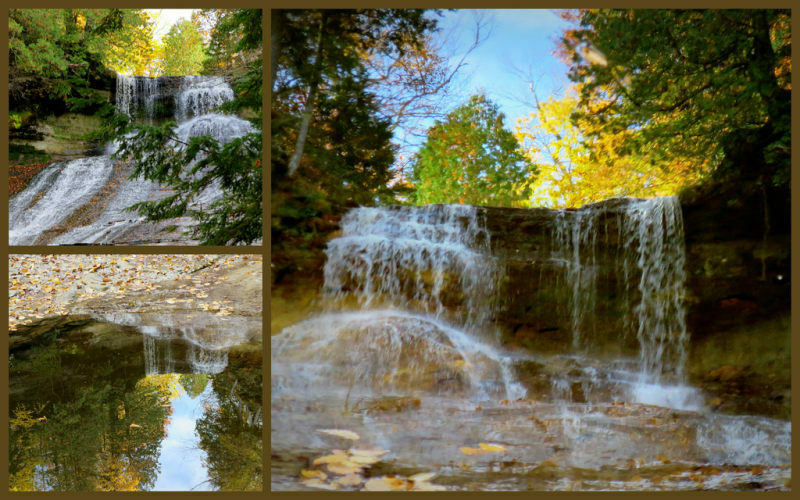 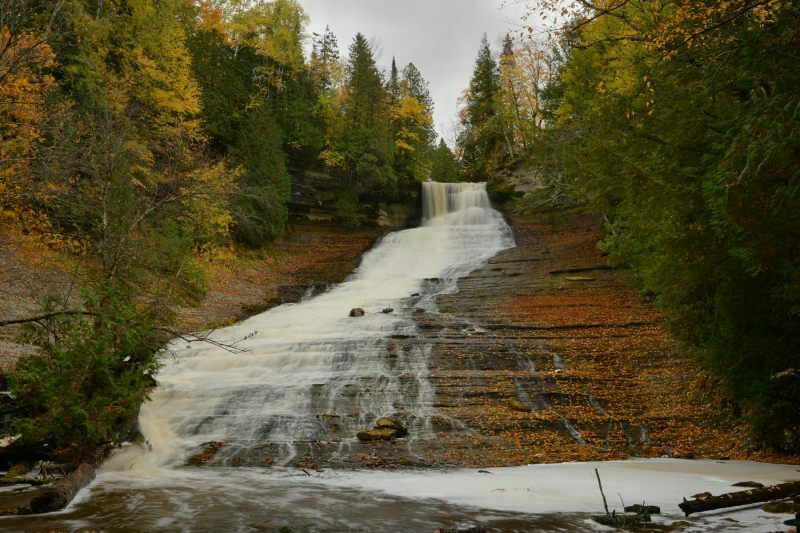 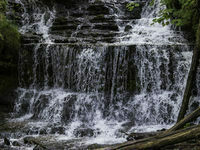 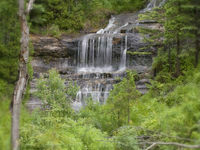 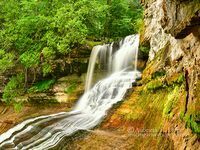 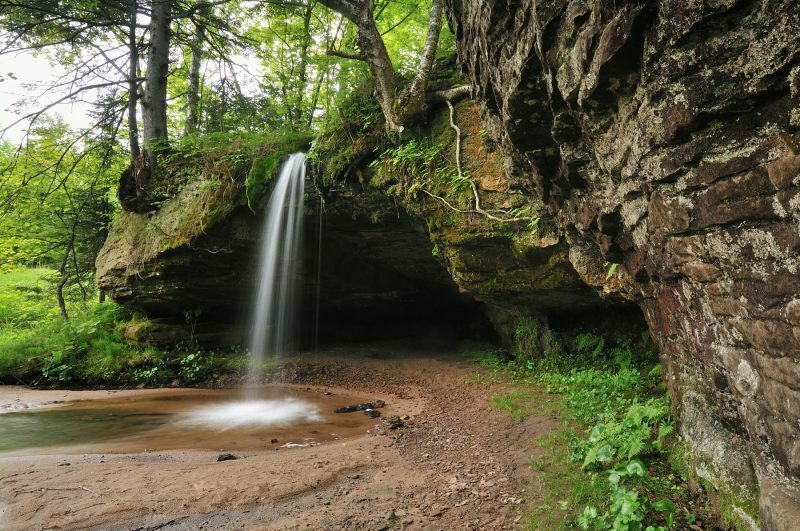 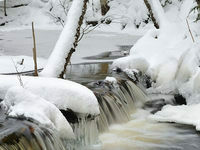 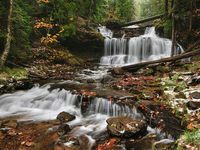 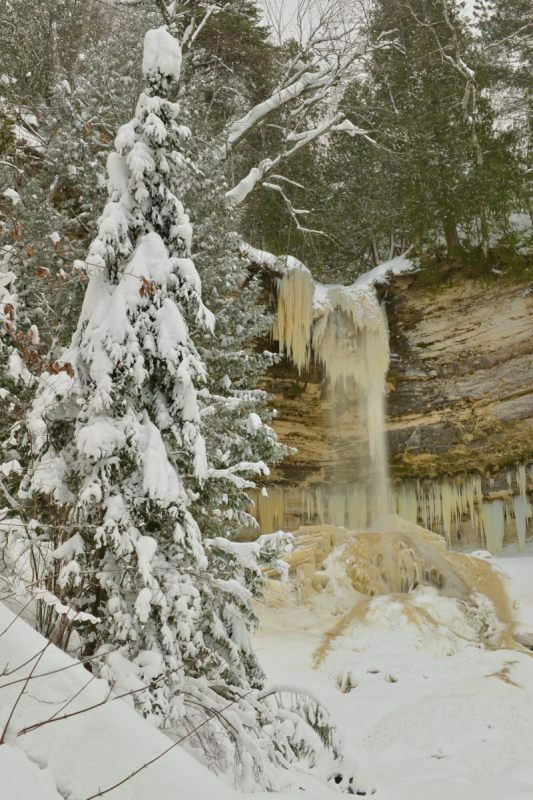 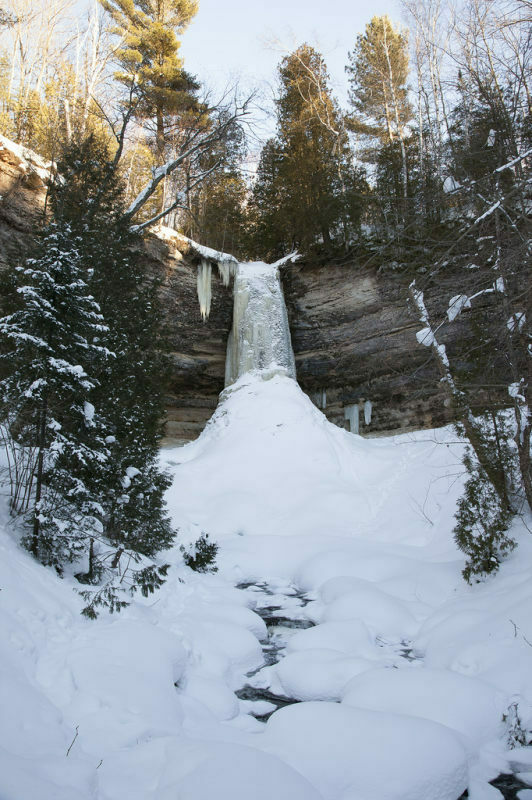 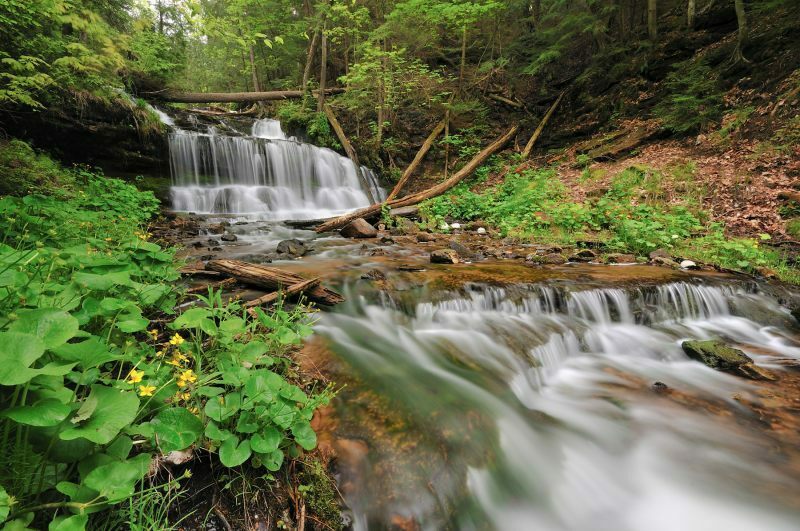 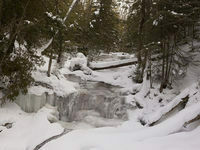 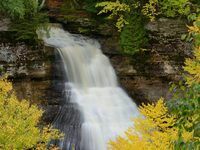 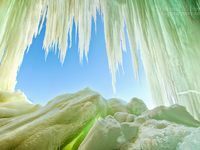 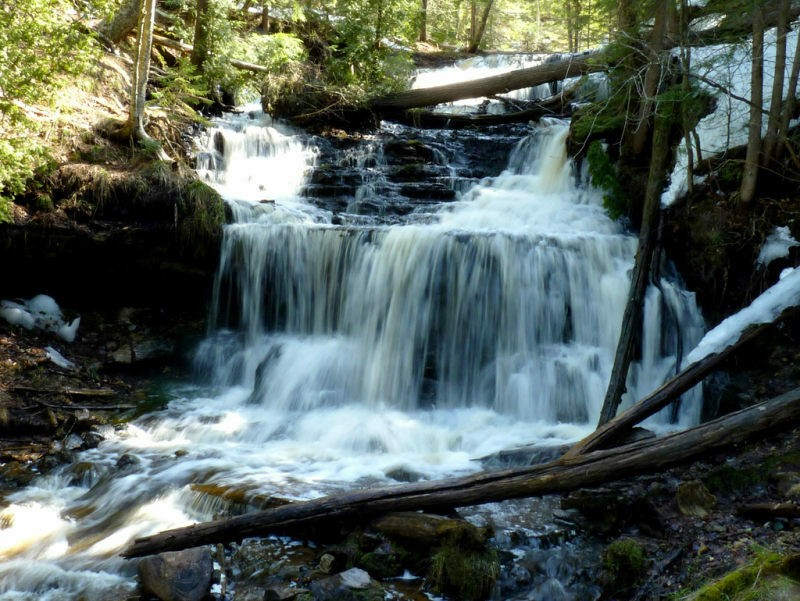 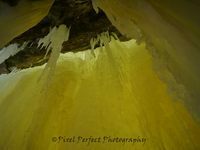 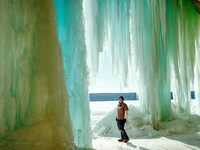 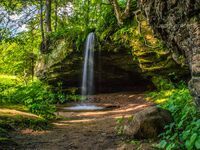 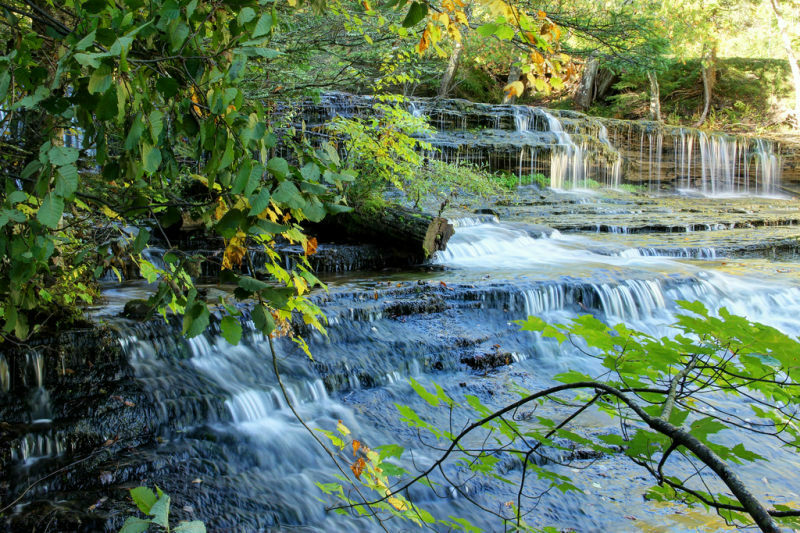 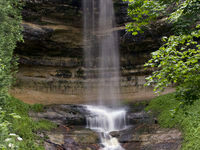 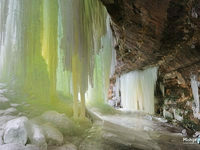 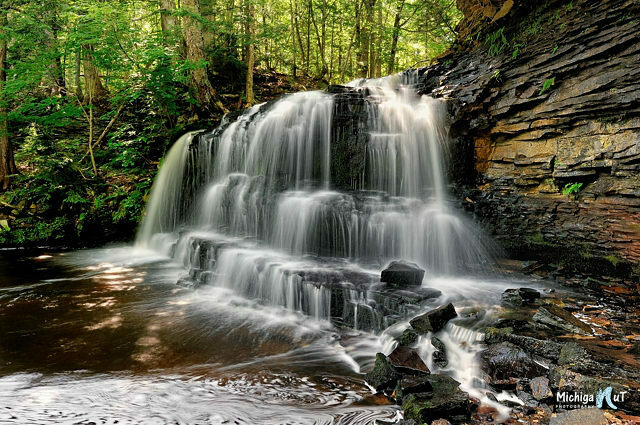 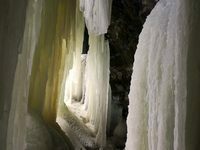 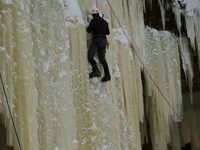 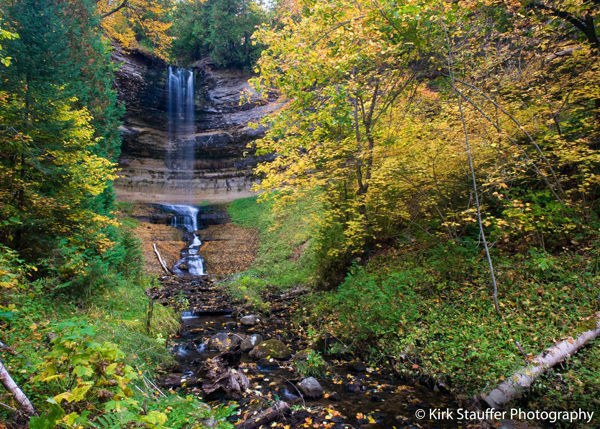 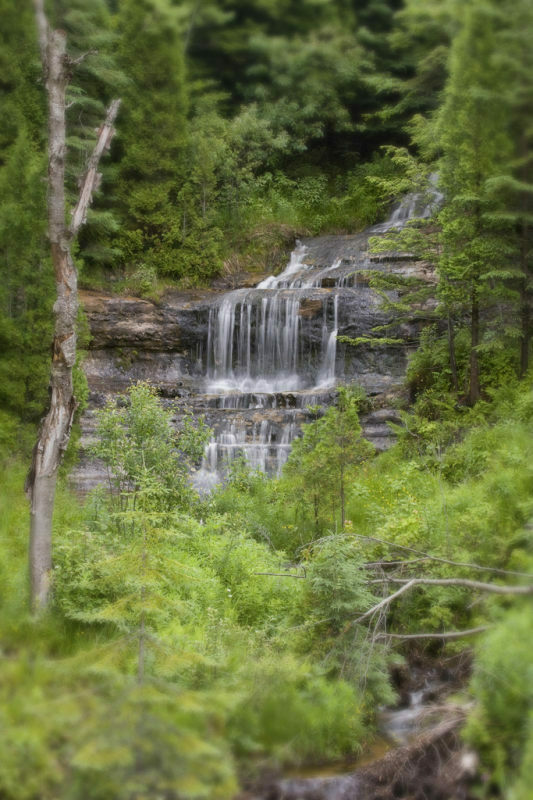 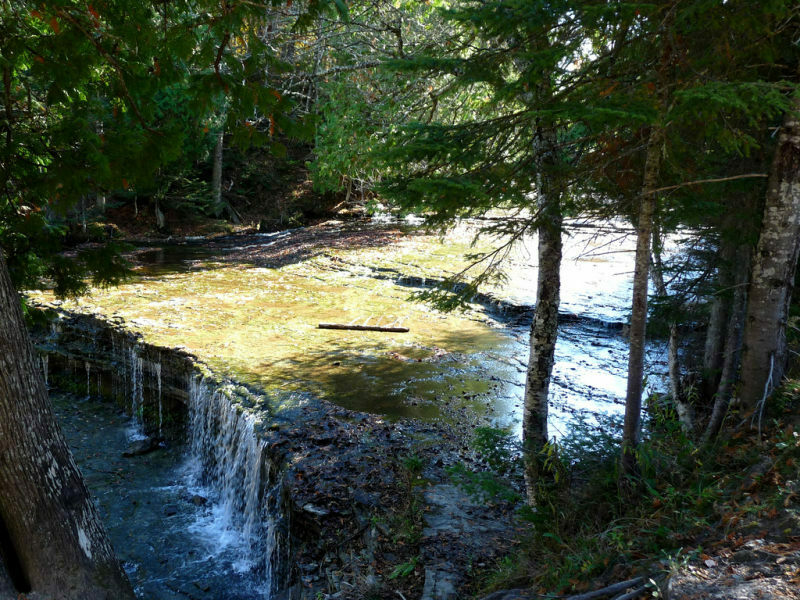 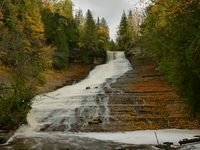 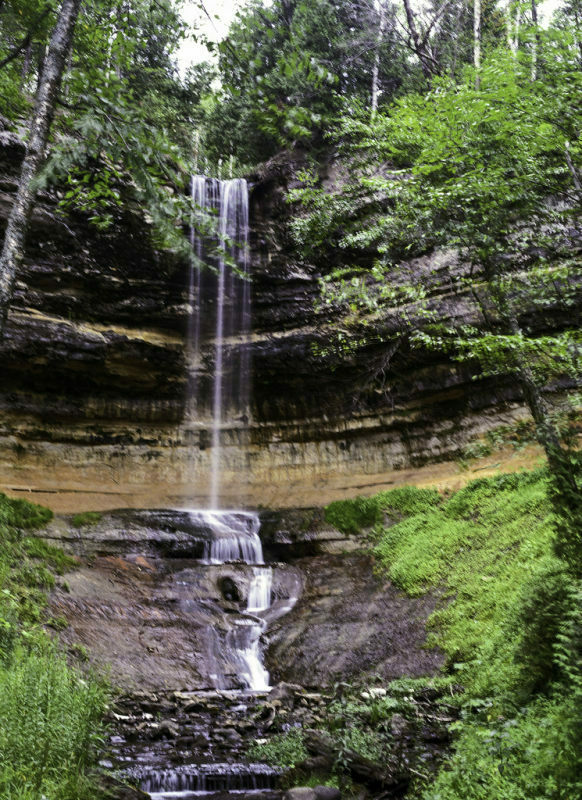 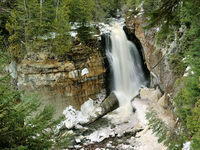 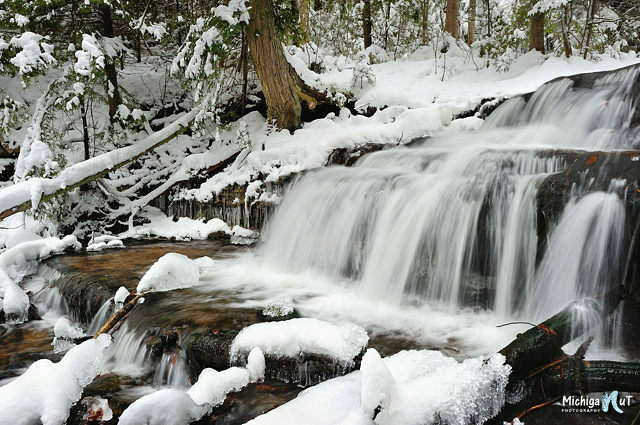 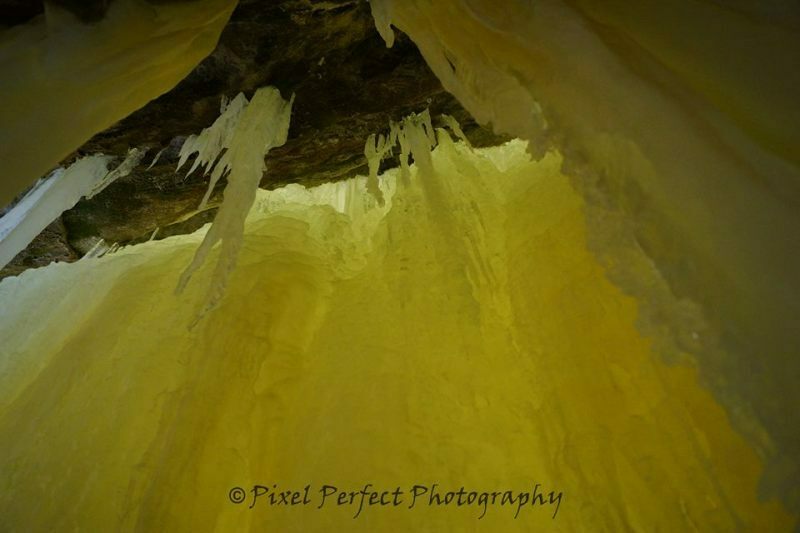 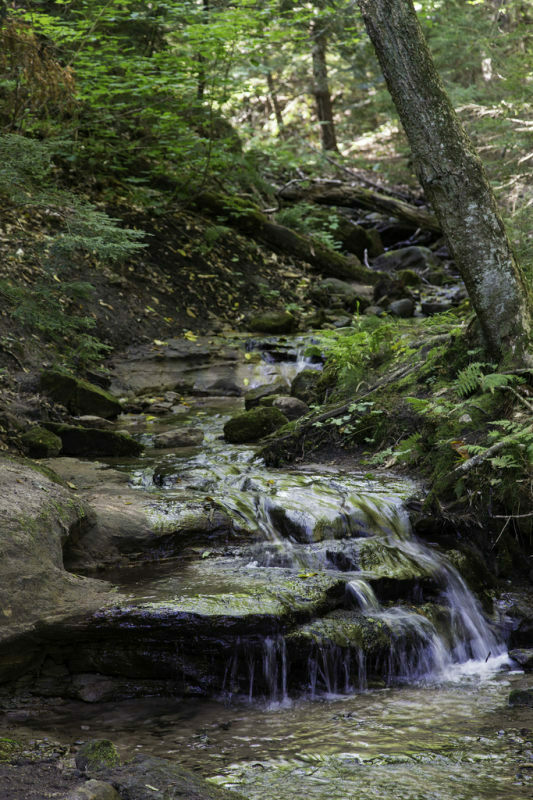 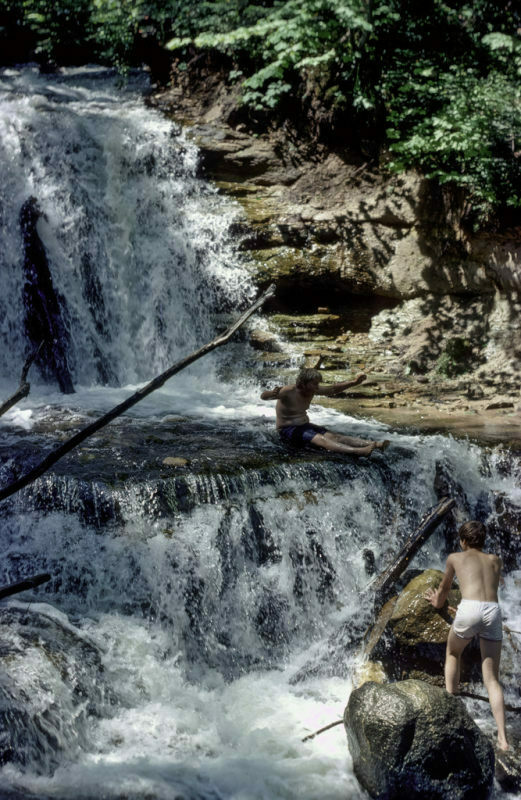 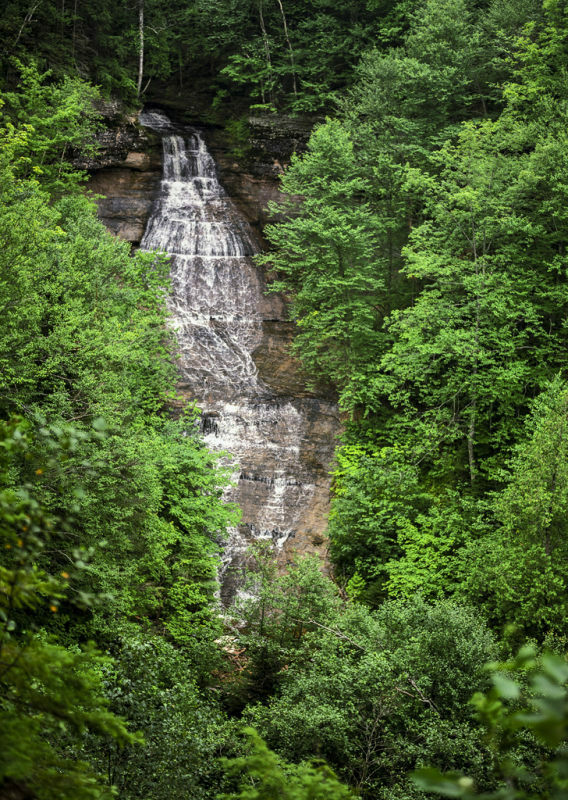 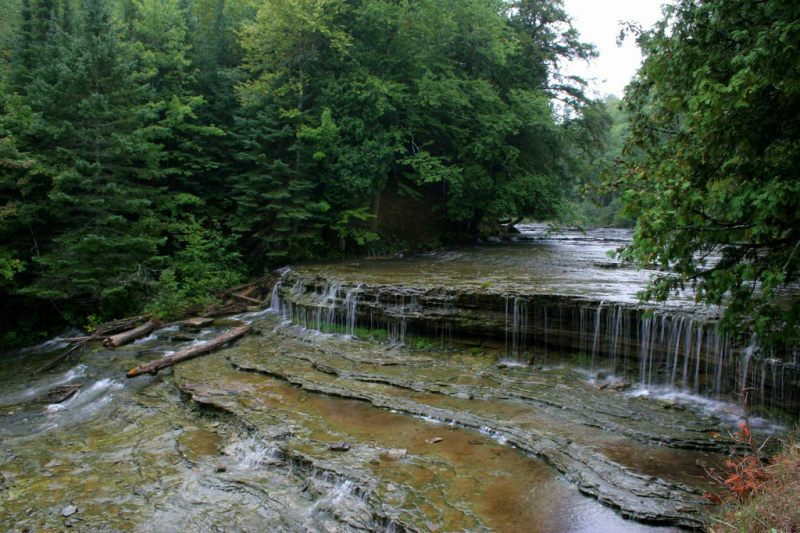 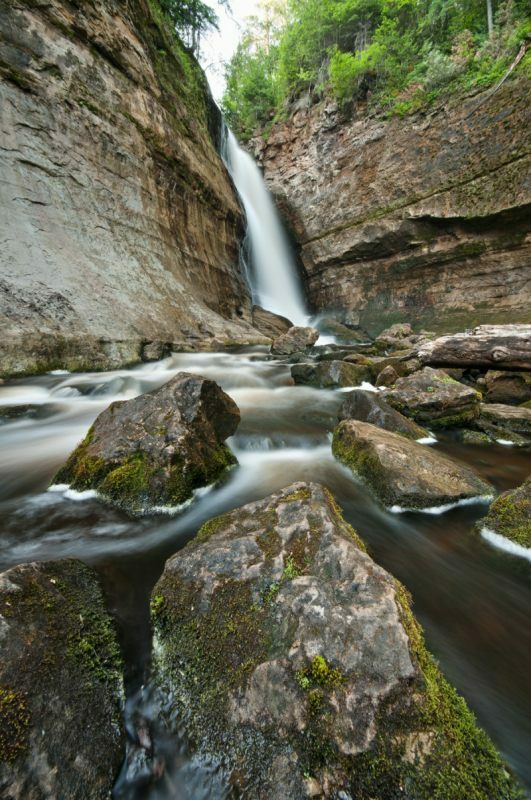 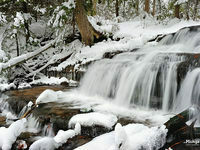 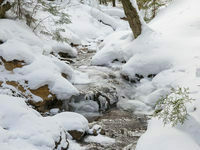 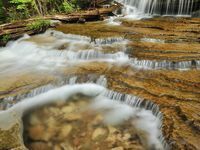 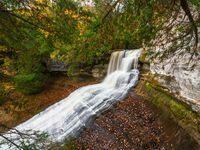 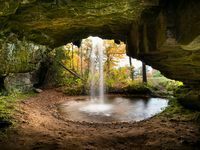 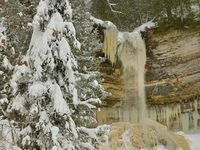 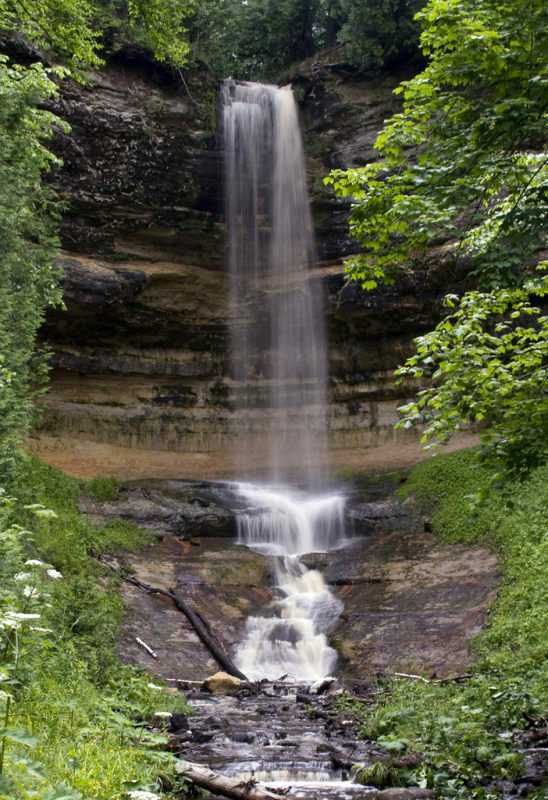 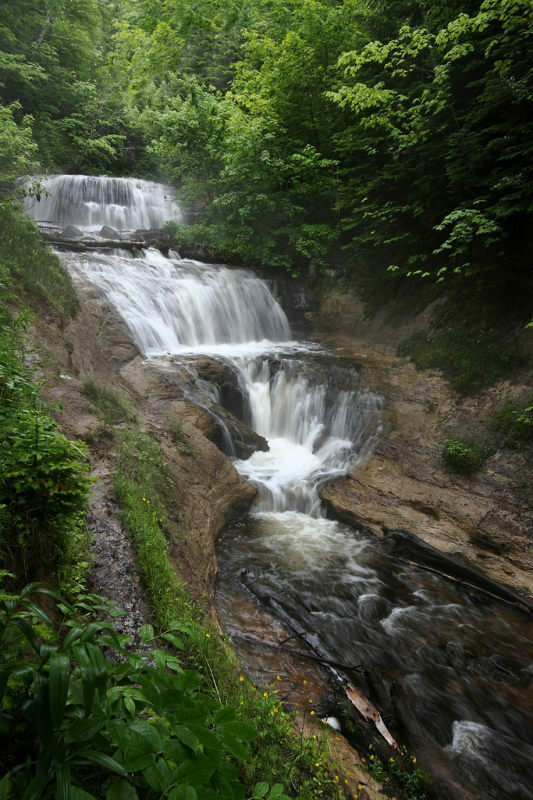 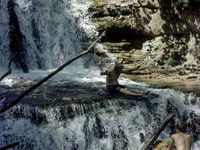 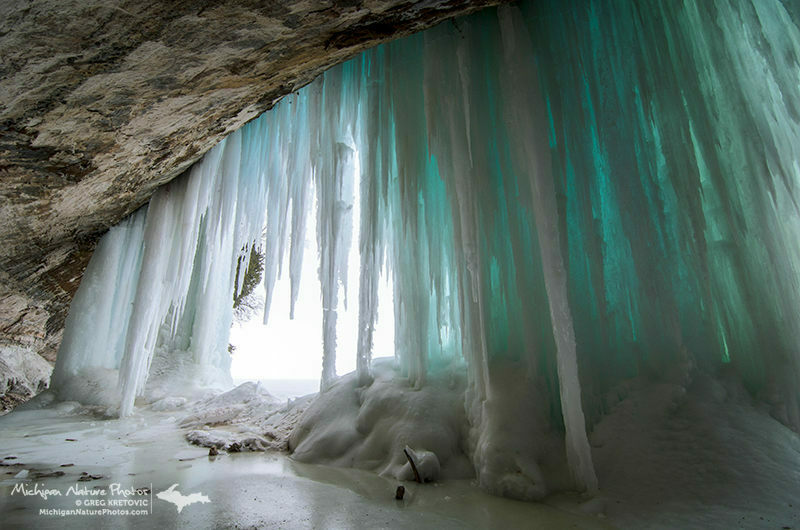 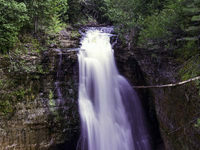 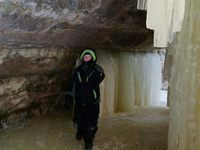 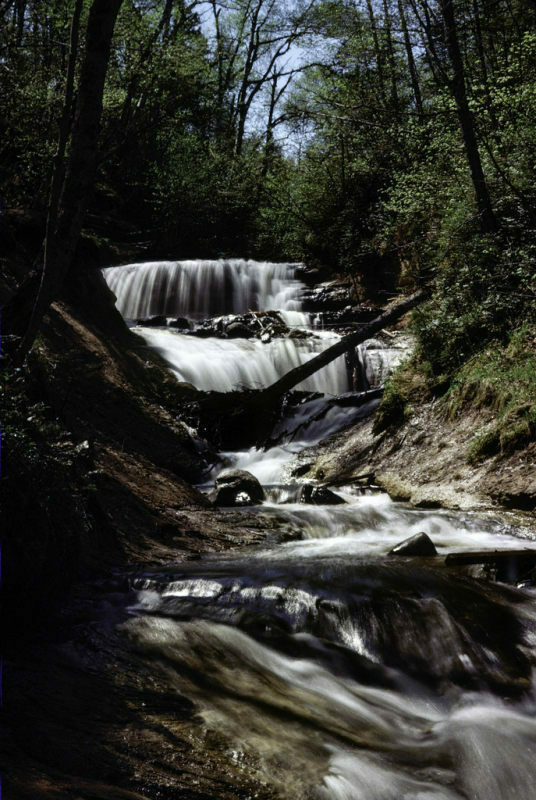 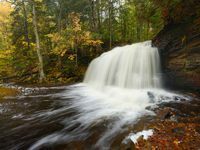 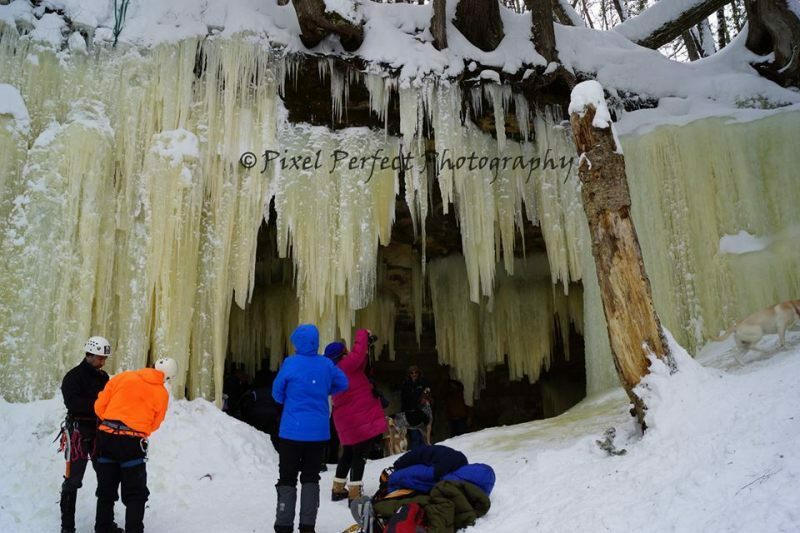 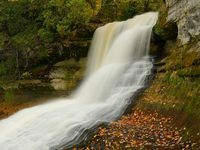 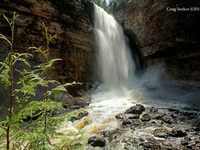 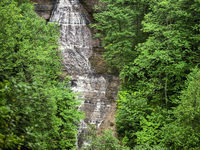 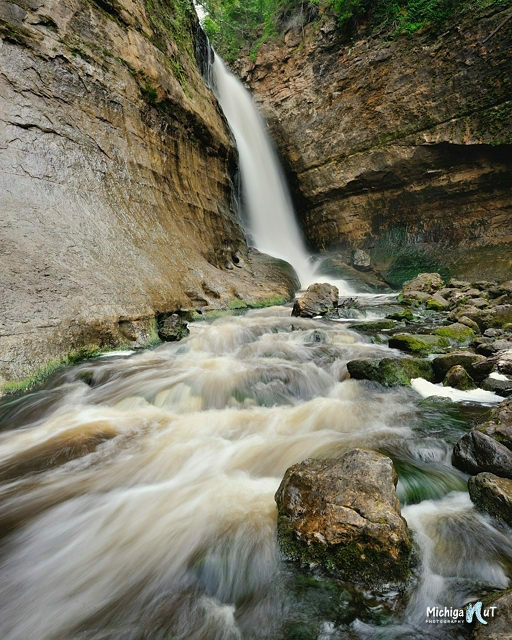 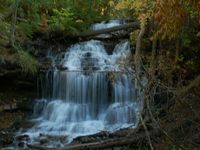 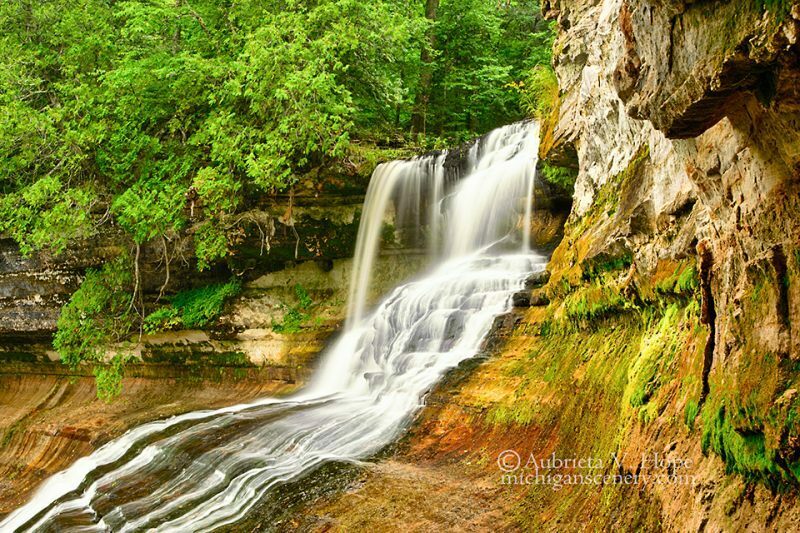 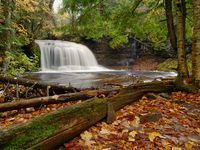 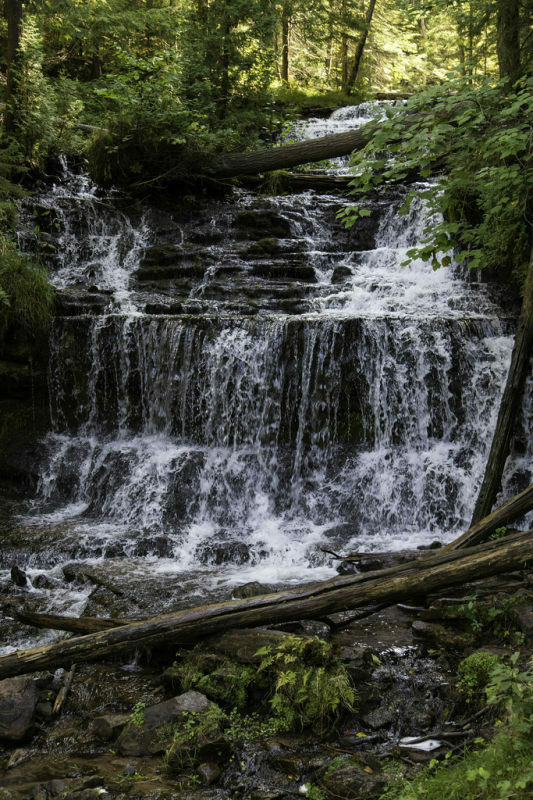 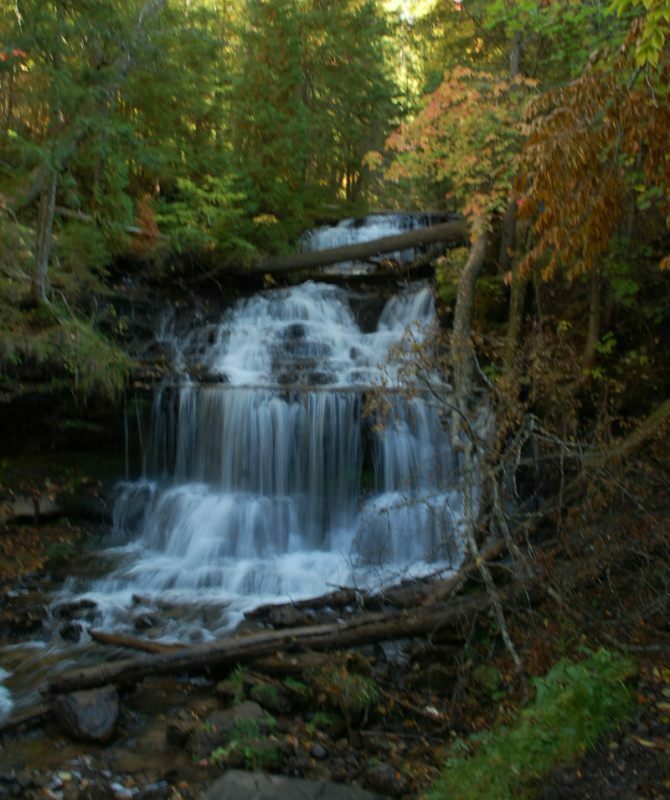 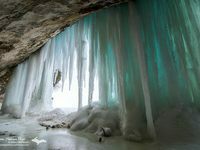 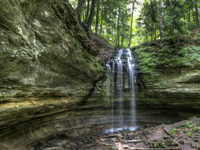 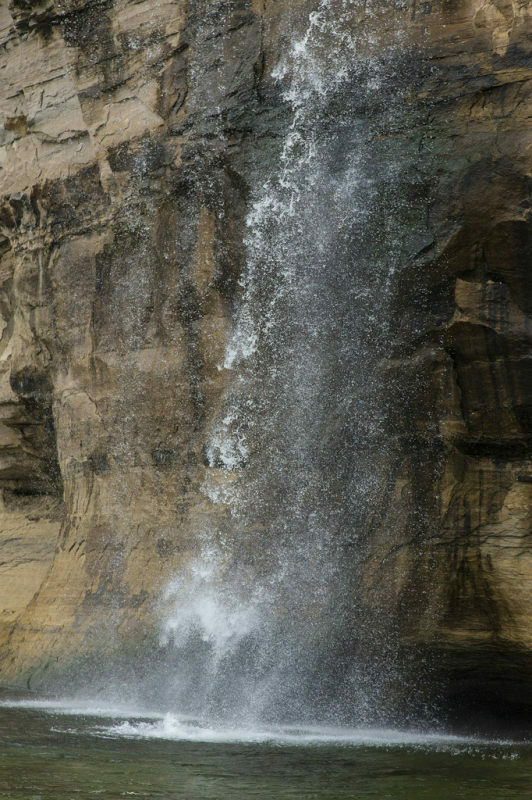 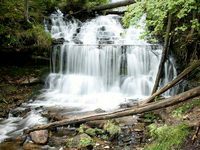 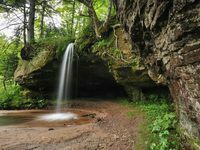 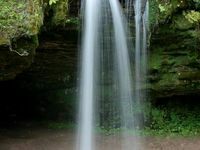 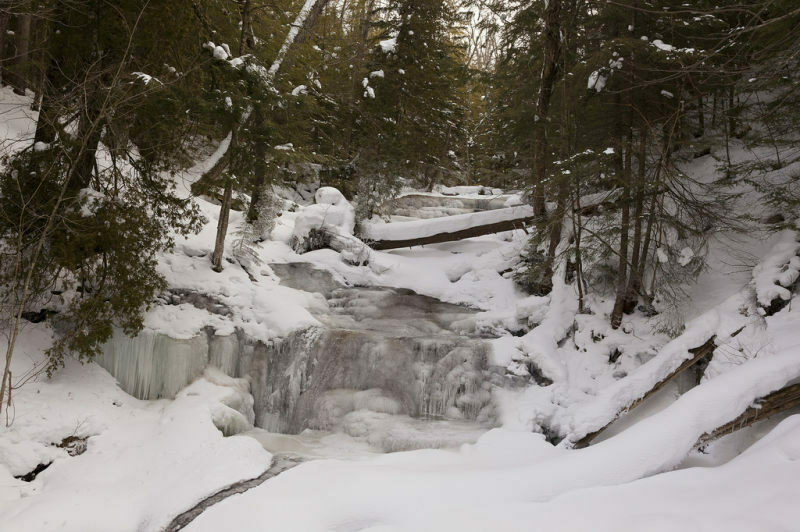 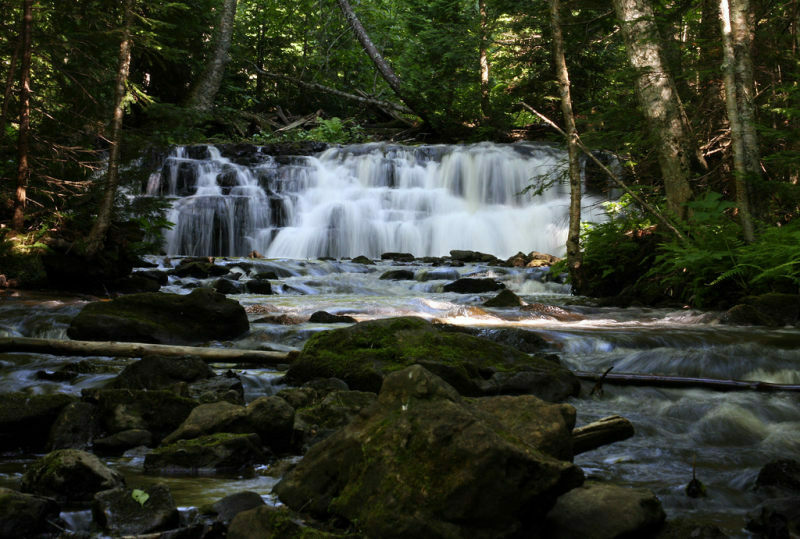 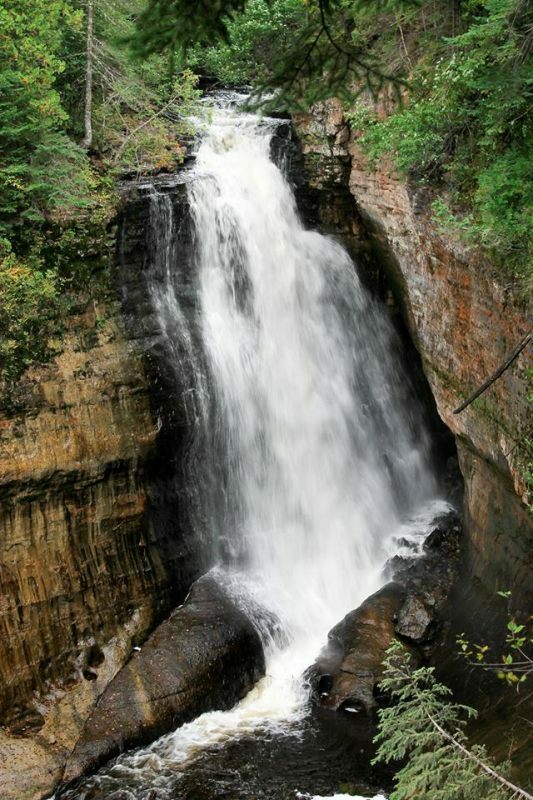 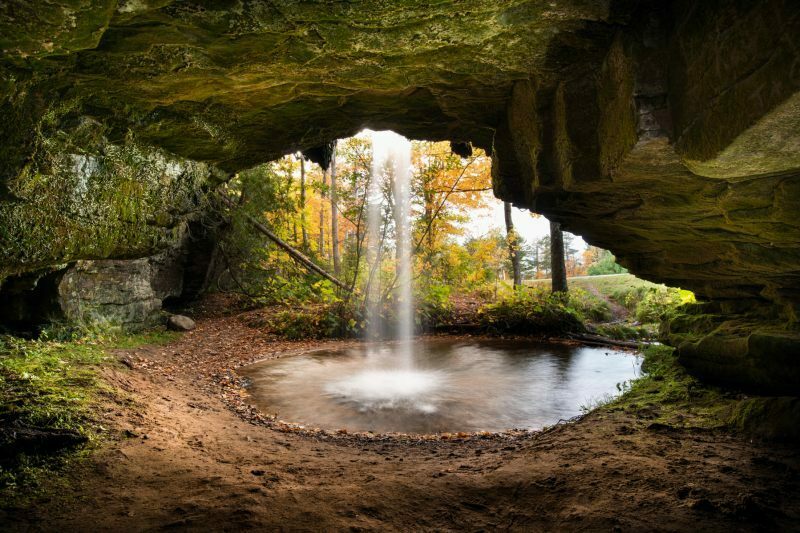 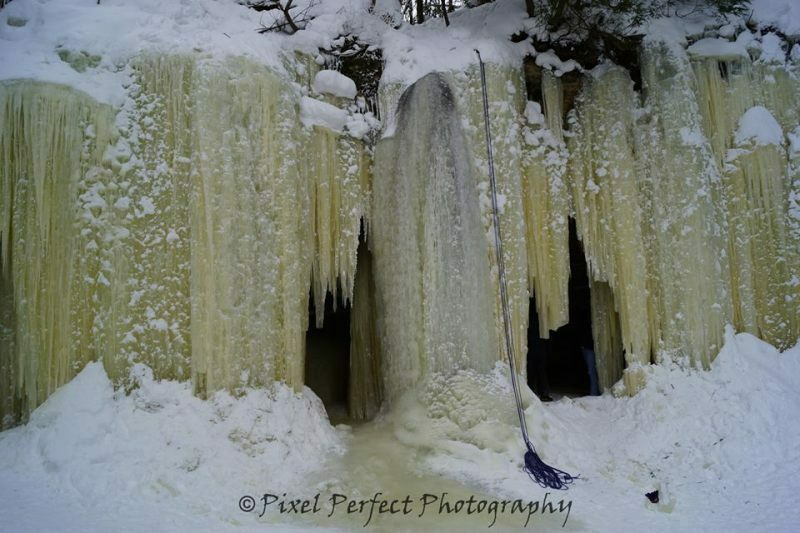 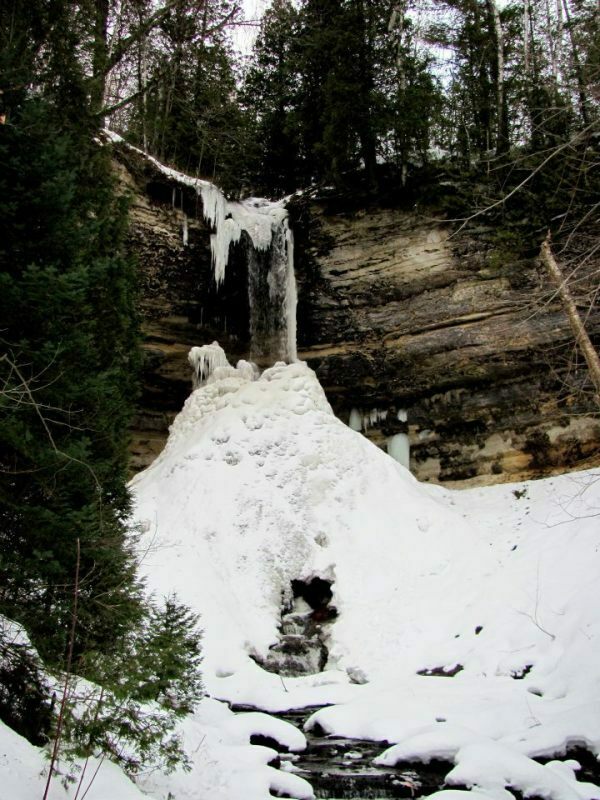 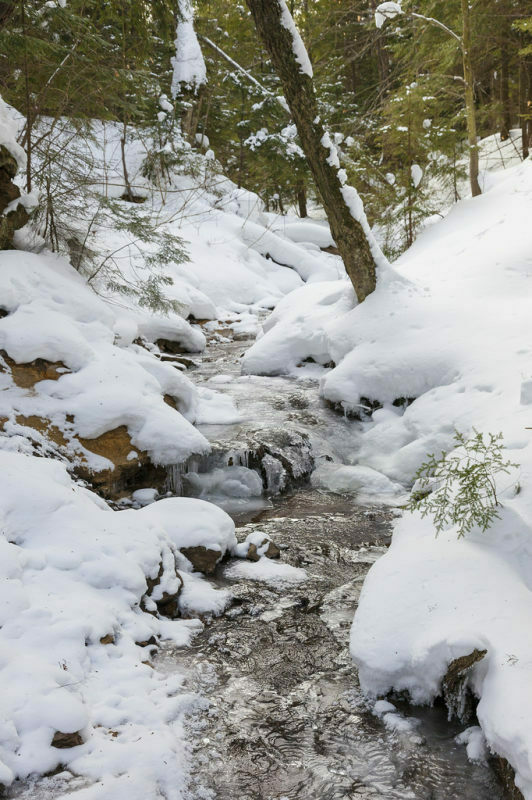 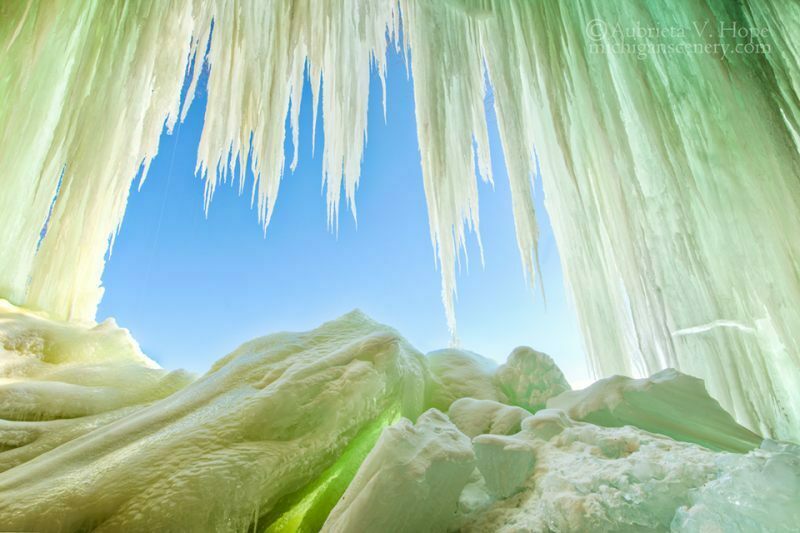 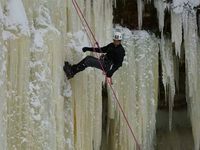 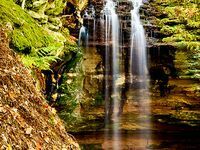 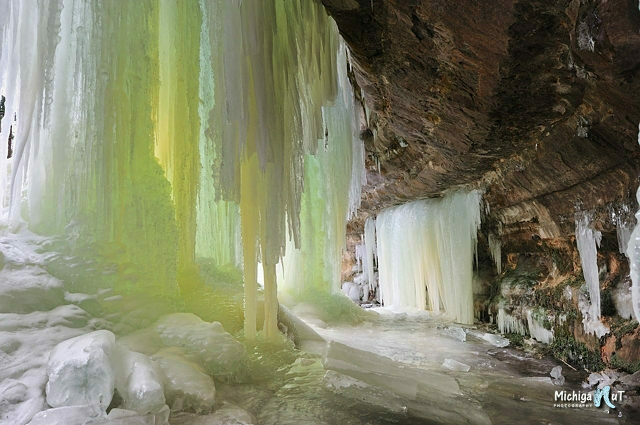 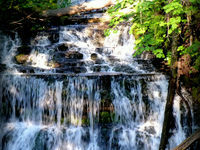 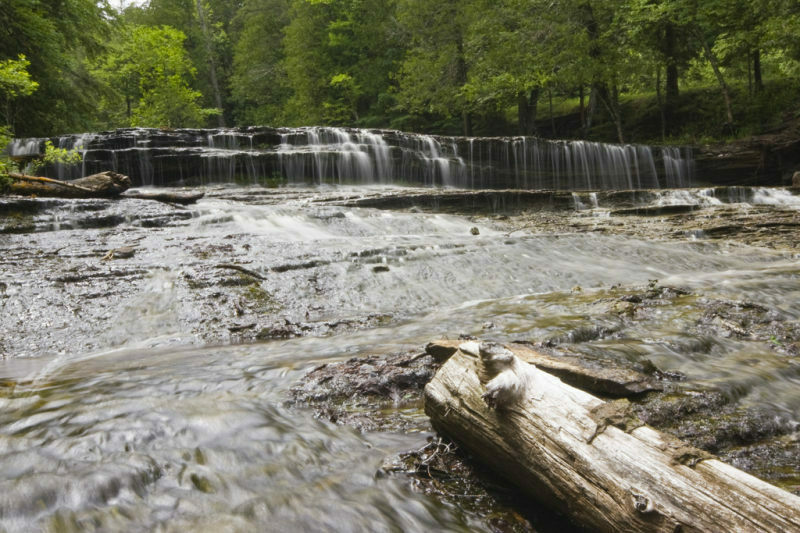 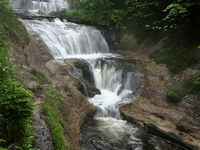 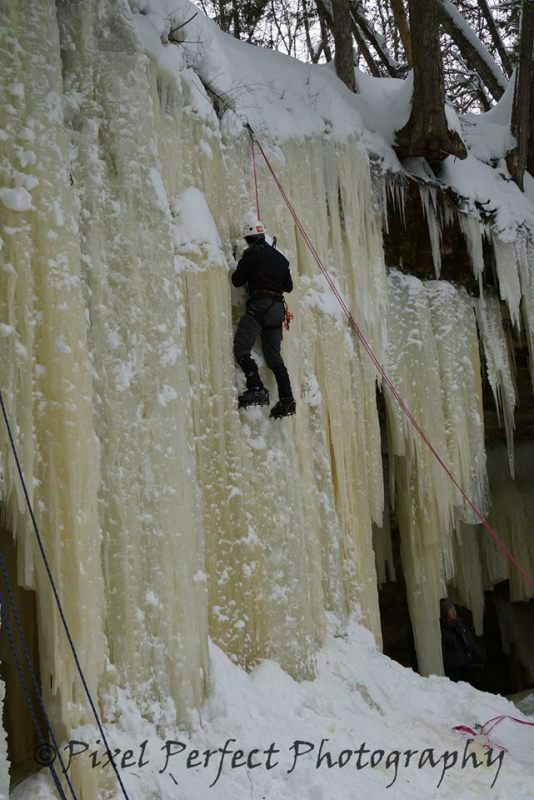 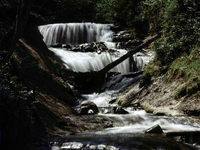 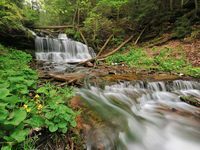 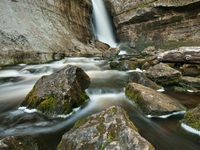 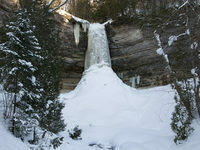 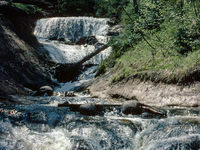 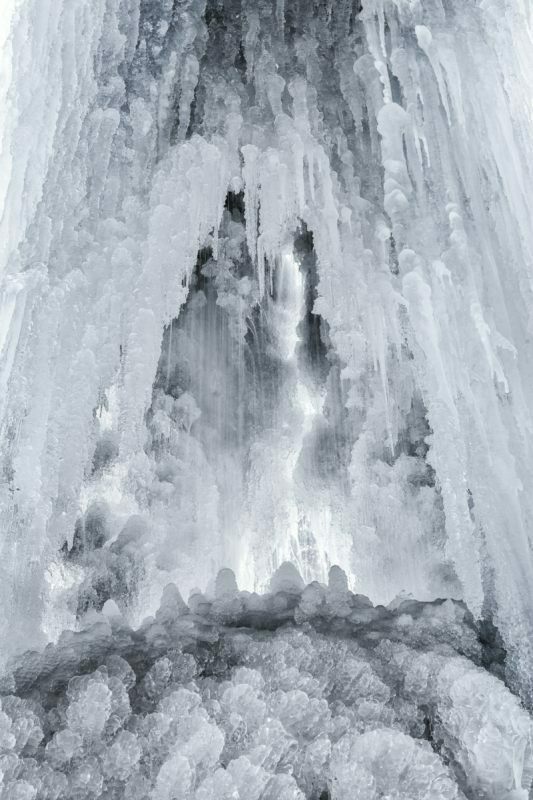 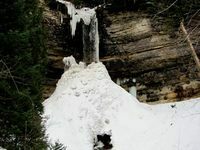 In Alger County you can hike to more than 20 waterfalls, many of which turn to ice pillars, curtains and caves in winter (check out the Eben Ice Caves in the Rock River Canyon Wilderness). 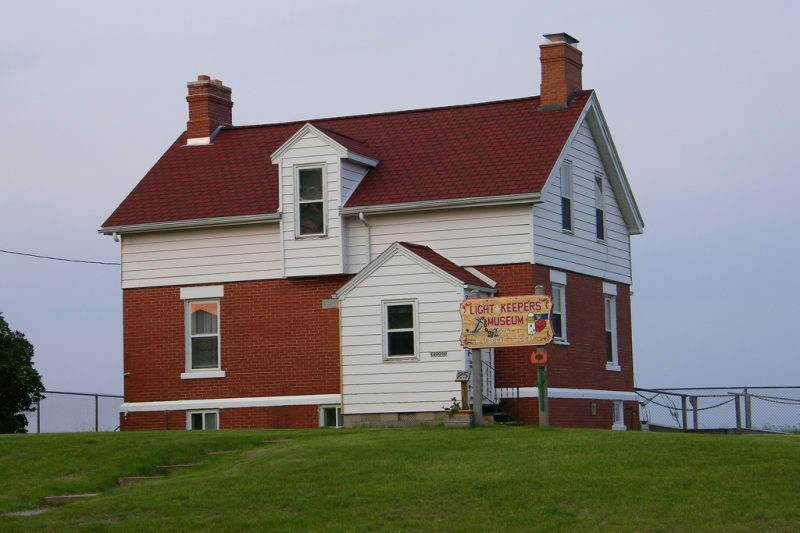 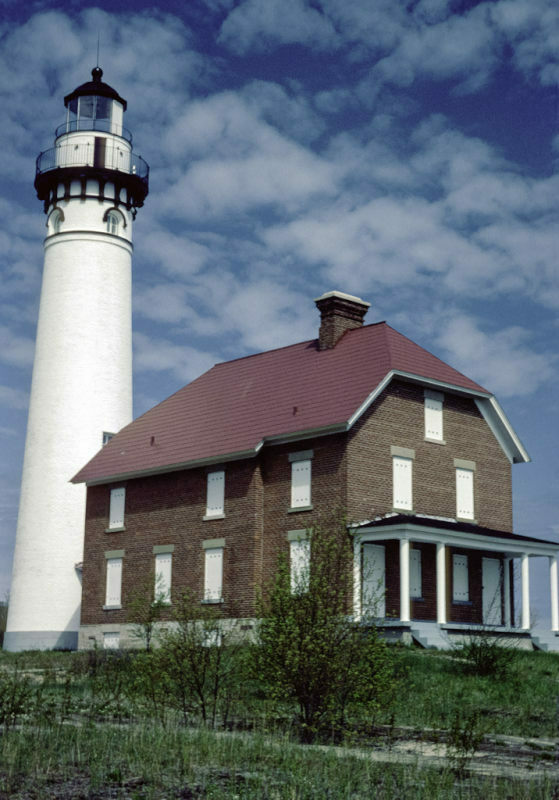 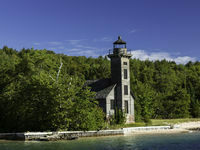 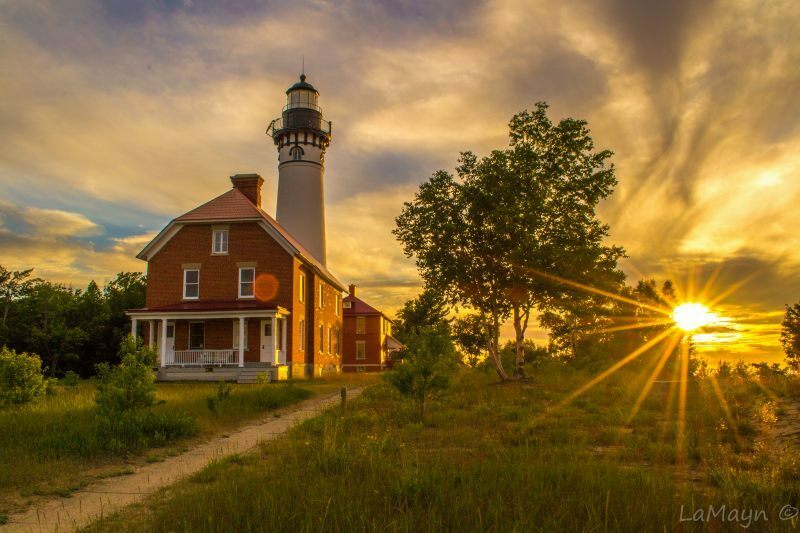 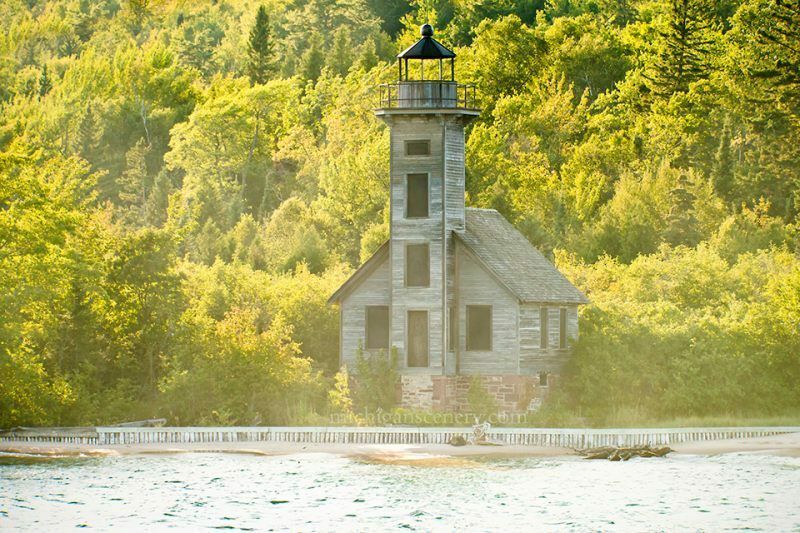 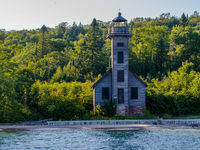 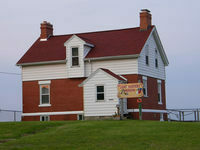 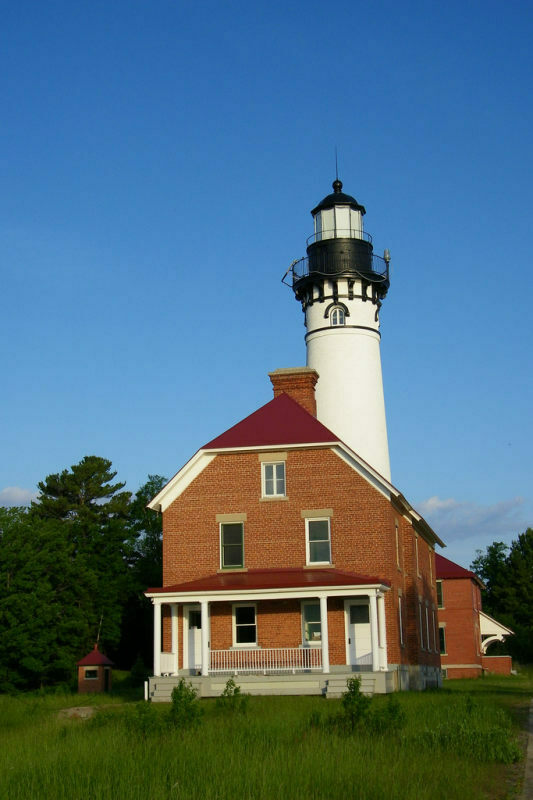 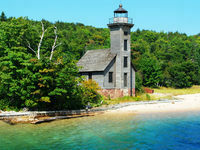 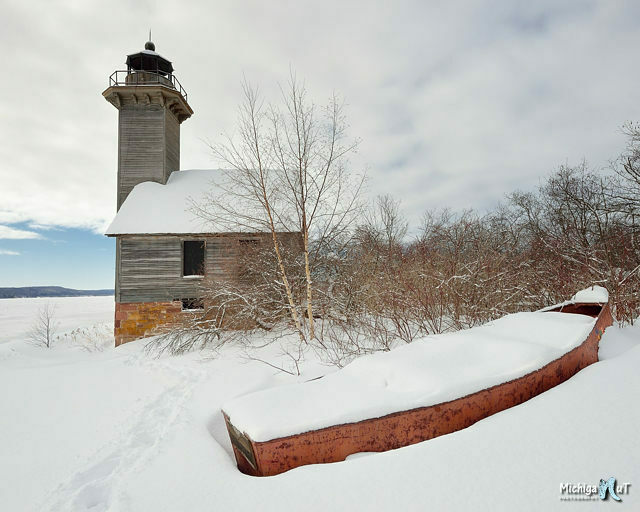 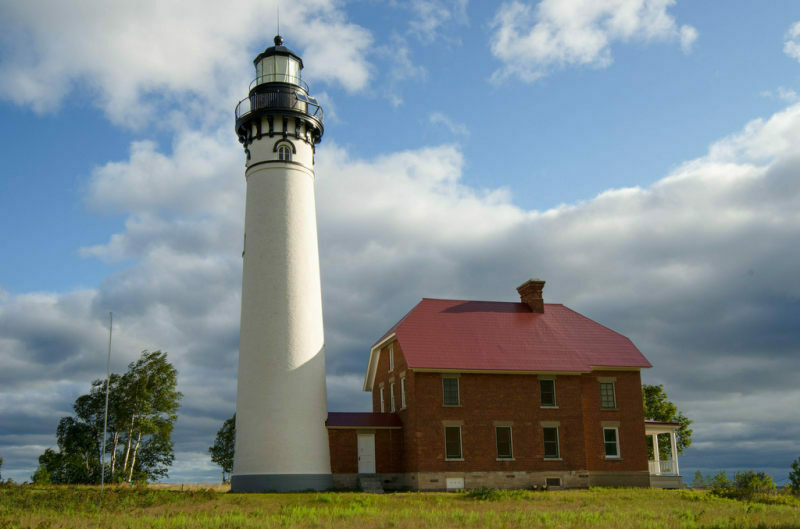 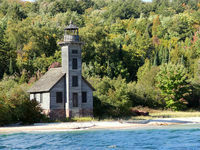 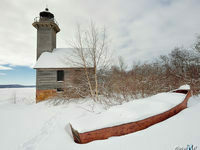 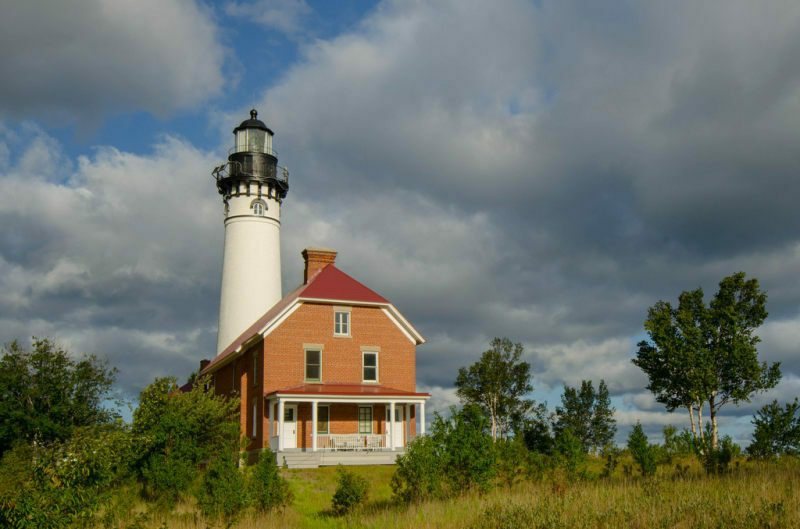 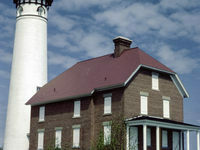 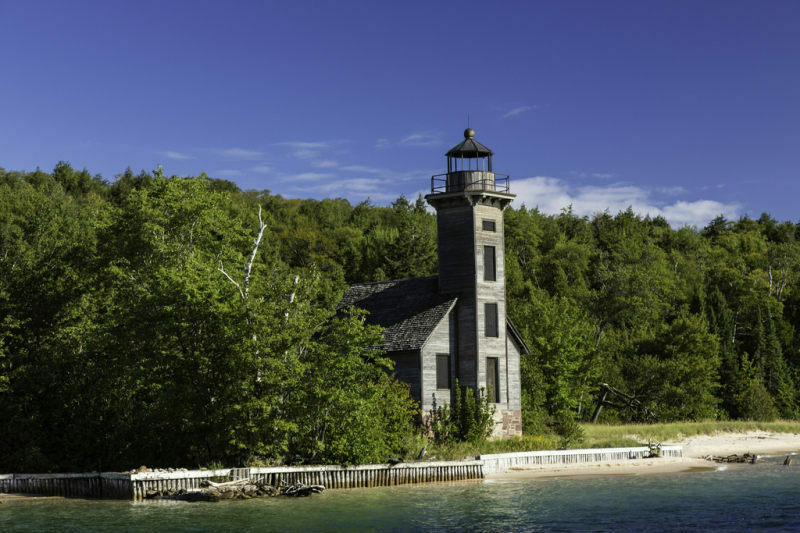 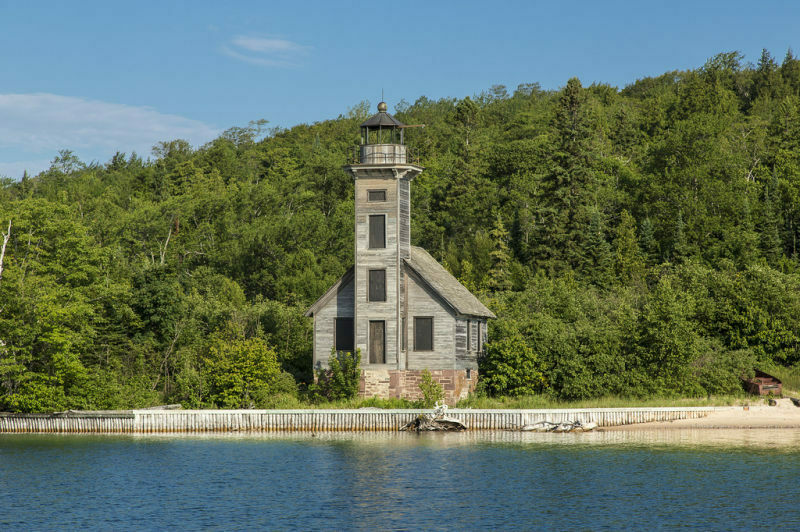 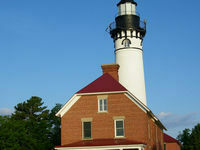 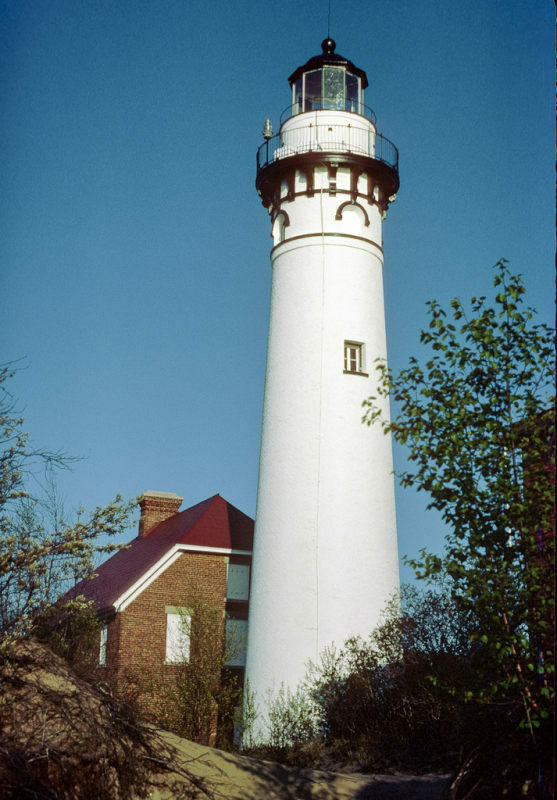 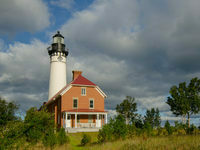 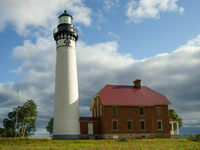 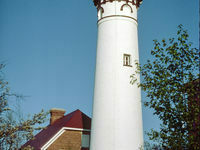 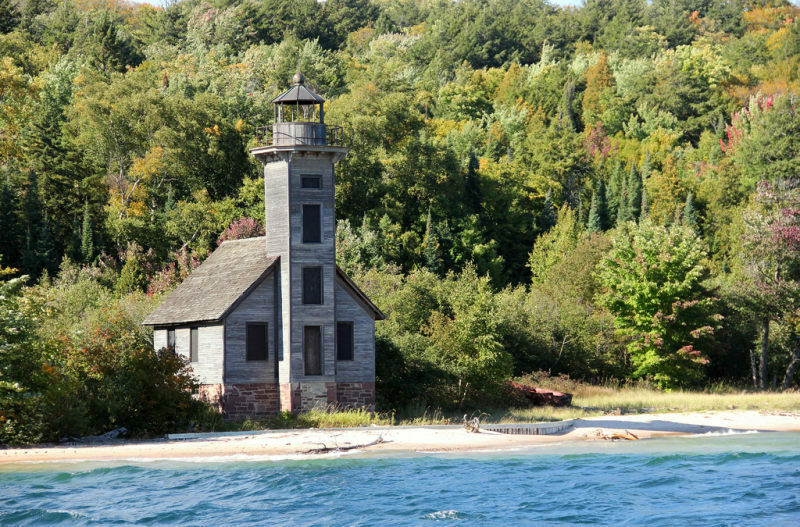 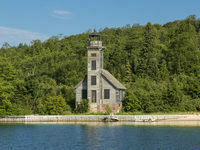 There are also 10 historic lighthouses such as AuSable Light Station. 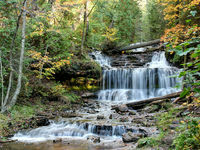 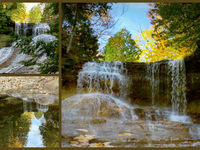 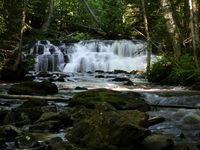 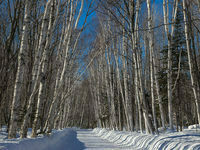 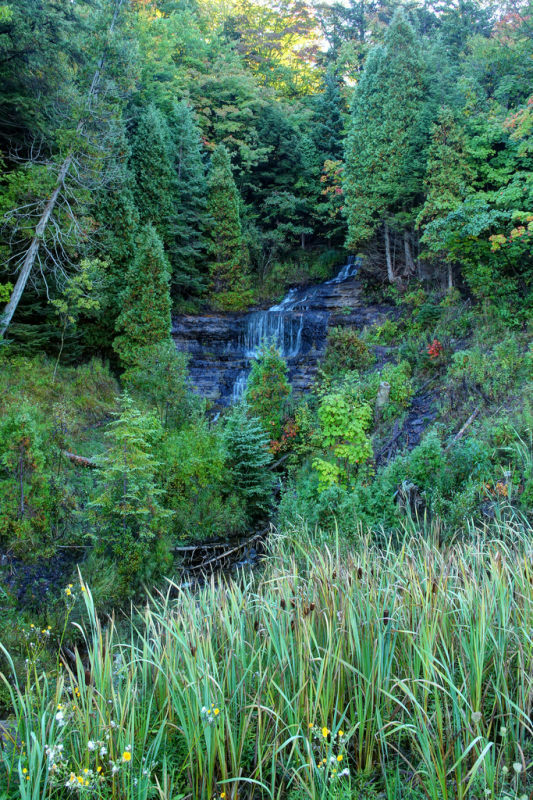 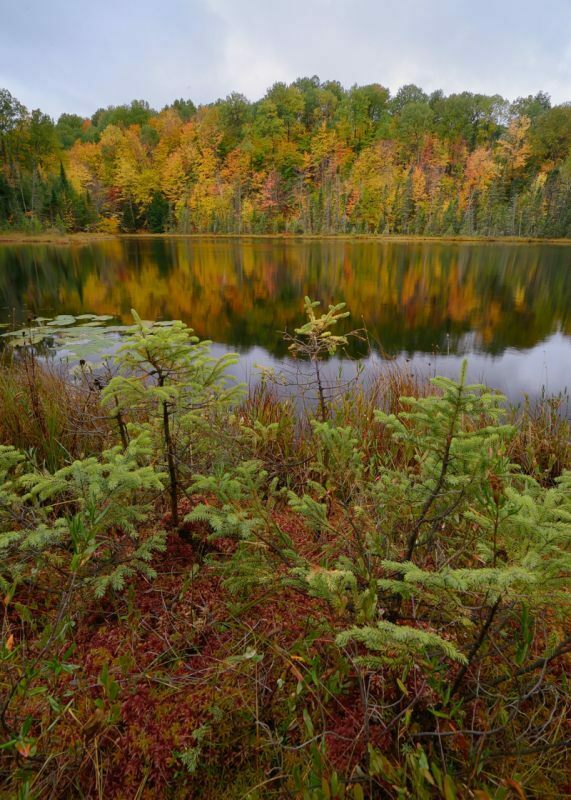 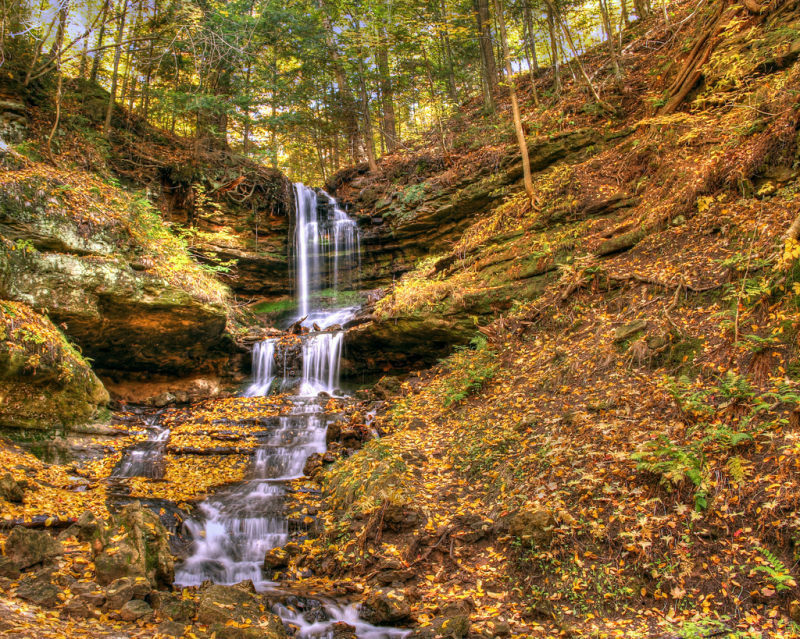 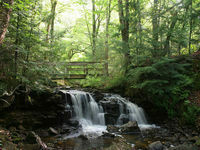 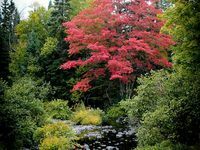 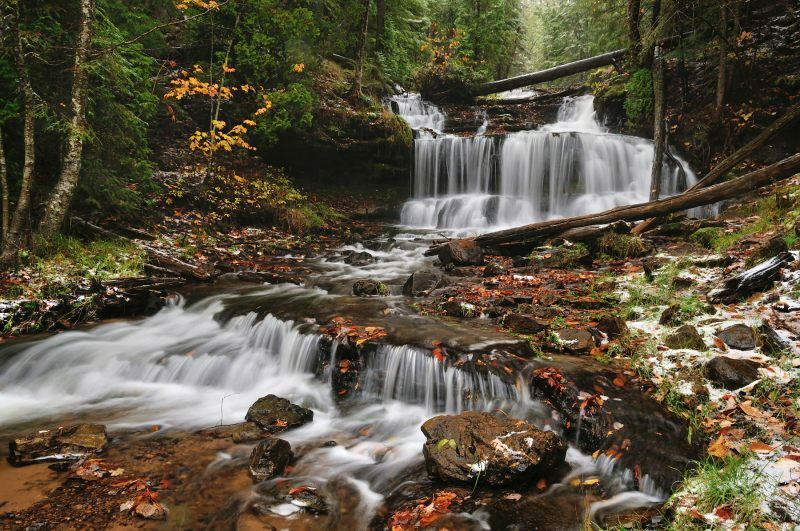 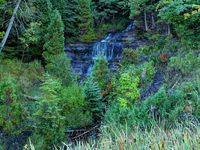 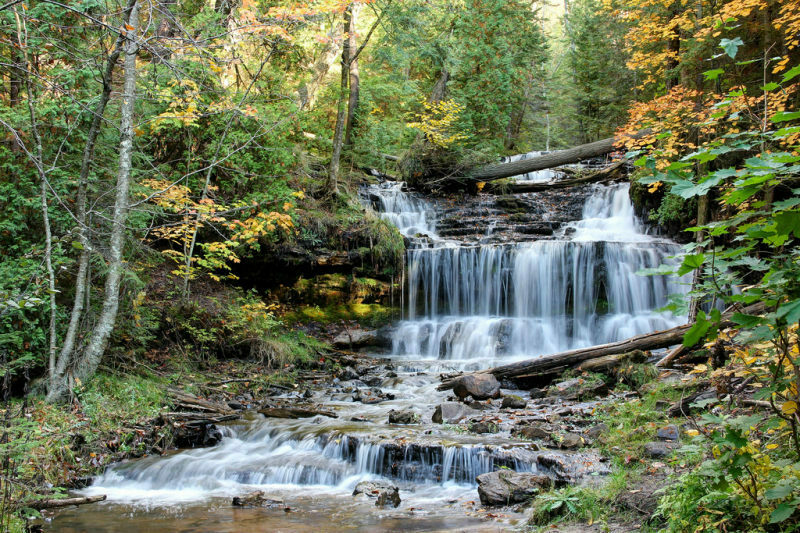 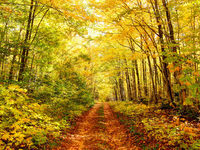 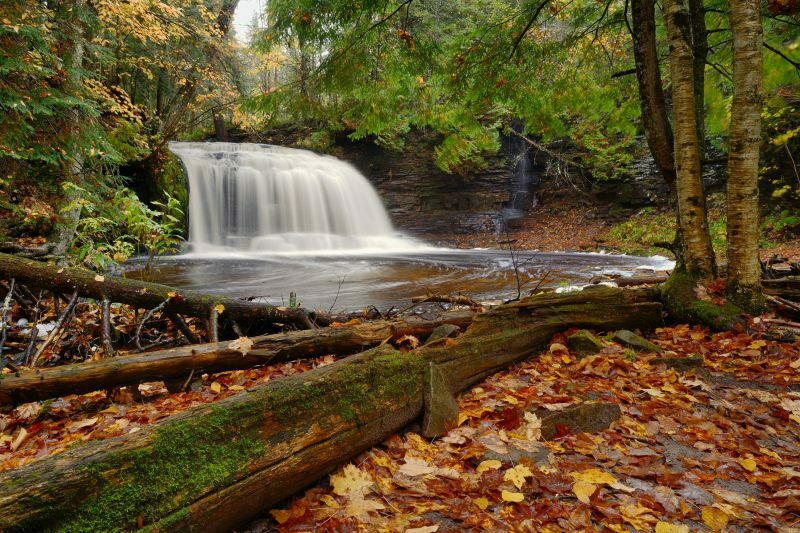 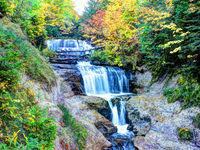 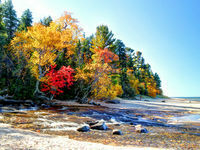 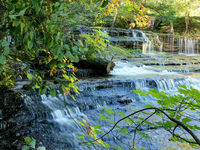 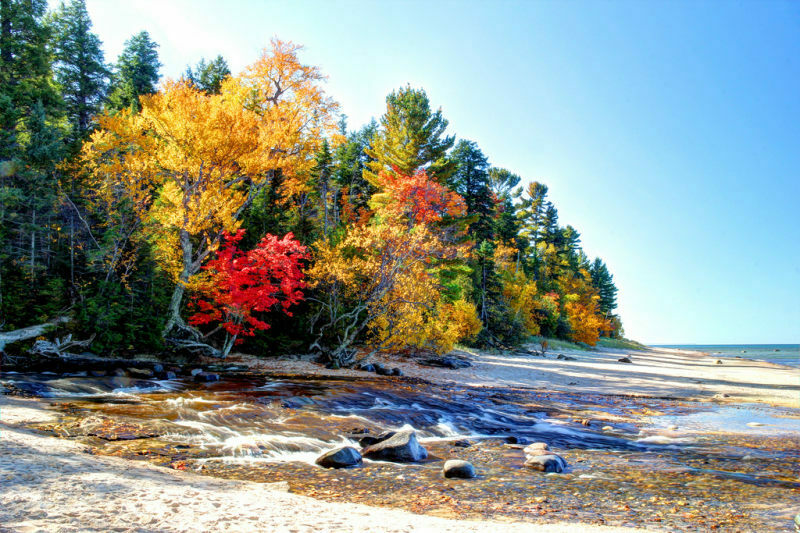 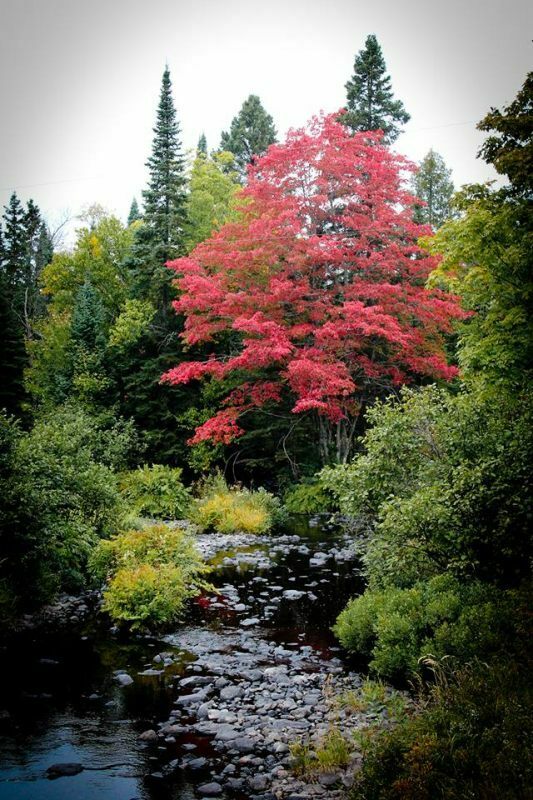 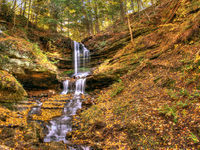 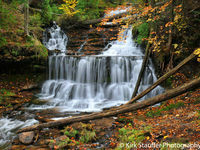 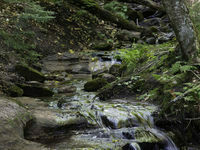 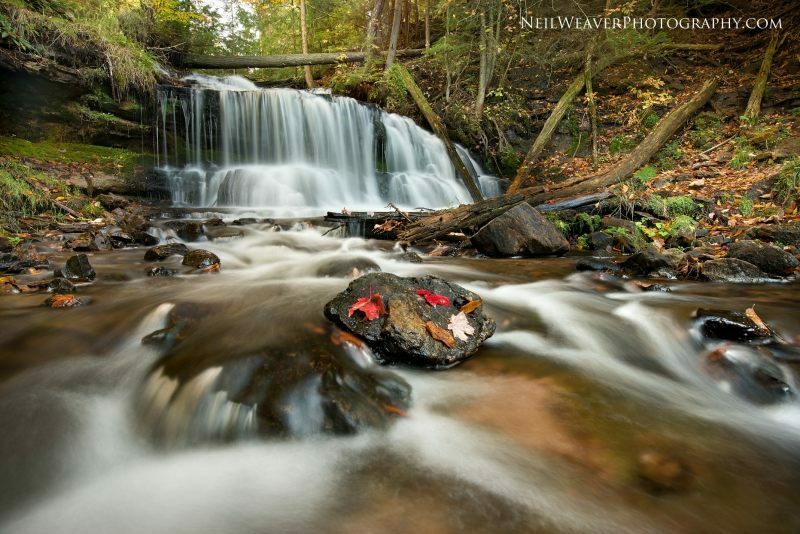 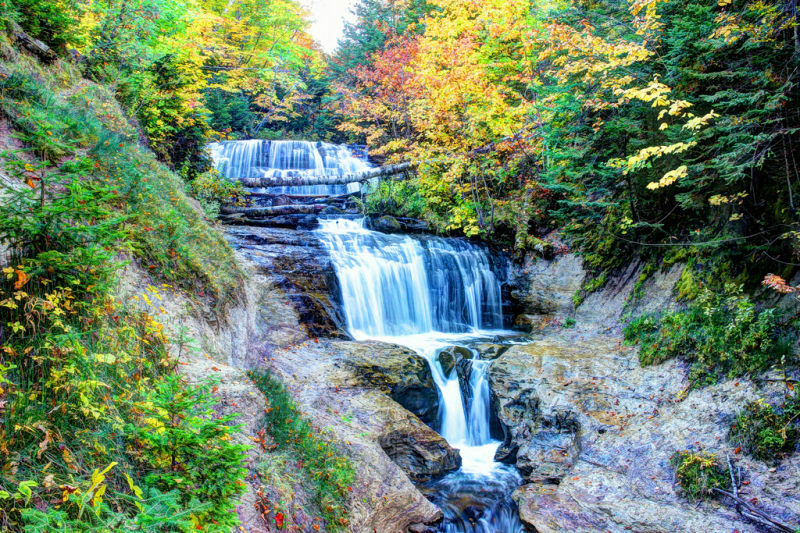 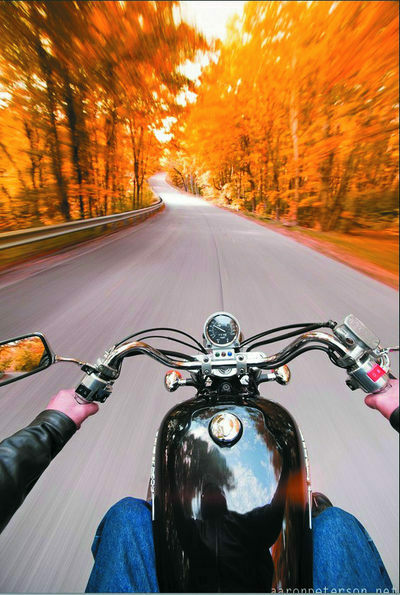 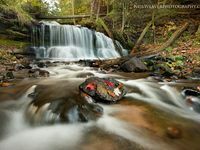 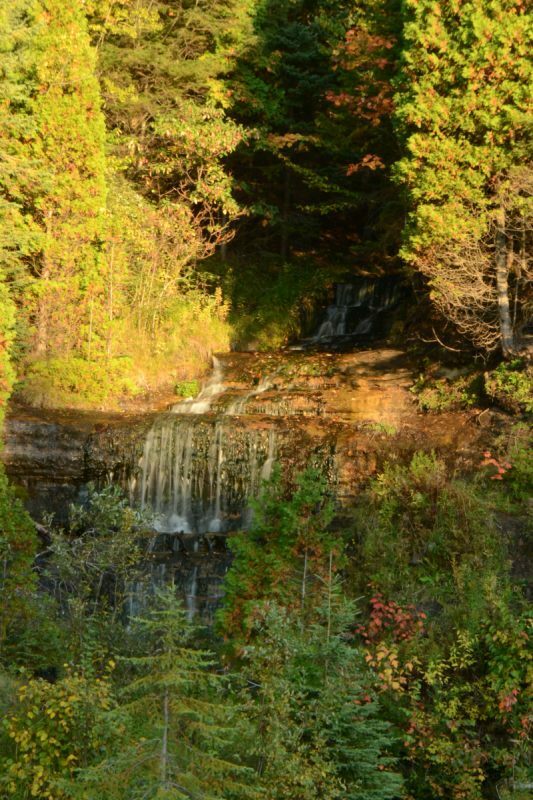 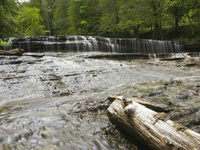 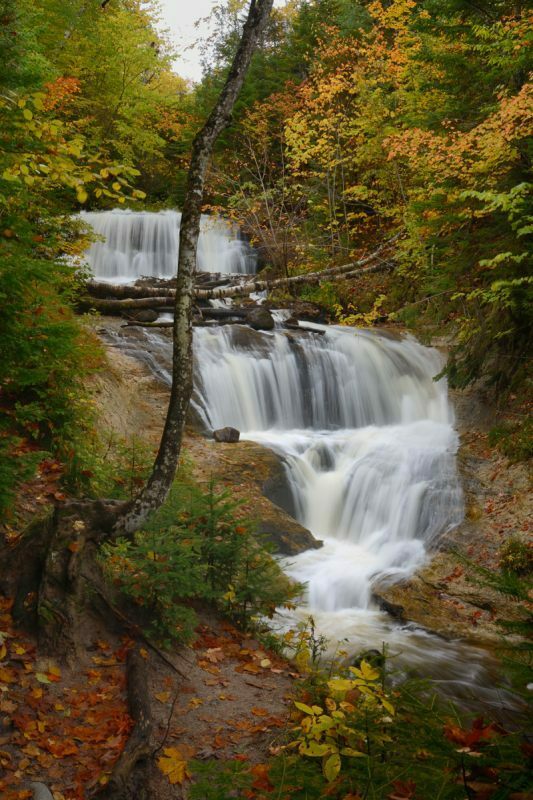 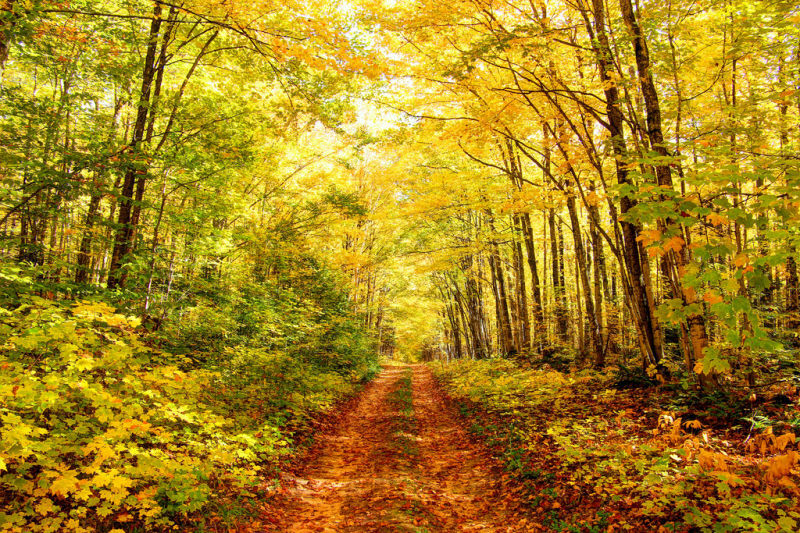 And be sure to catch the gorgeous palate of colors in Alger County’s forests in fall. 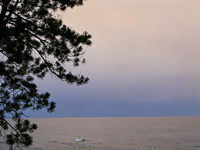 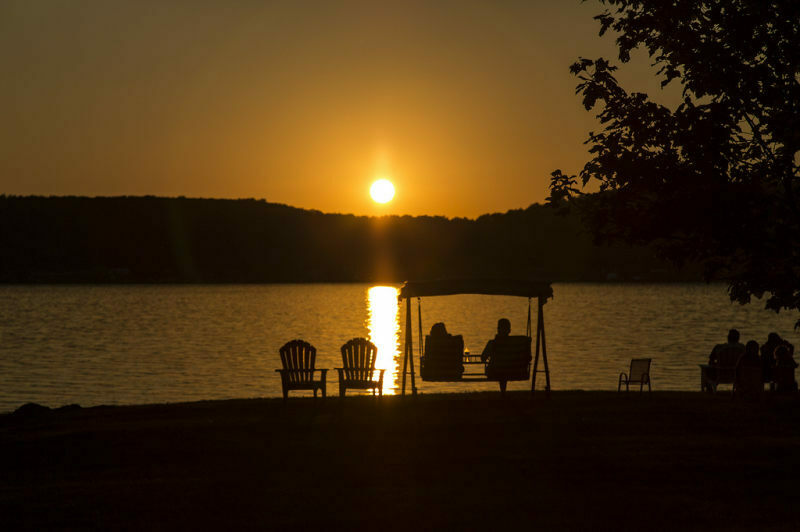 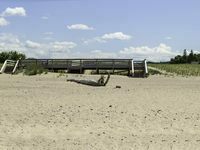 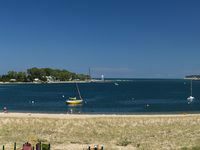 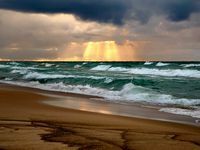 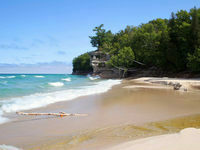 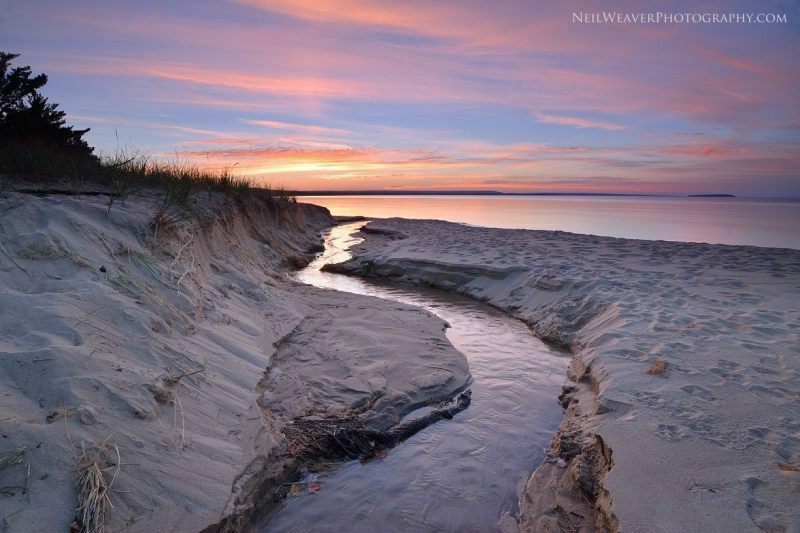 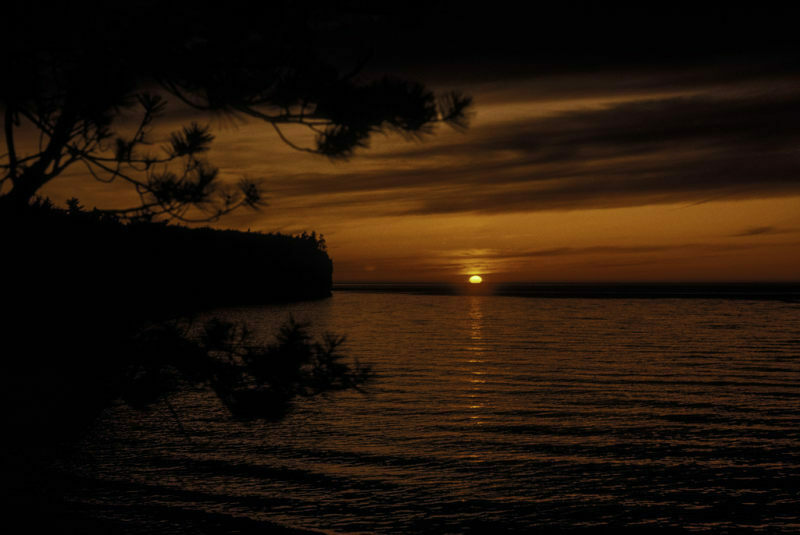 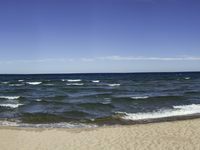 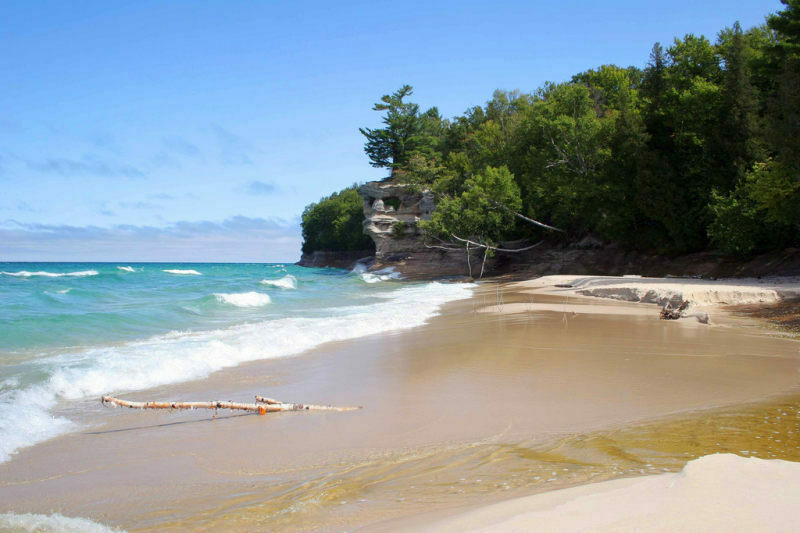 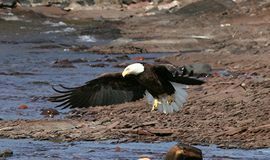 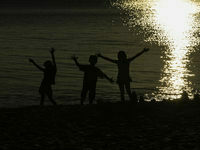 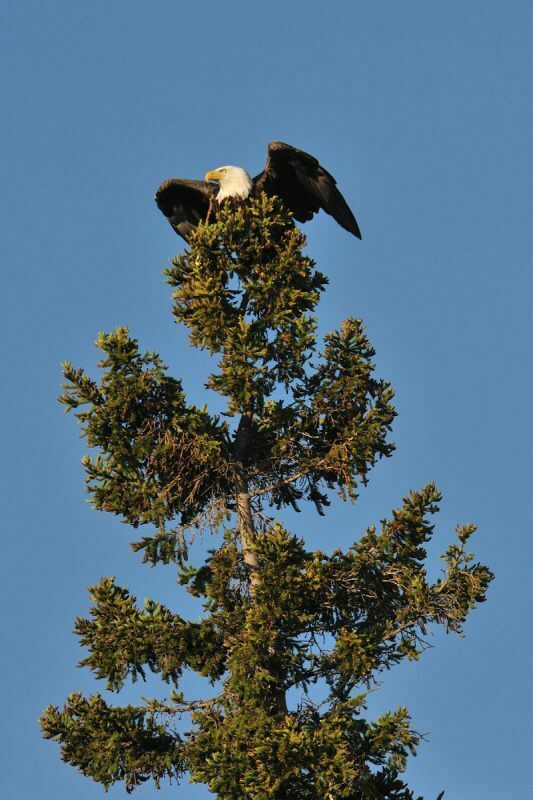 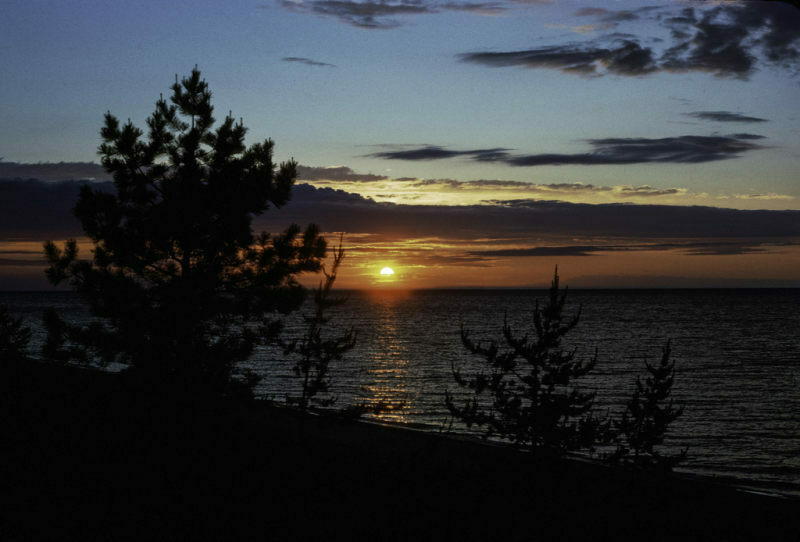 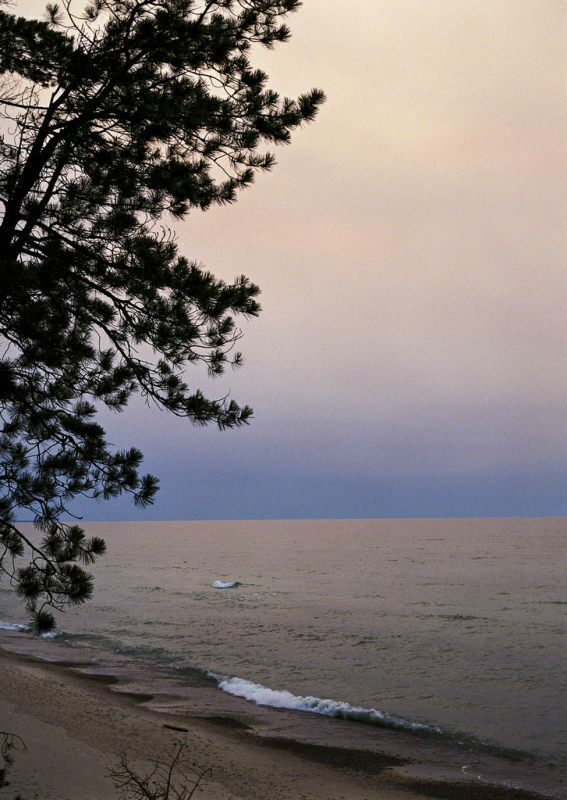 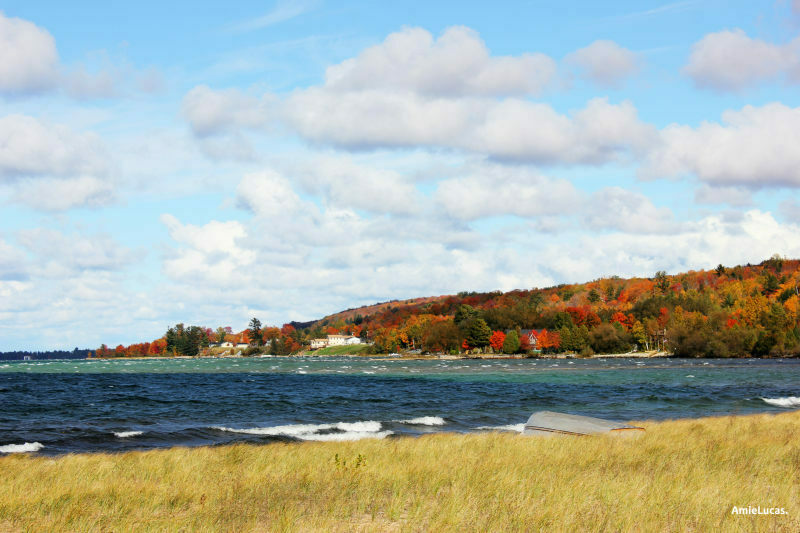 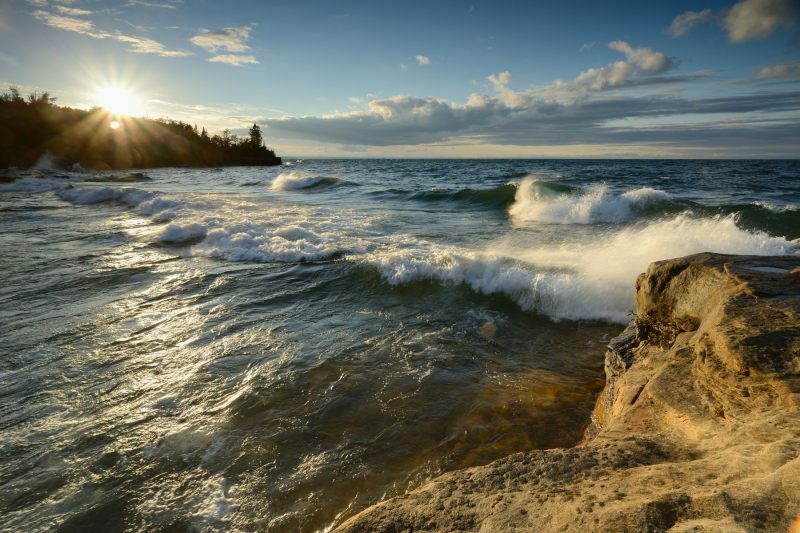 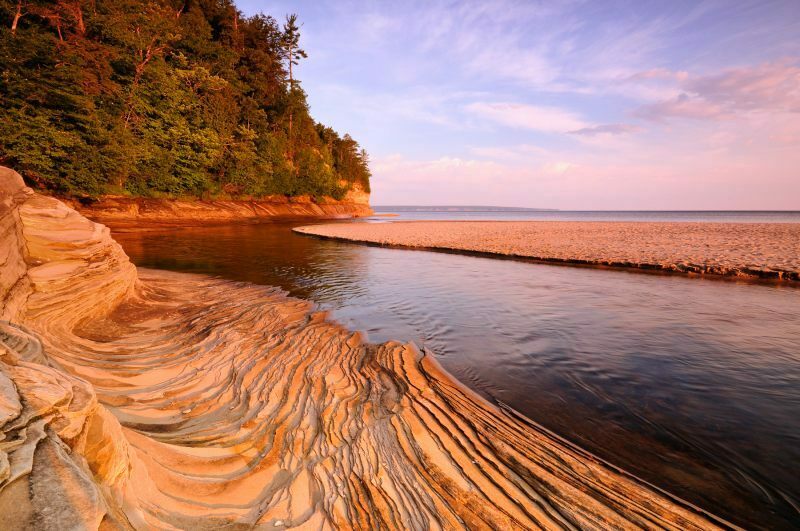 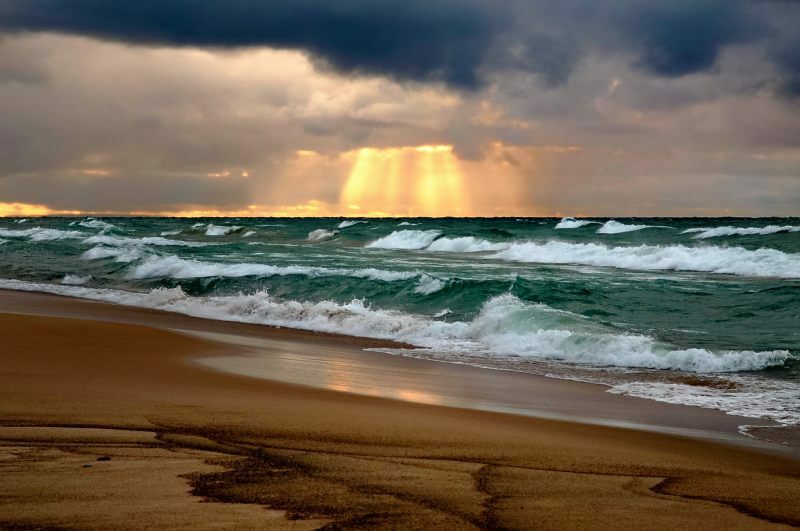 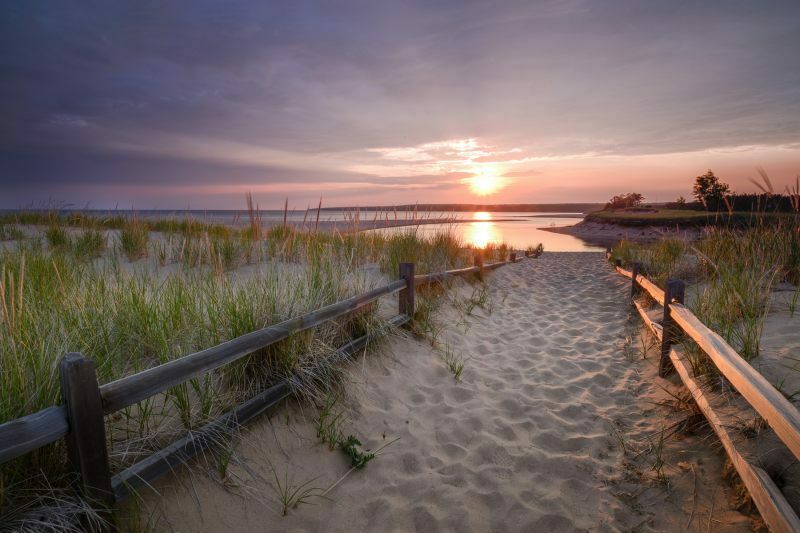 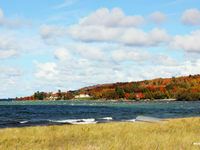 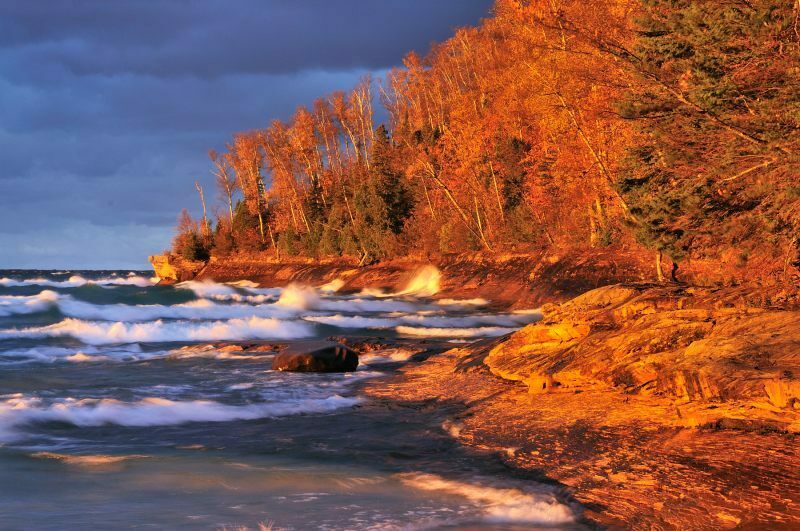 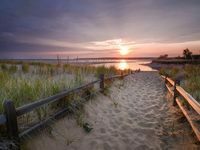 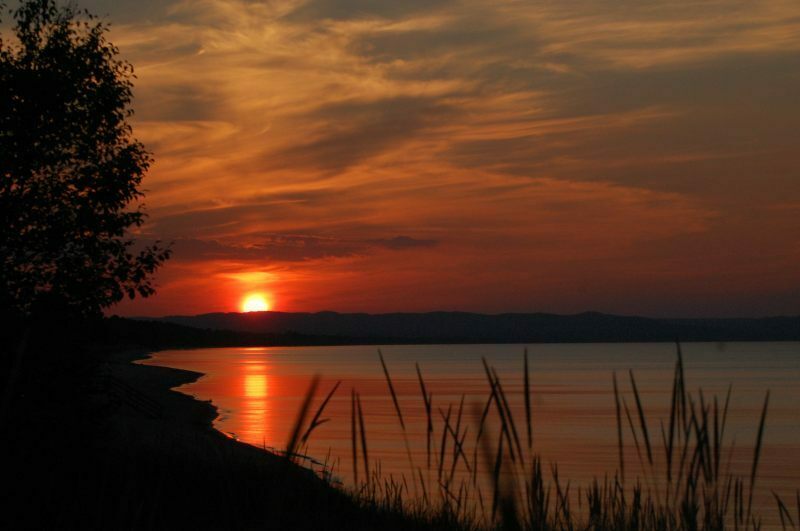 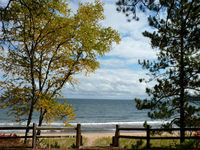 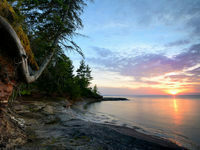 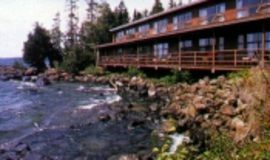 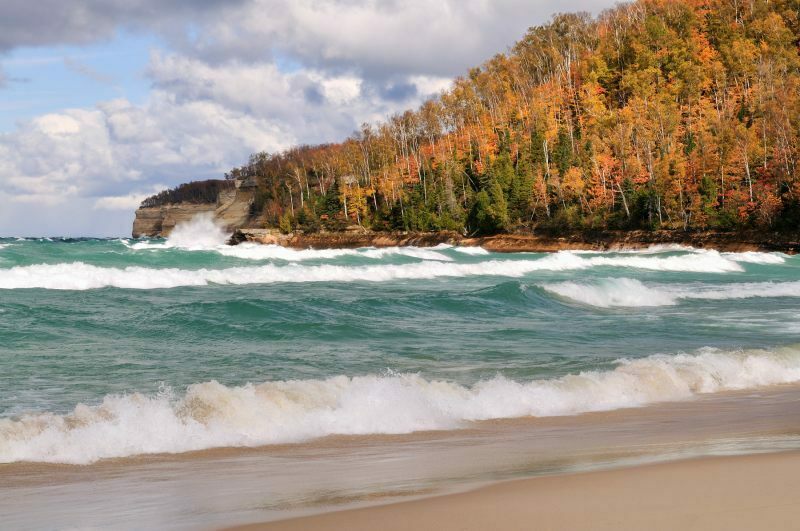 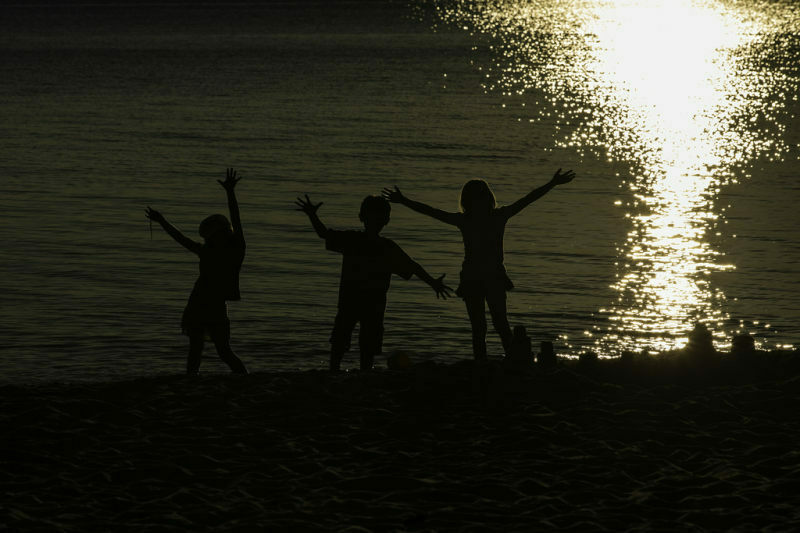 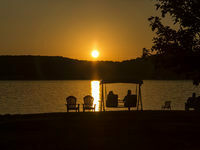 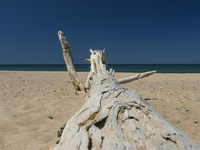 Alger County is home to some of the finest beaches, including AuTrain, Sand Point and Twelve Mile beach. 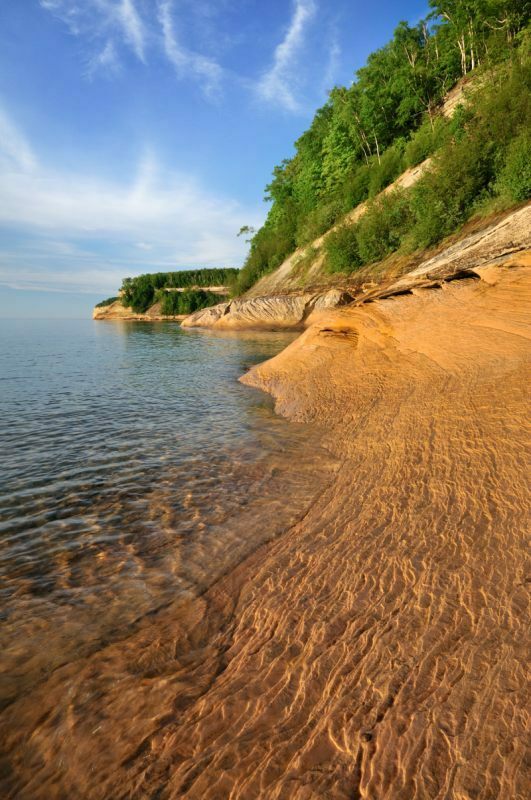 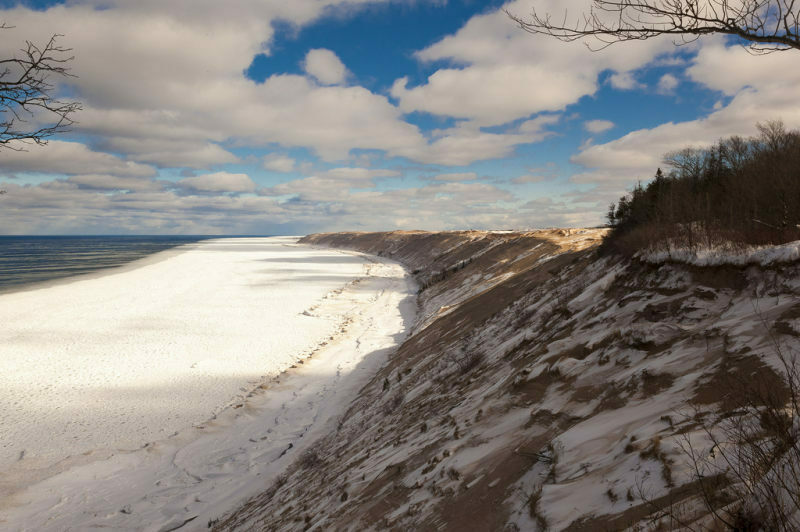 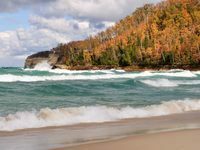 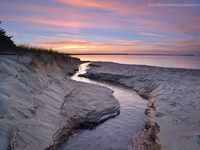 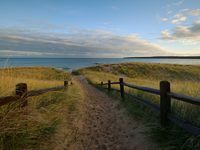 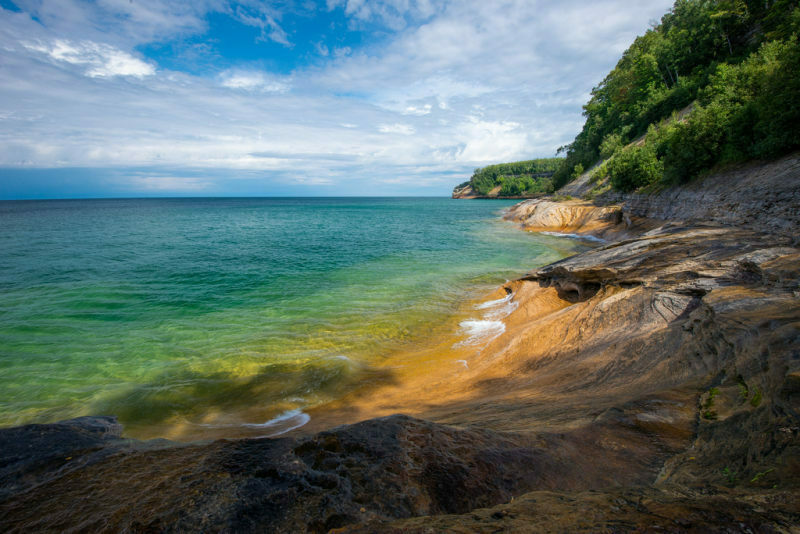 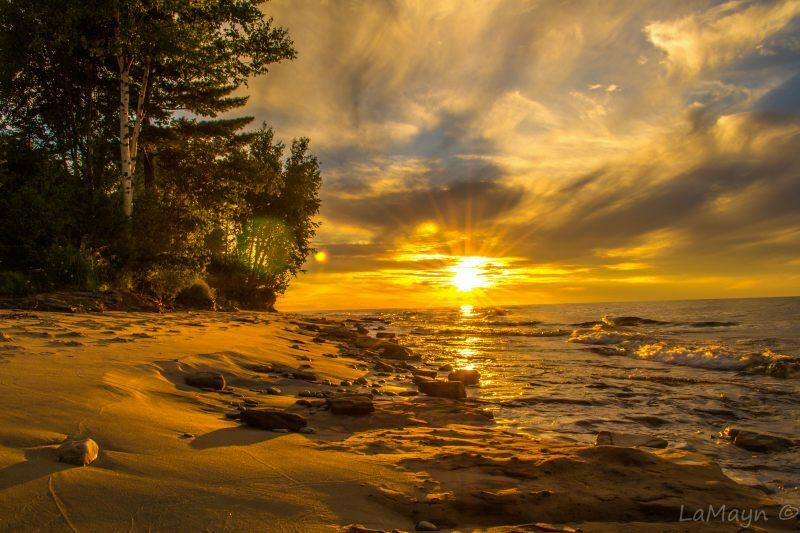 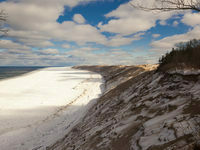 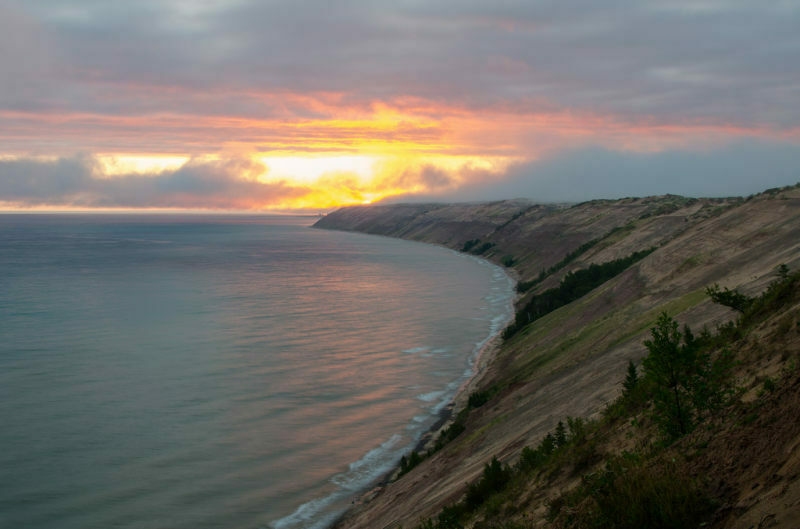 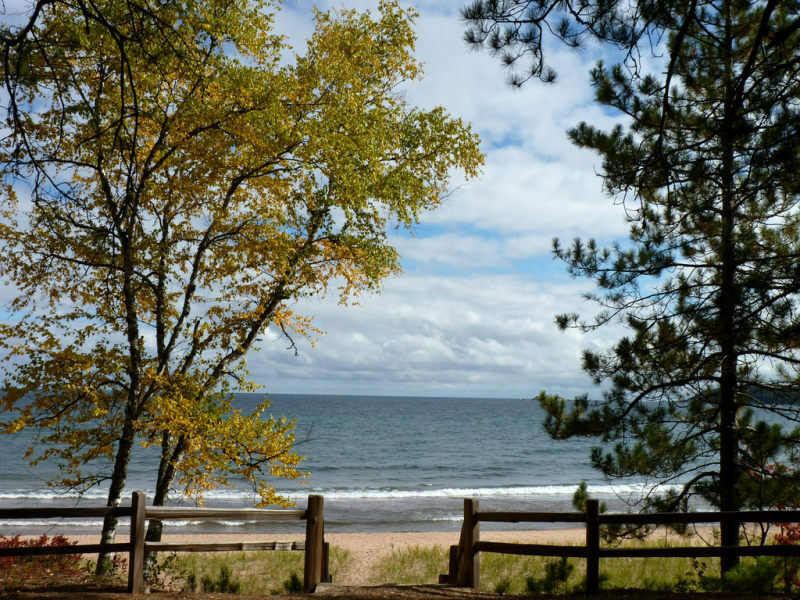 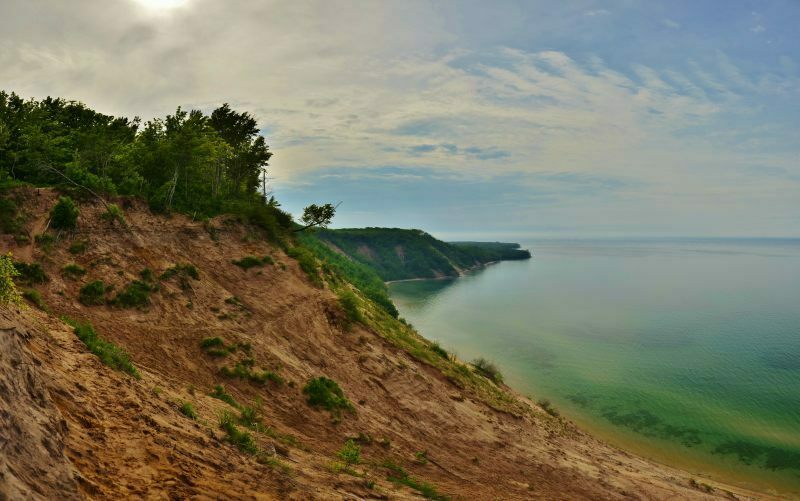 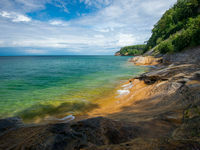 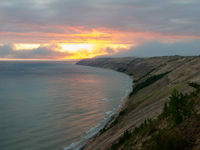 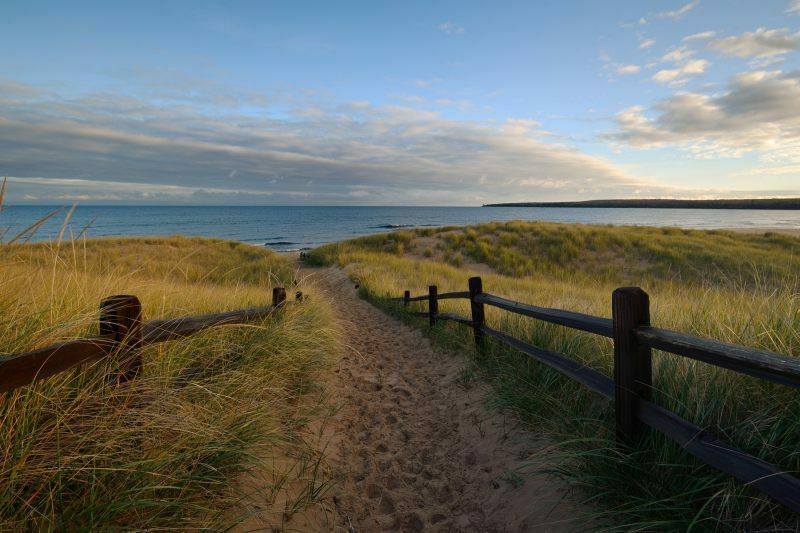 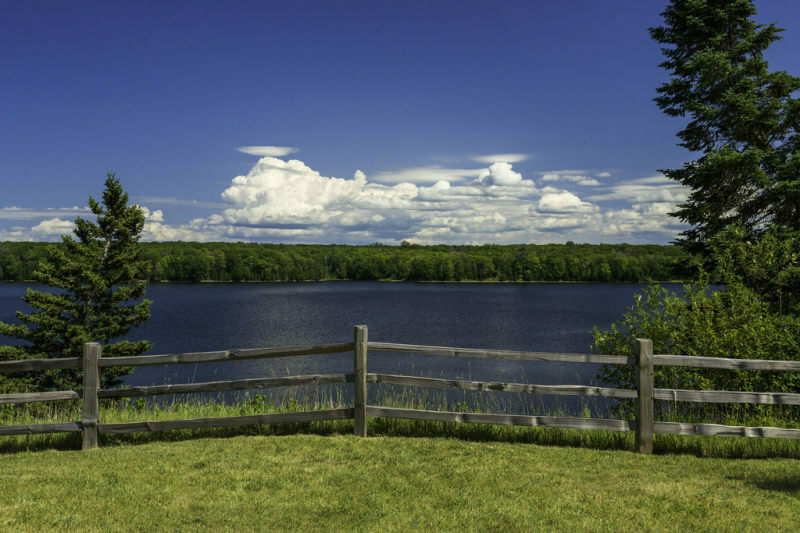 Grand Sable Dunes is also on the east end of Pictured Rocks National Lakeshore and don't forget to also take in Grand Island National Recreation Area. 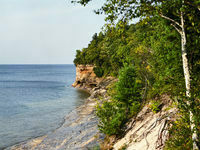 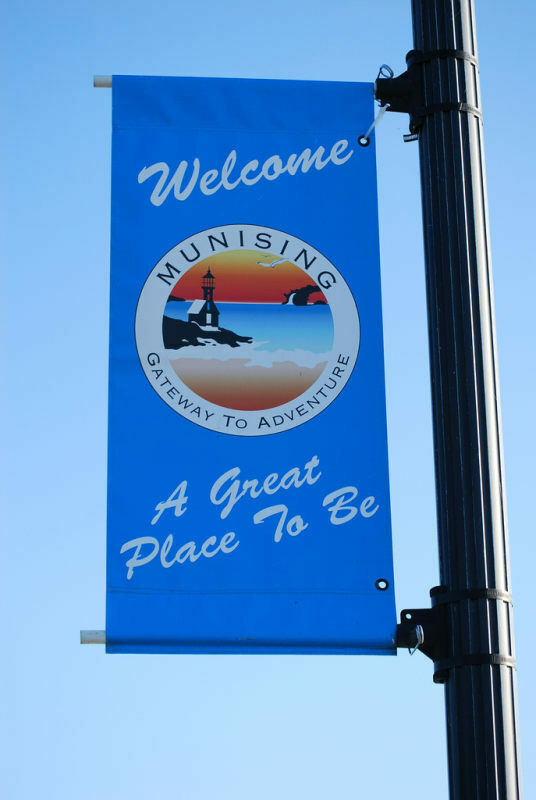 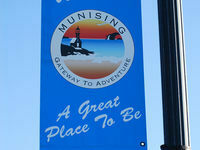 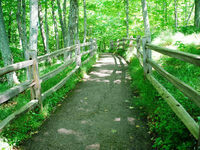 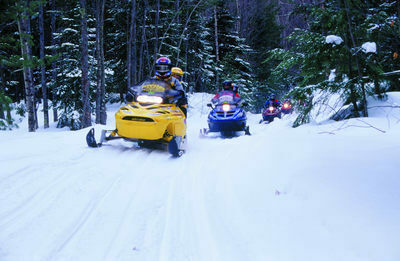 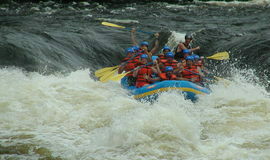 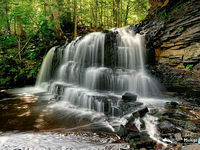 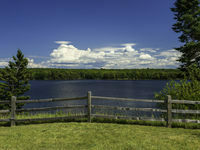 This popular destination also offers memorable events hosted by local organizations. 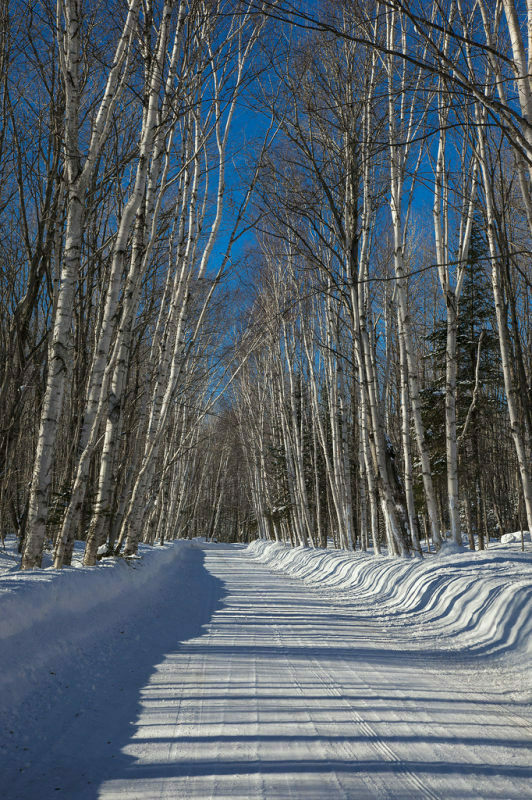 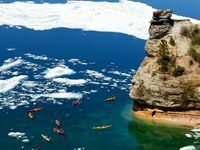 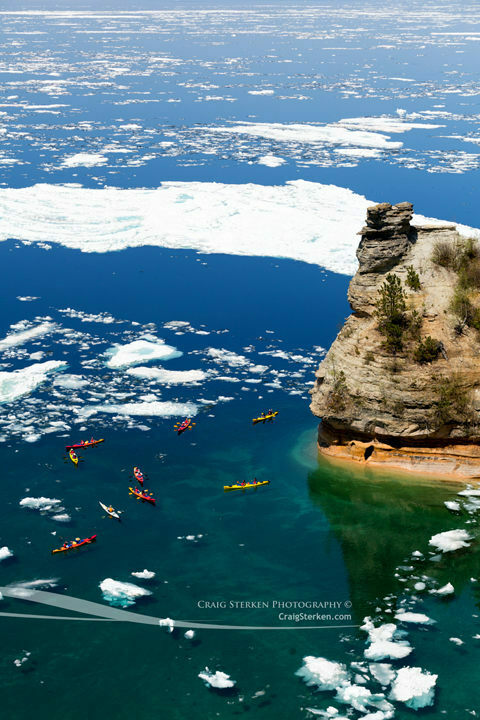 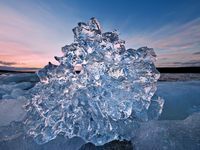 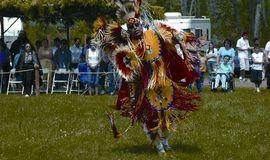 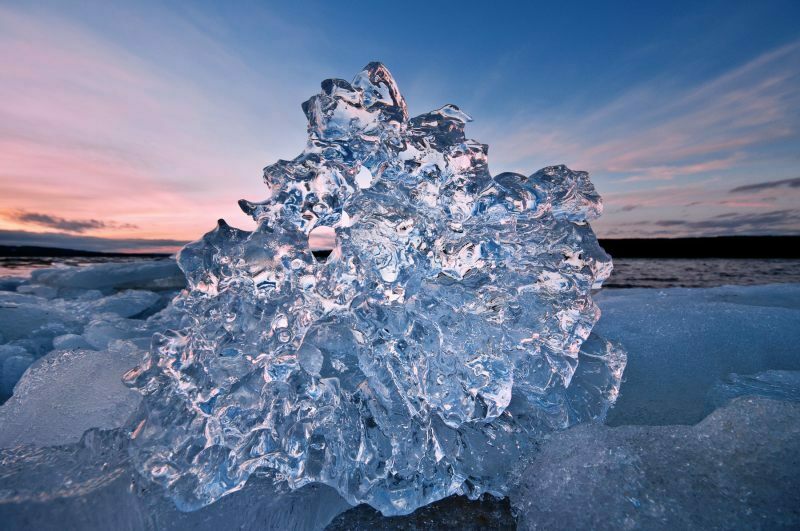 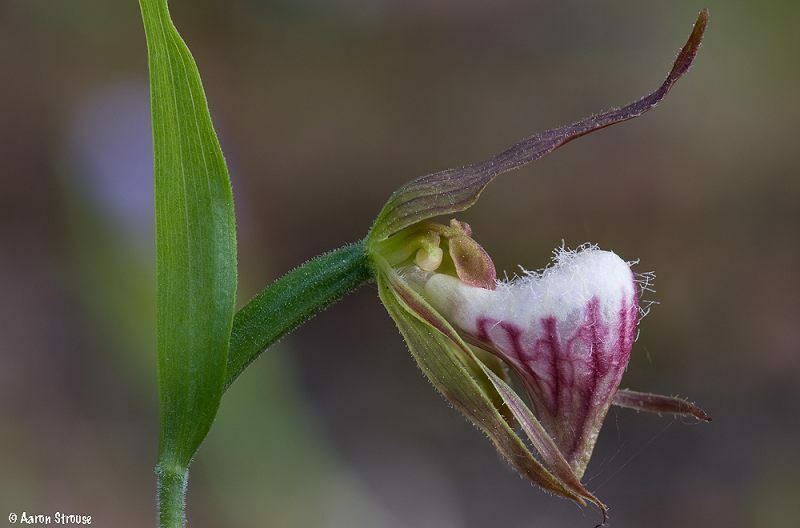 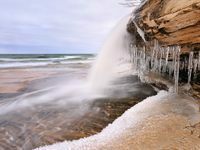 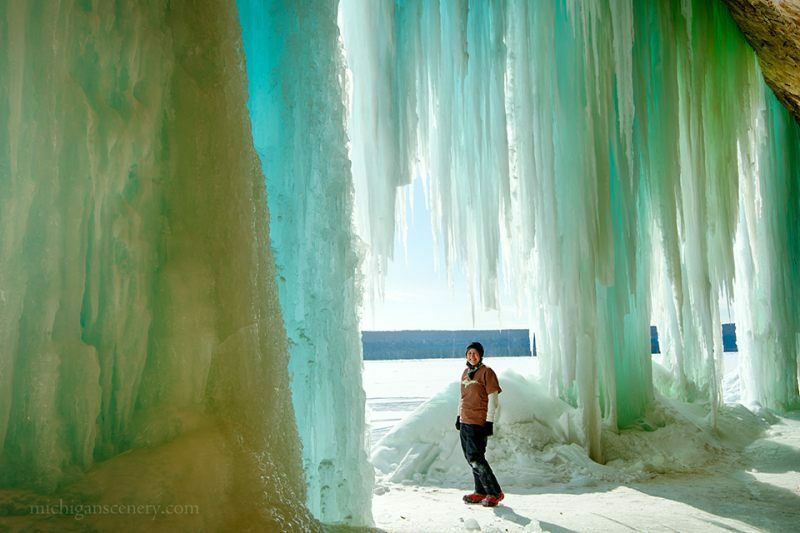 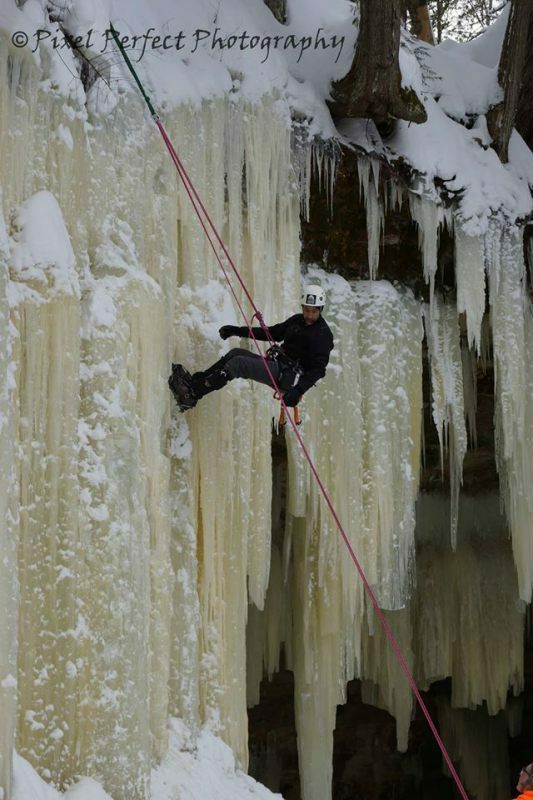 Come for the Michigan Ice Festival (Ice climbing) and the Trenary Outhouse Classic race in February, Pictured Rocks Days in June, July 4th festivities, Great Lakes Sea Kayak Symposium in July and the Alger County Fair and Grand Marais Art and Music Festival in August.